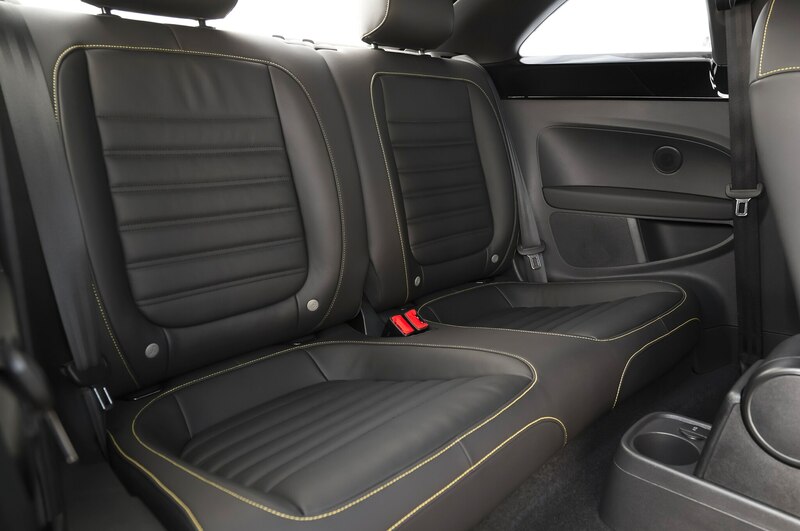 Joe Montana or Tom Brady? 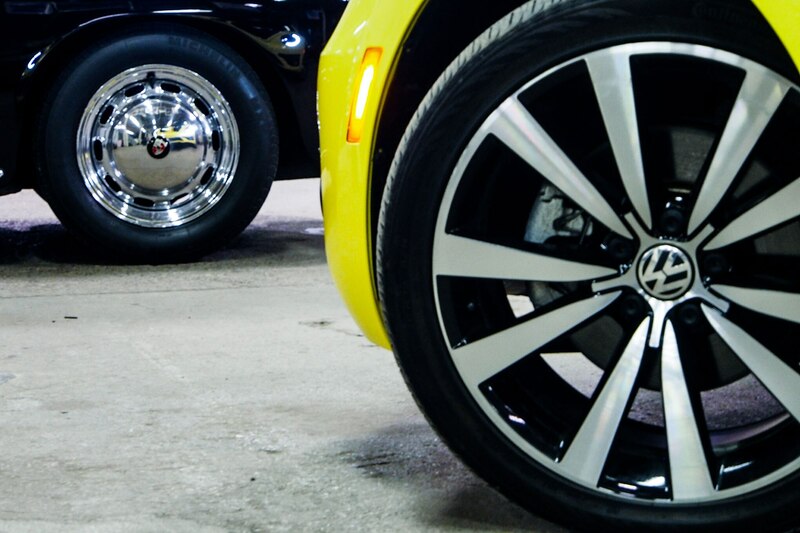 Madonna or Lady Gaga? 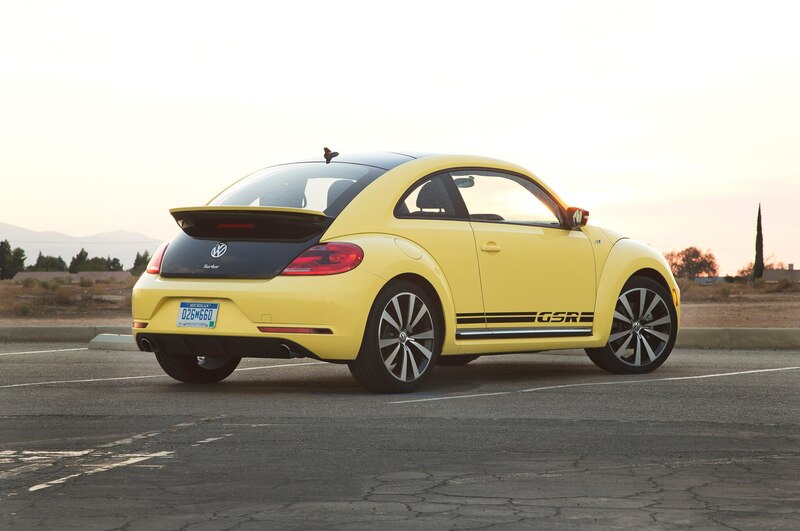 The first love or the new flame? 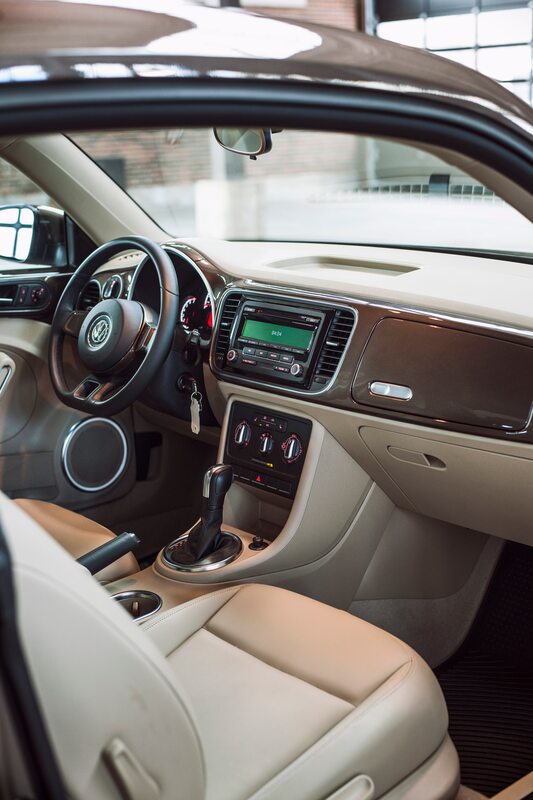 It’s in our nature to look in the rearview mirror, to measure the brightness of the present against the best of the past. 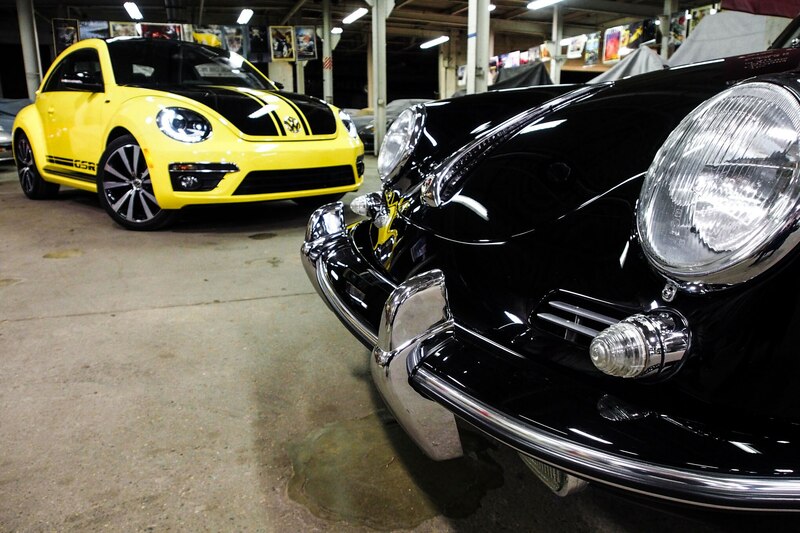 It’s no different with car enthusiasts. 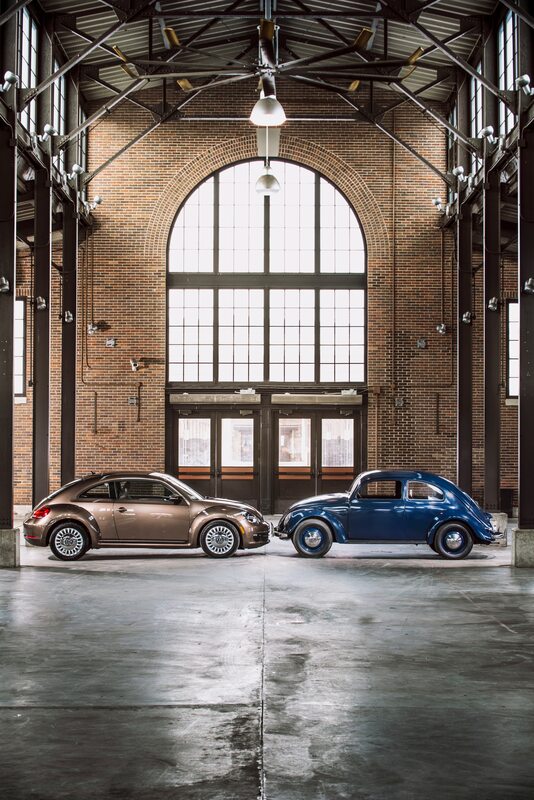 For all the areas in which automobiles have improved — safety, performance, efficiency, reliability—they still live in the shadow of the past. 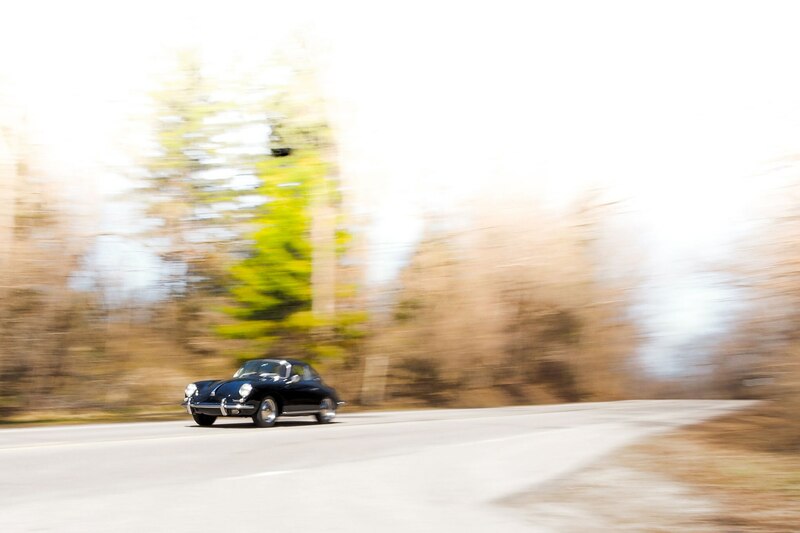 The great thing about cars, though, is that we don’t have to rely solely on our memories. 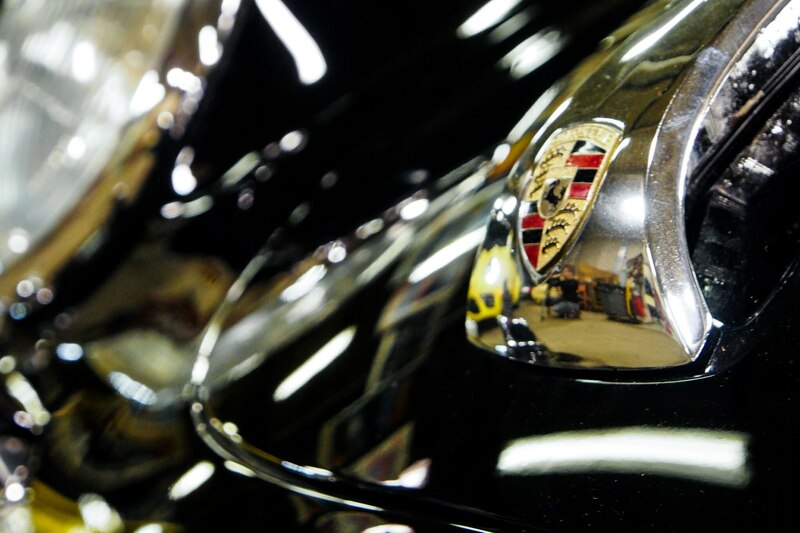 We’ll never know how twenty-eight-year-old Michael Jordan would have fared against twenty-eight-year-old LeBron James, but we can find well-kept classic cars—the icons that enthusiasts worship — and pit them against their modern equivalents. 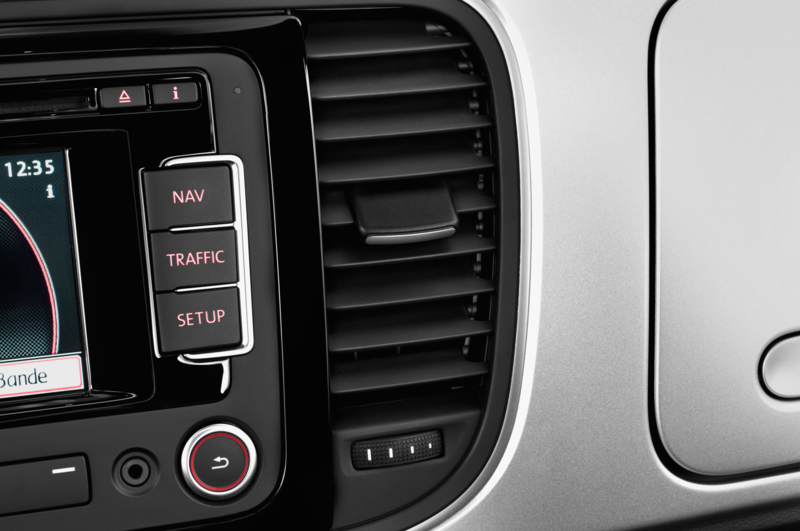 That’s just what we did with these seven matchups. 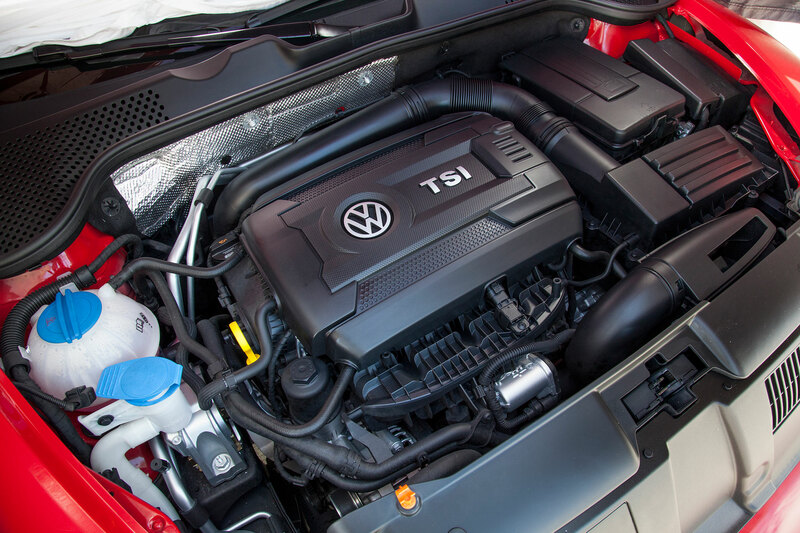 It’s throttle cables versus direct injection. 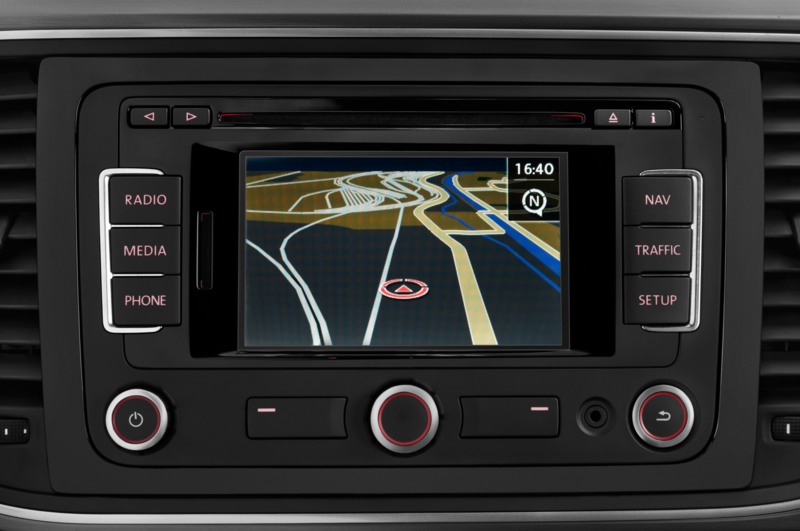 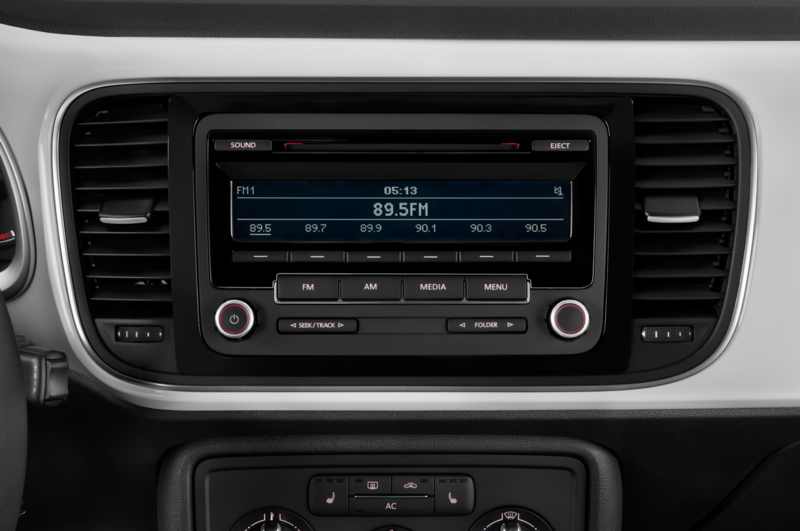 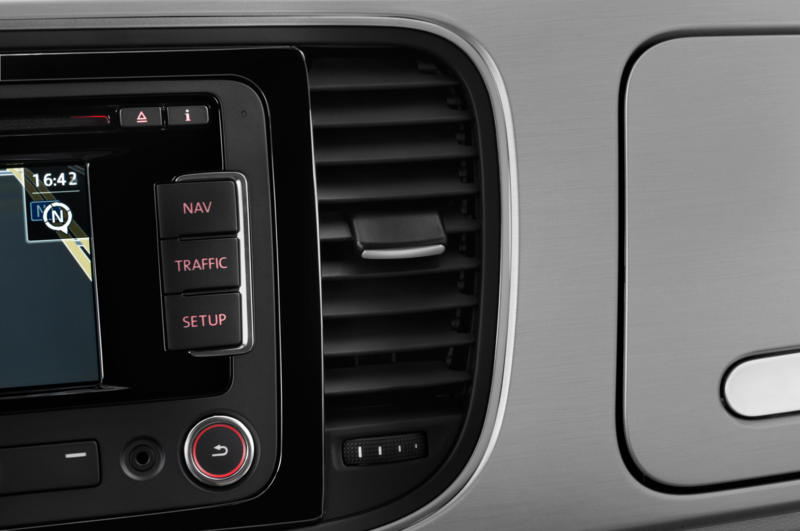 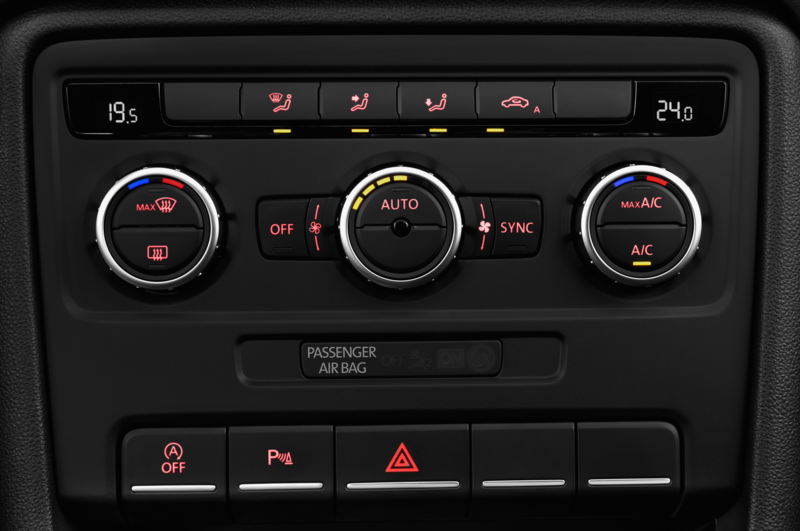 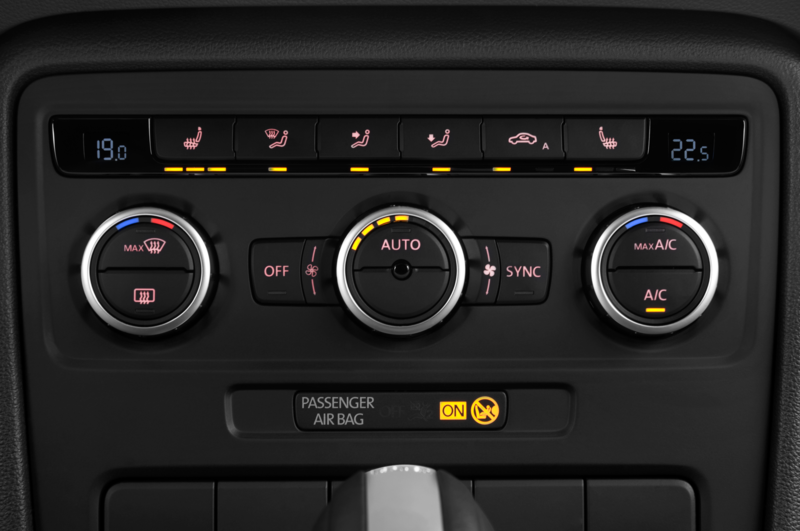 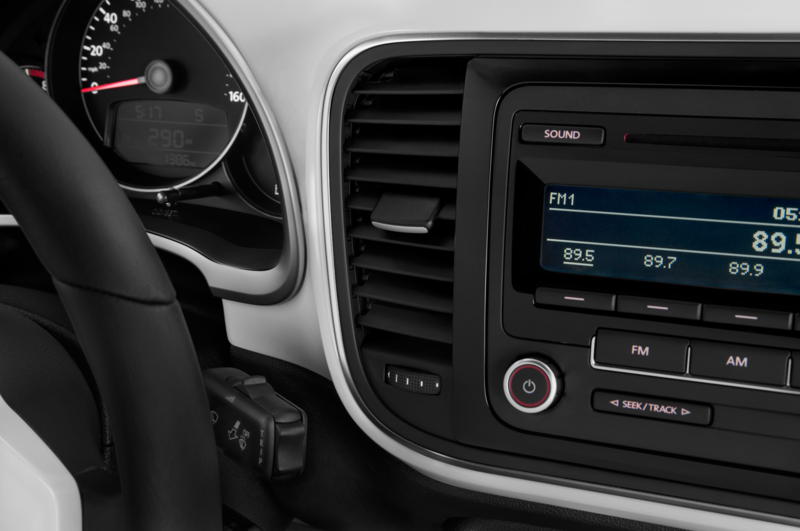 AM radios versus infotainment screens. 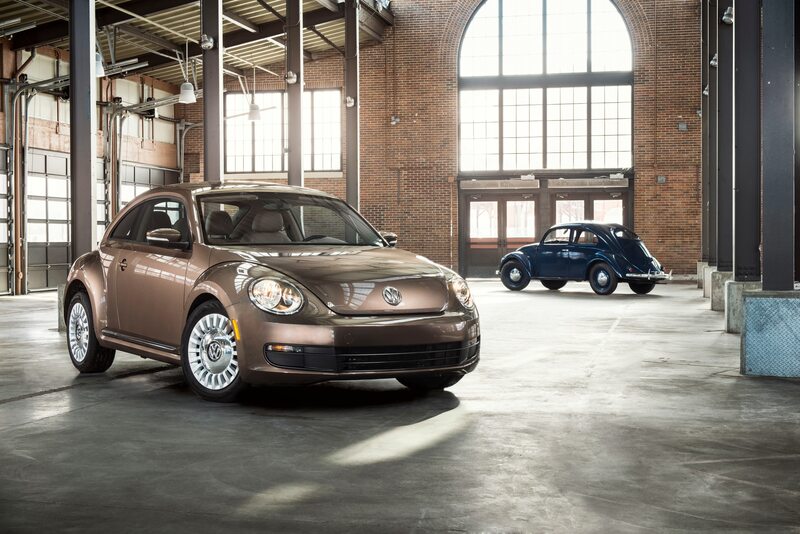 Old-car patina versus new-car smell. 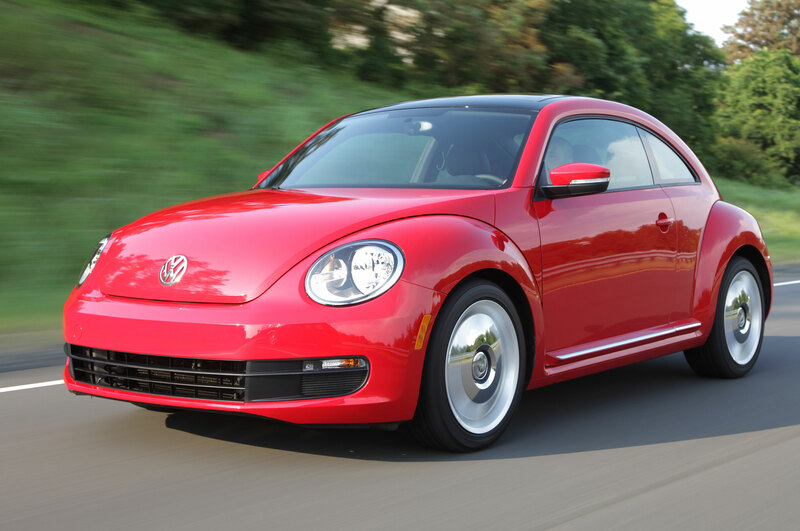 So, was it really better then? 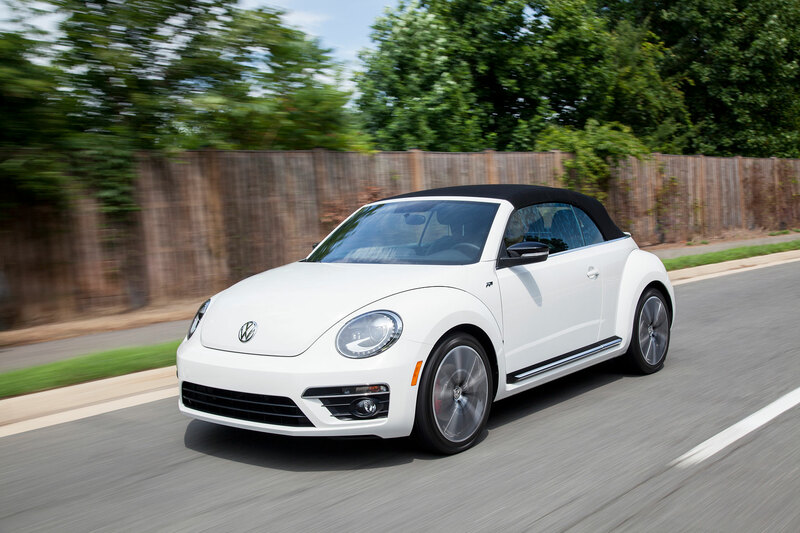 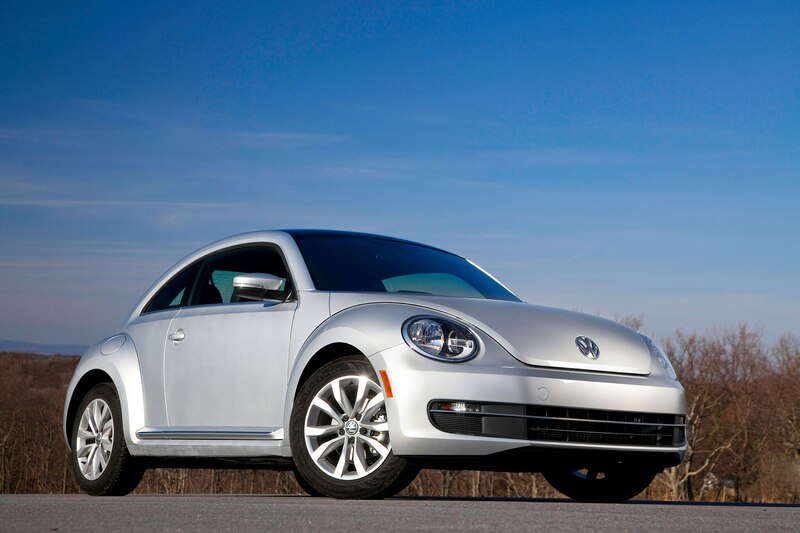 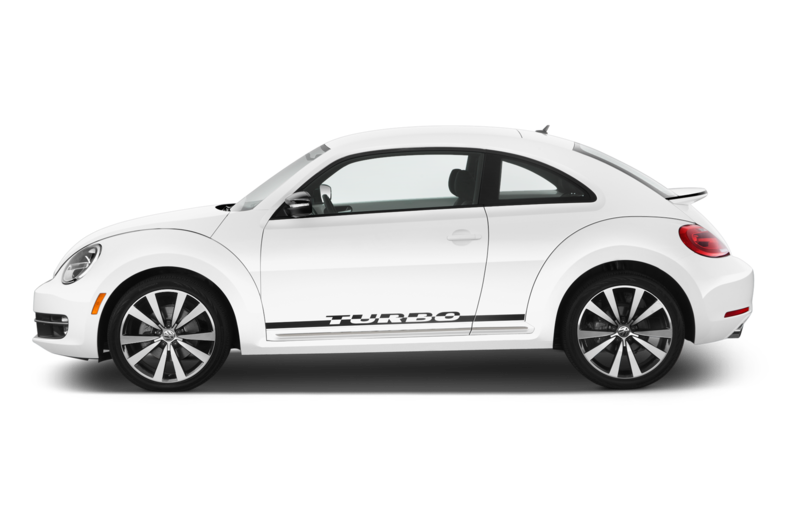 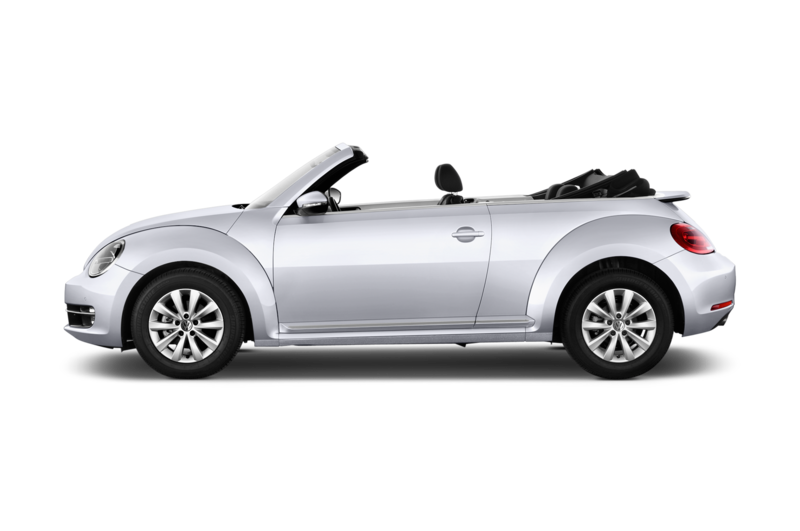 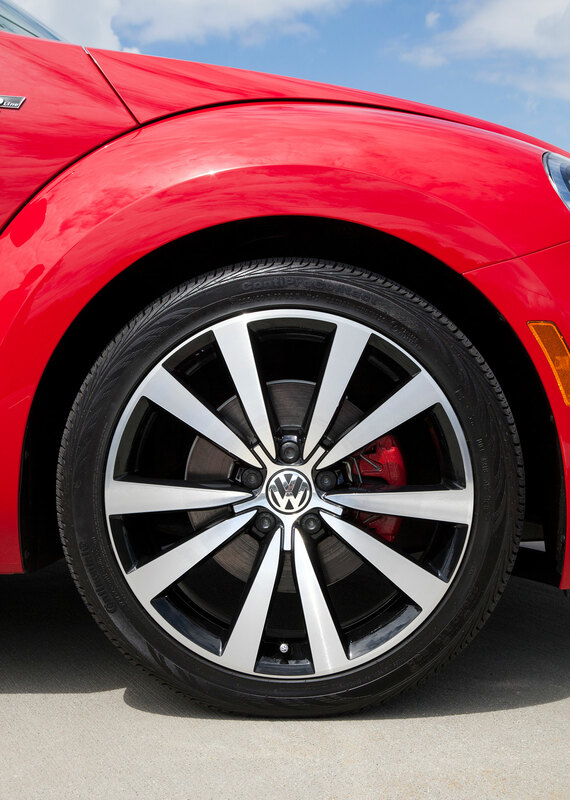 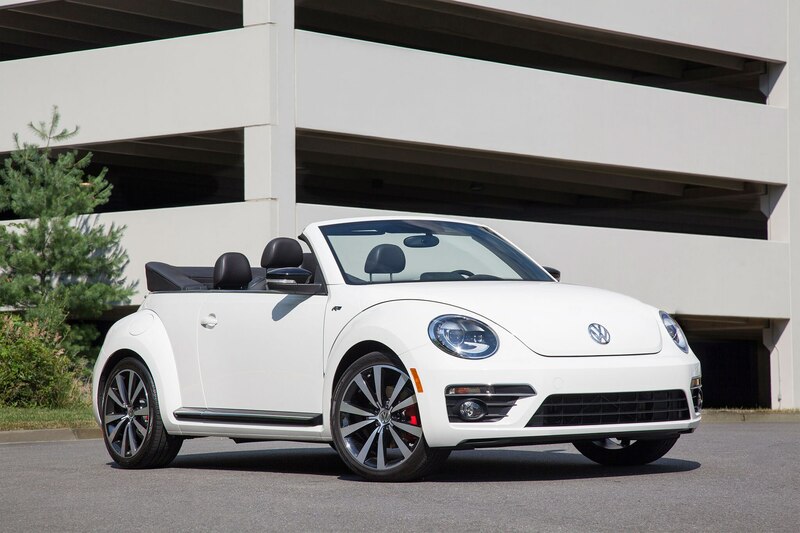 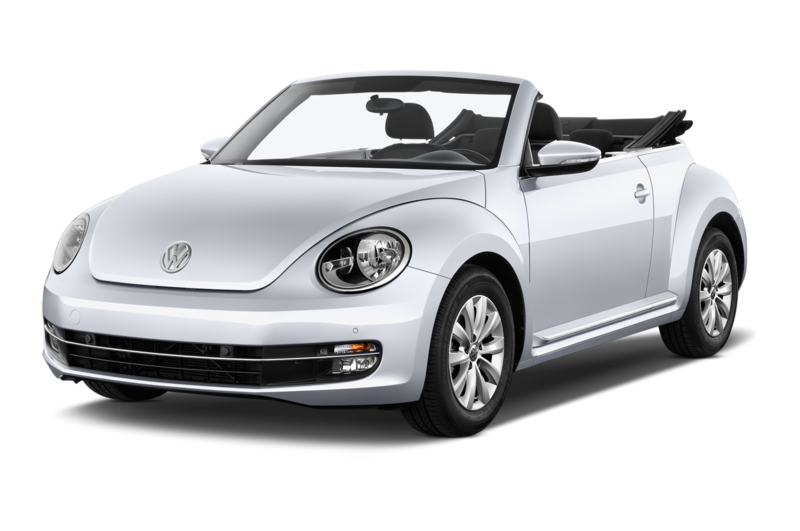 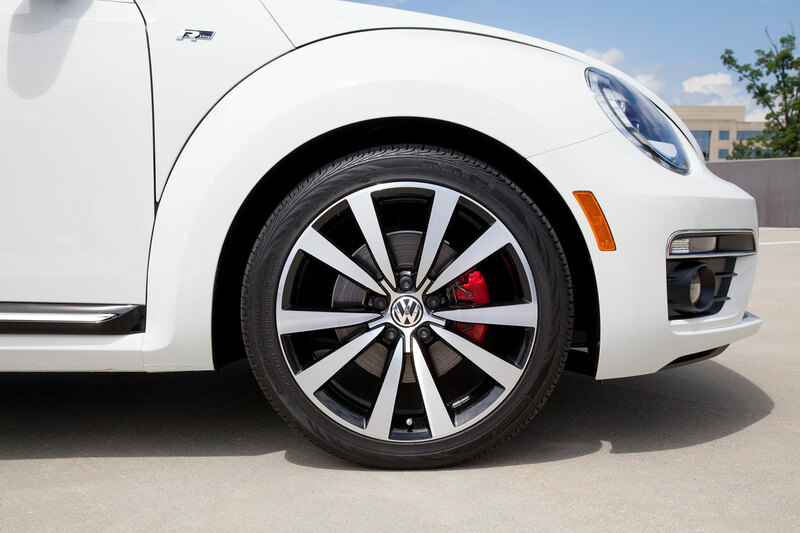 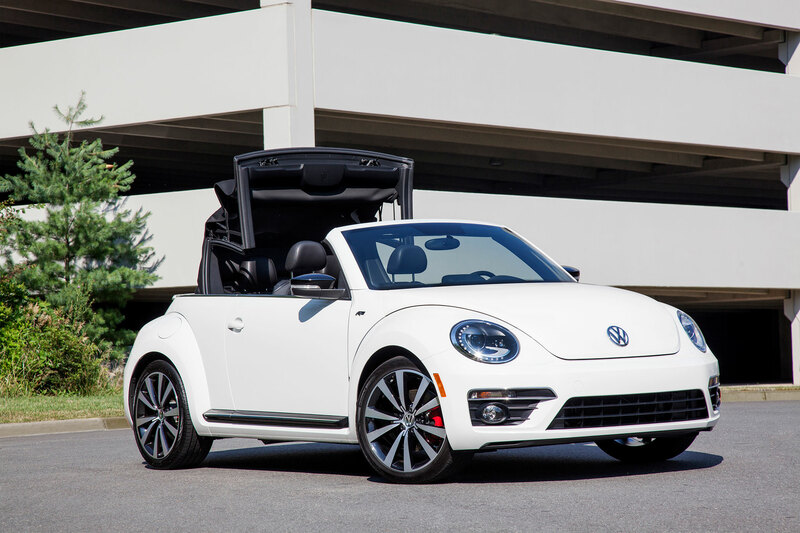 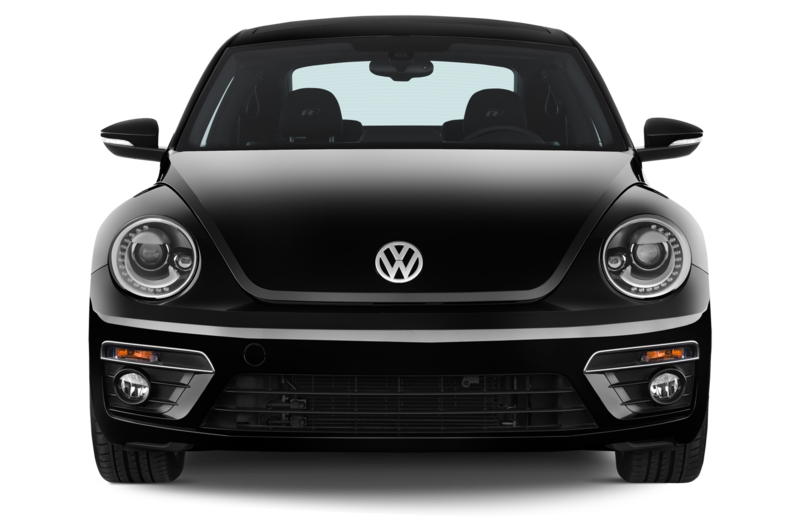 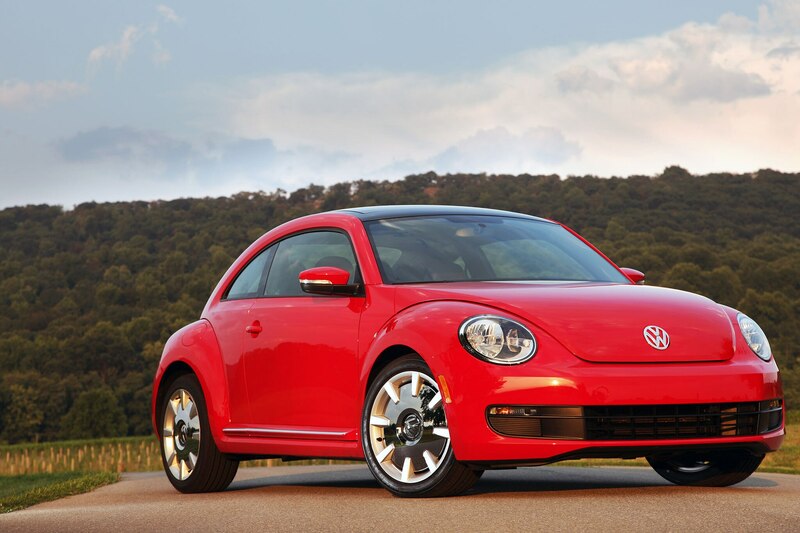 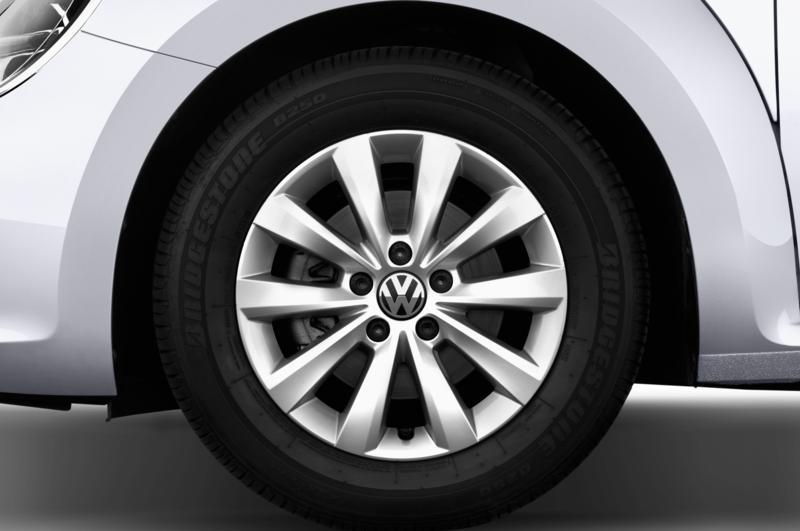 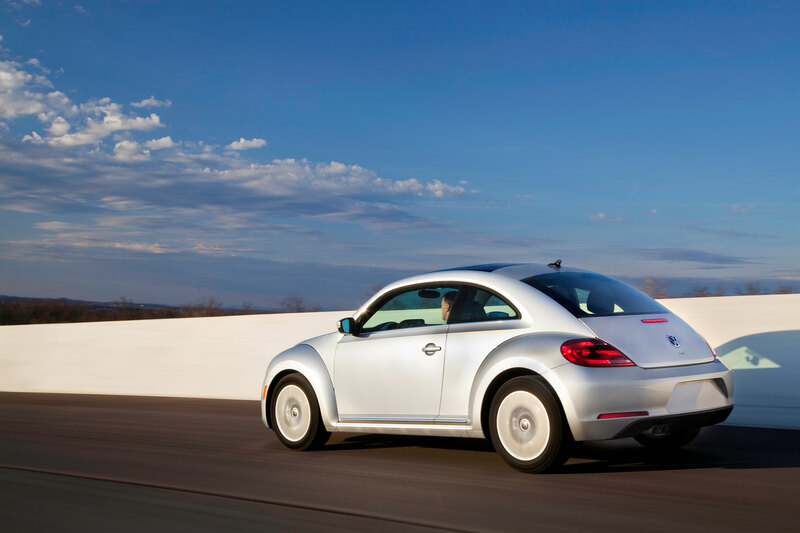 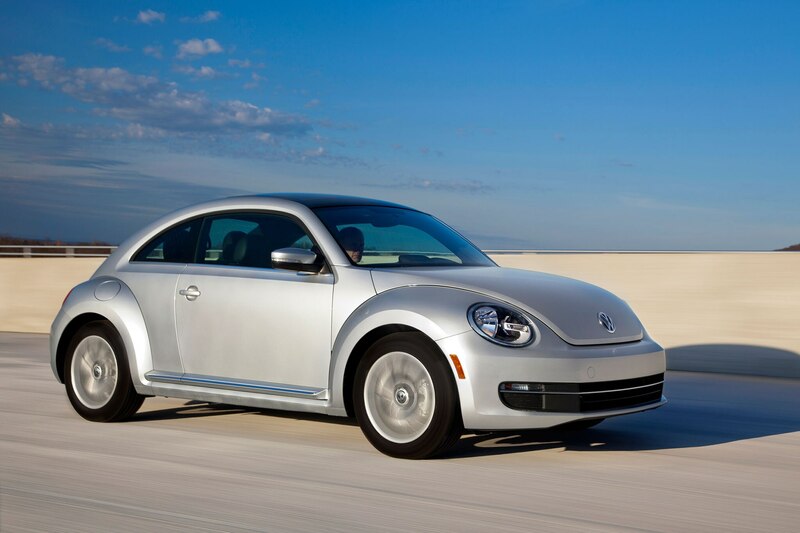 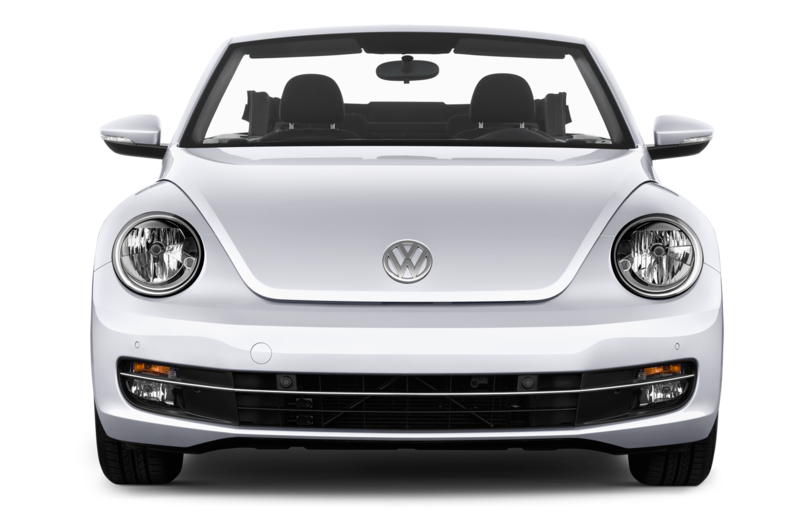 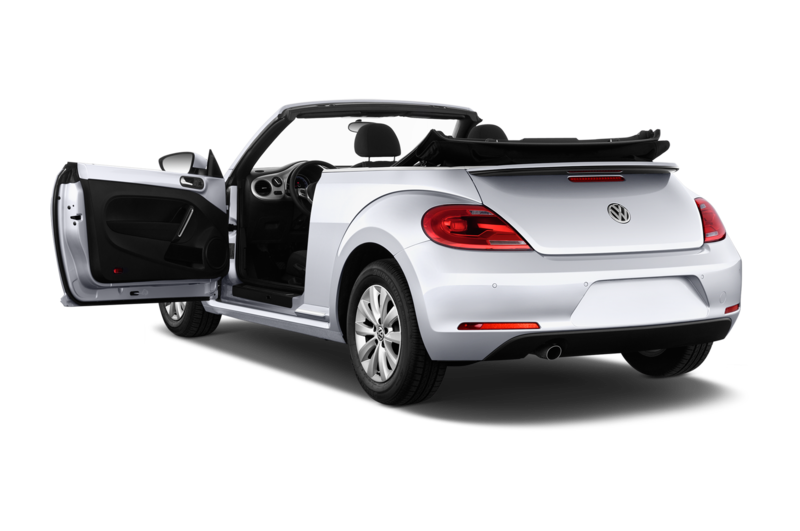 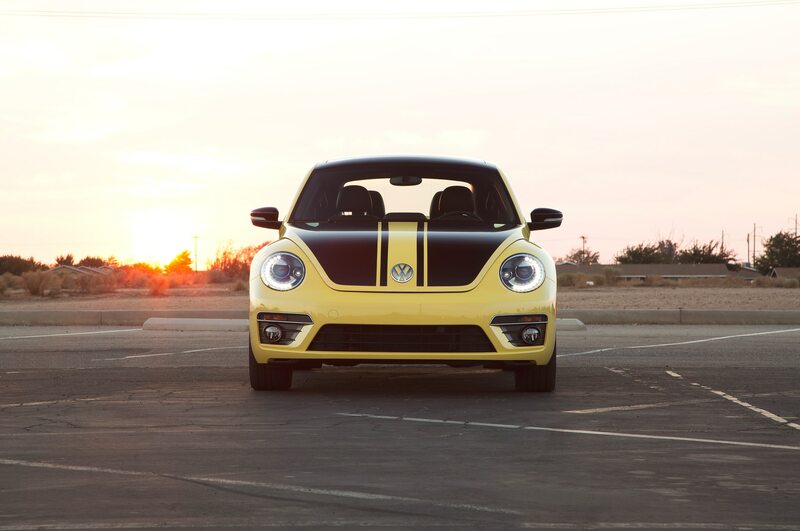 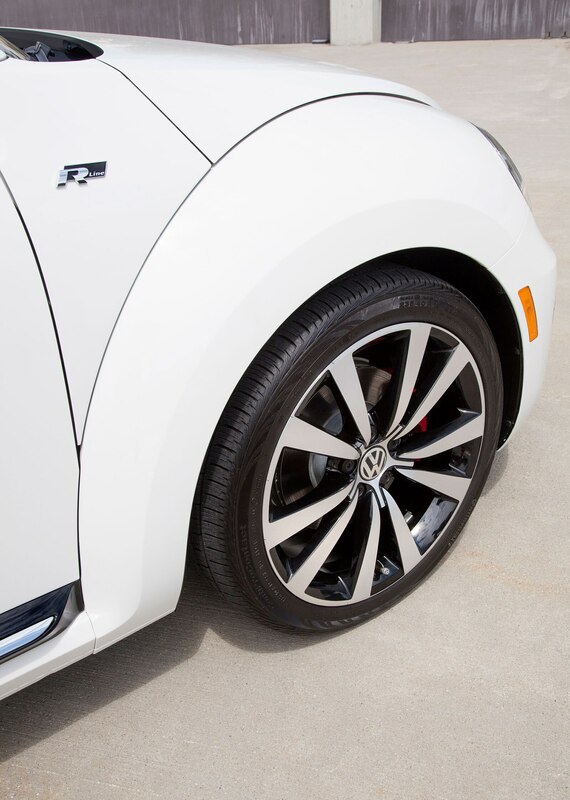 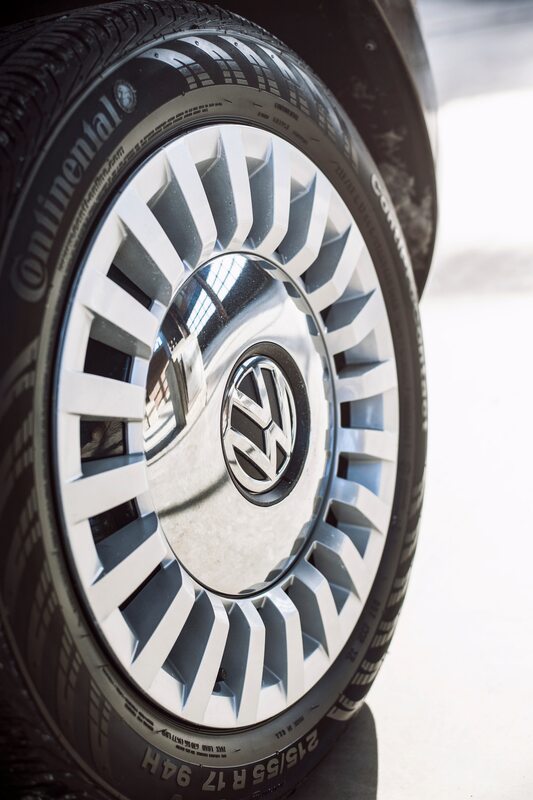 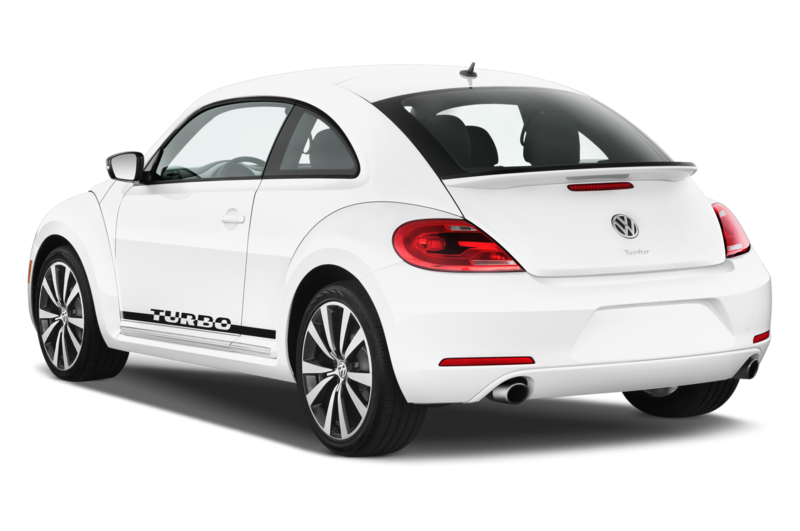 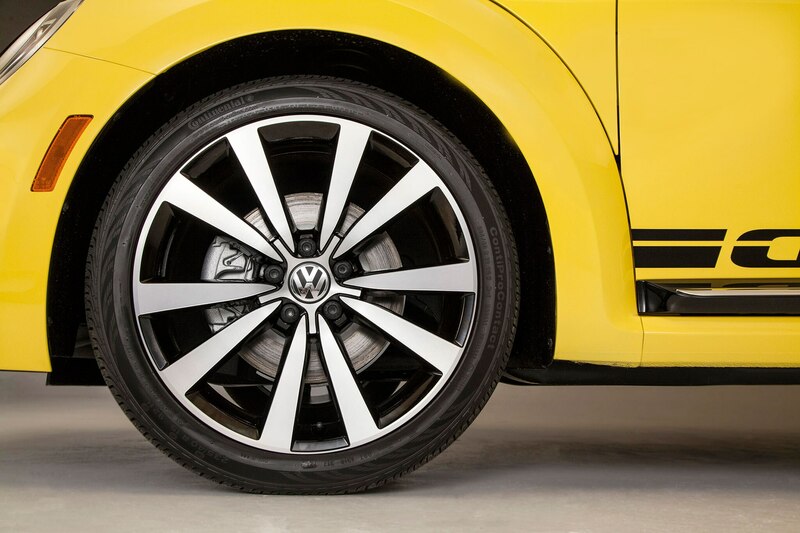 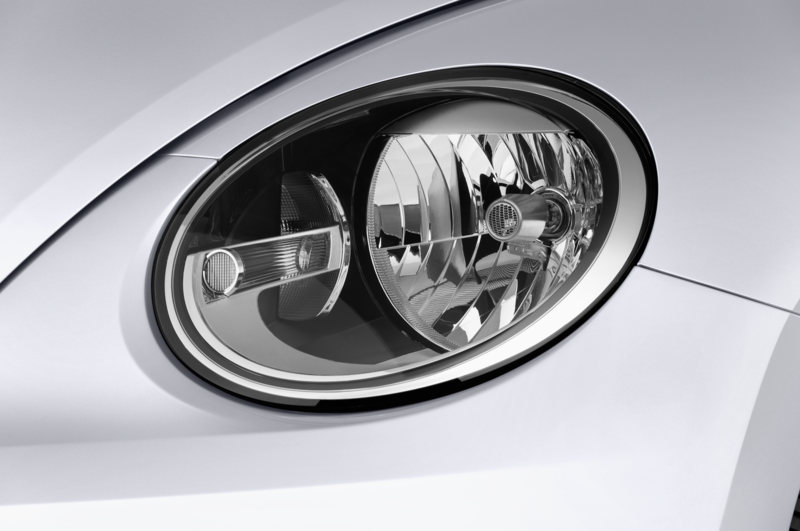 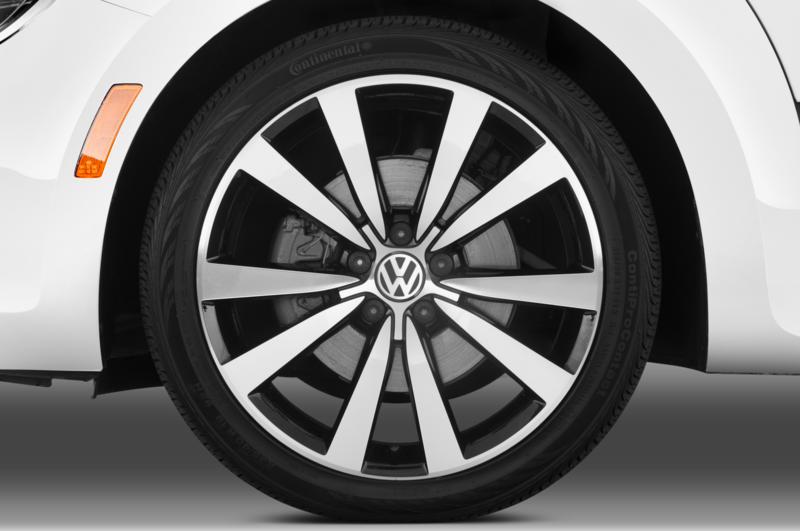 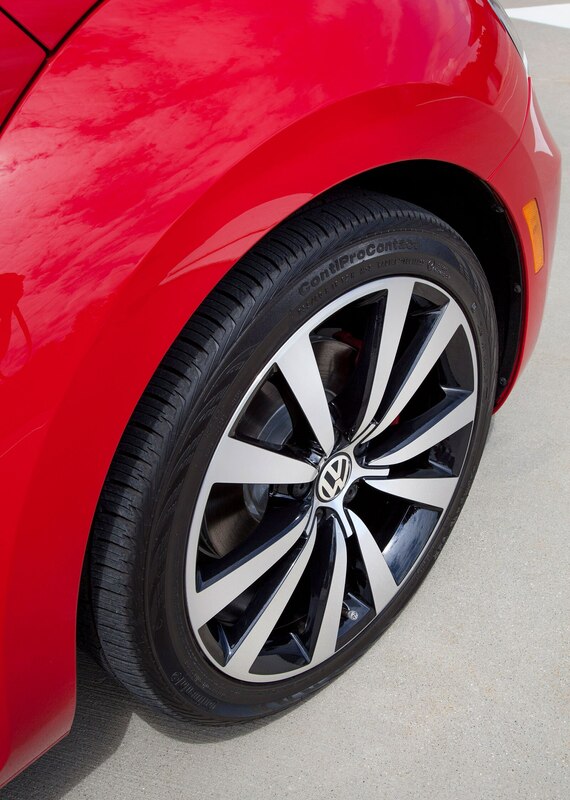 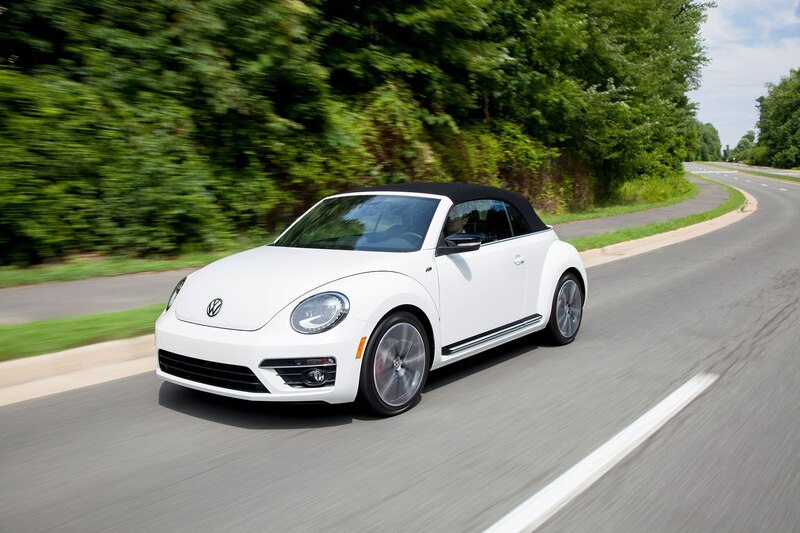 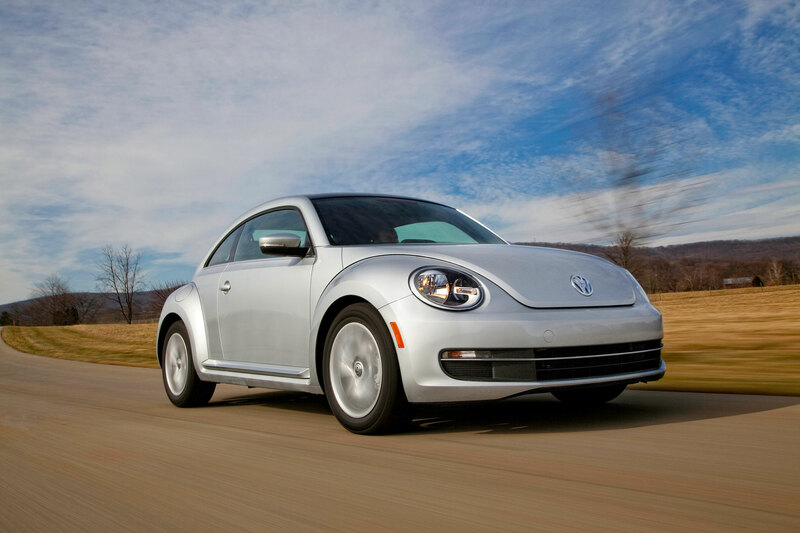 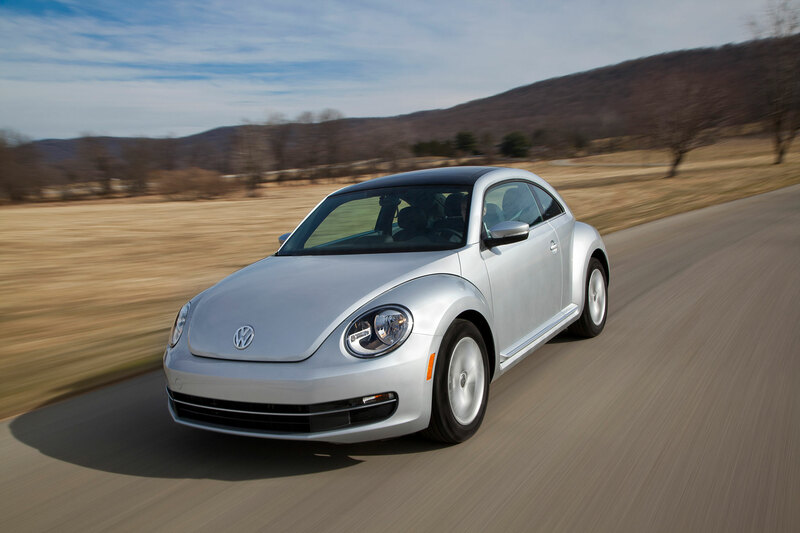 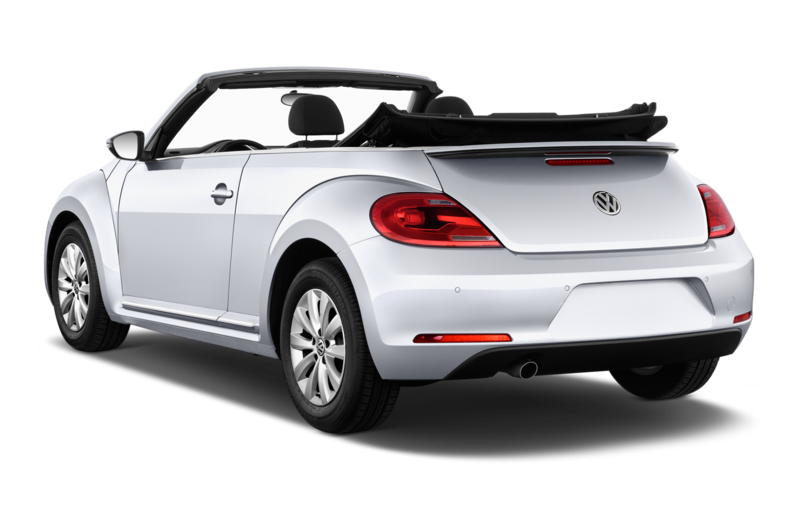 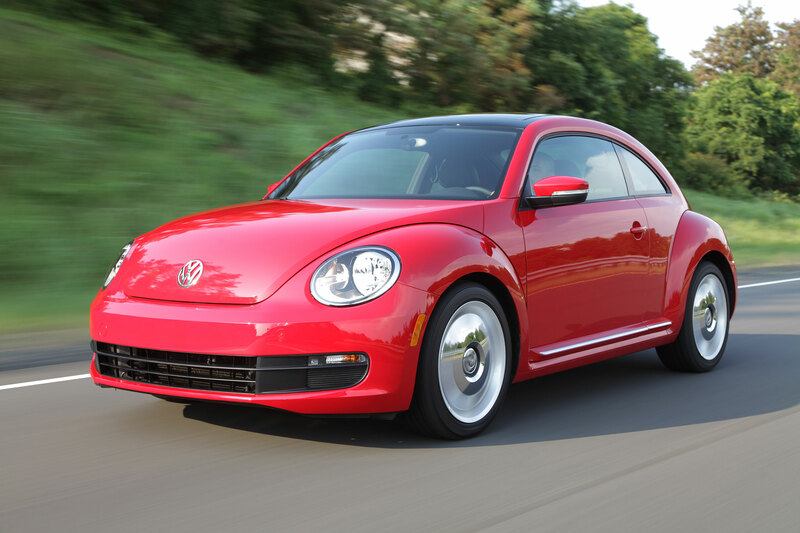 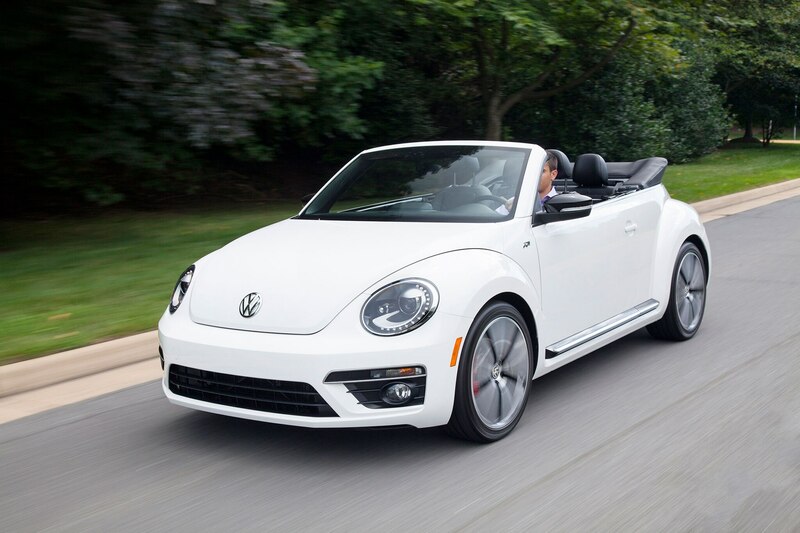 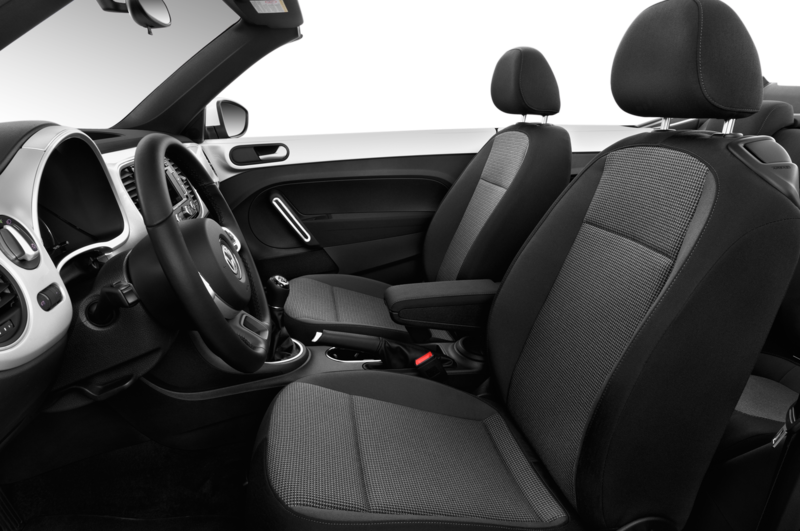 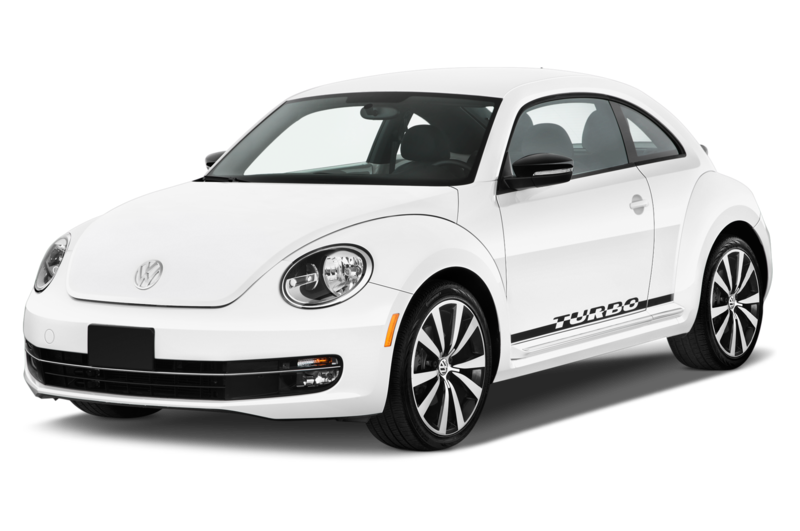 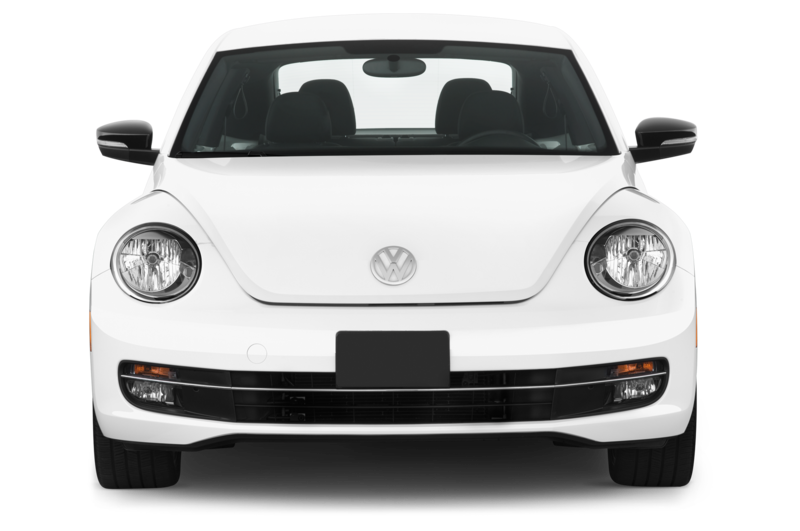 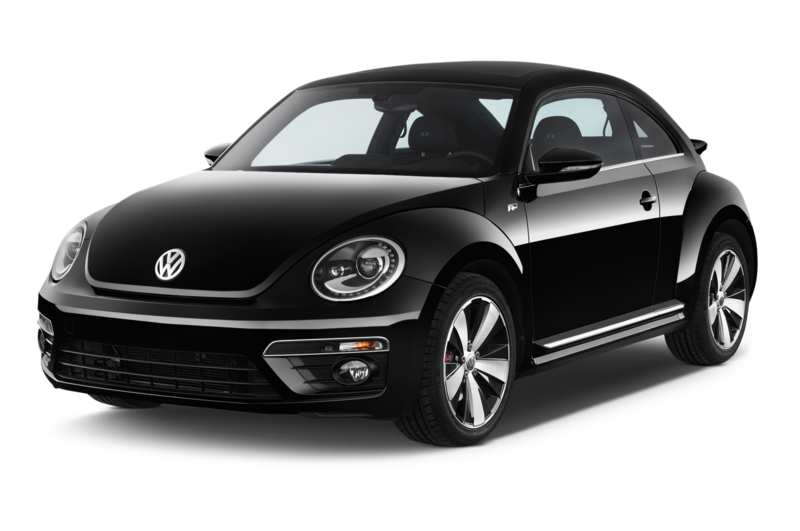 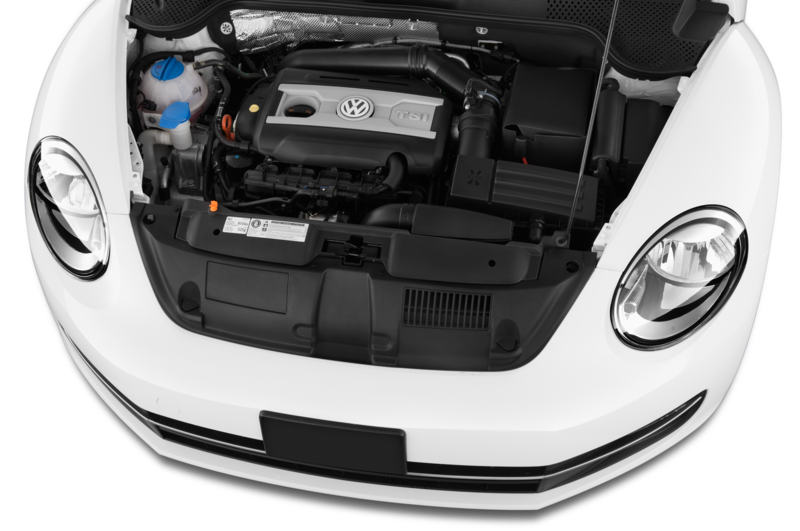 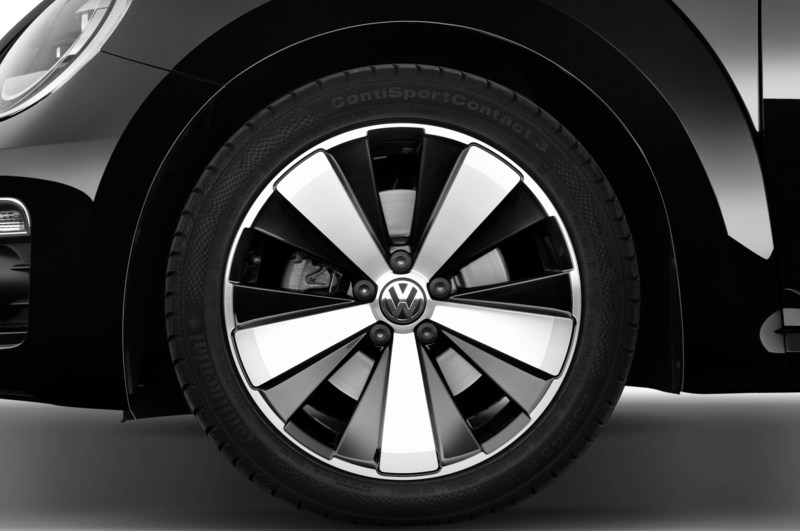 “How cute” is the first phrase that comes to mind when describing a Volkswagen Beetle. 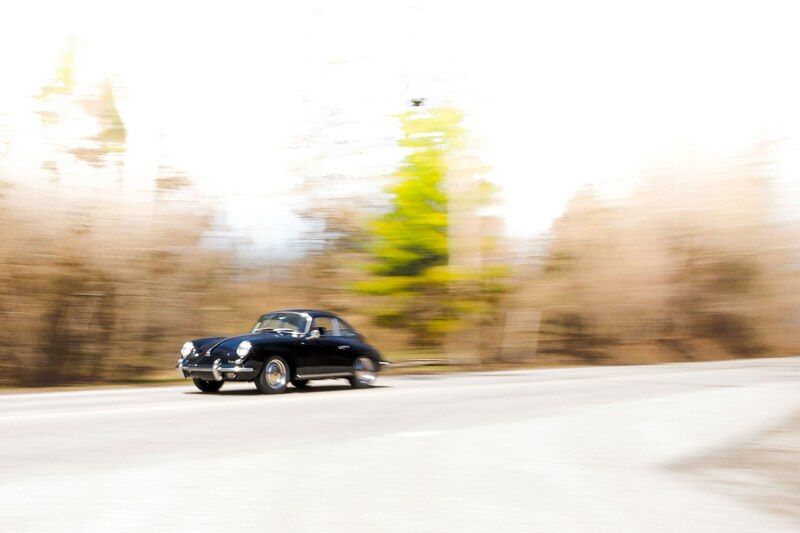 That’s not at all what we’re thinking as we take a long sweeper in a jet-black, 1964 Porsche 356SC. 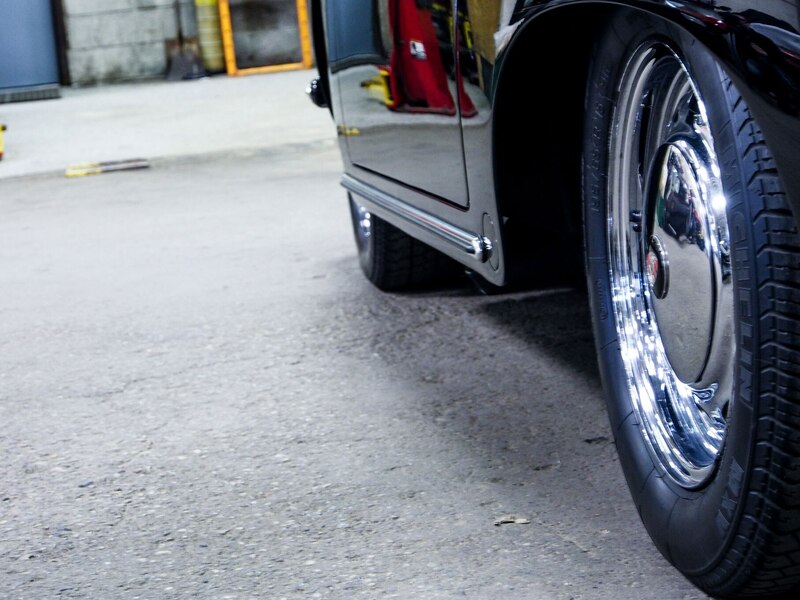 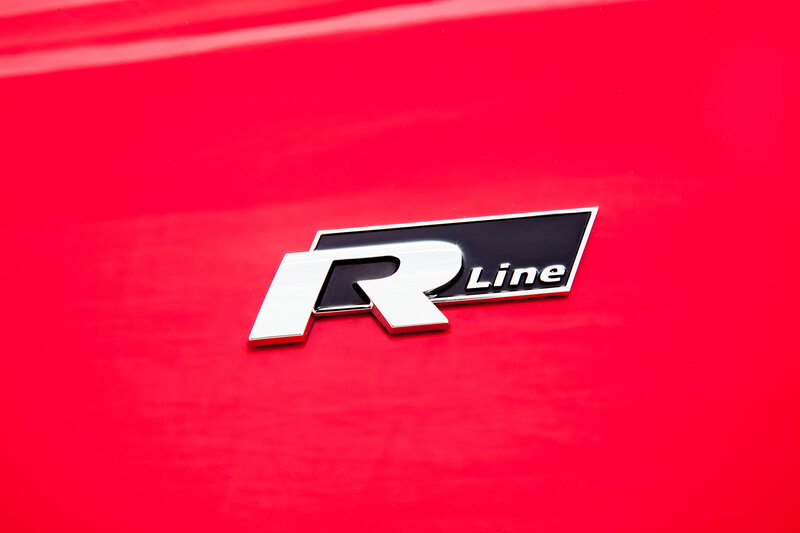 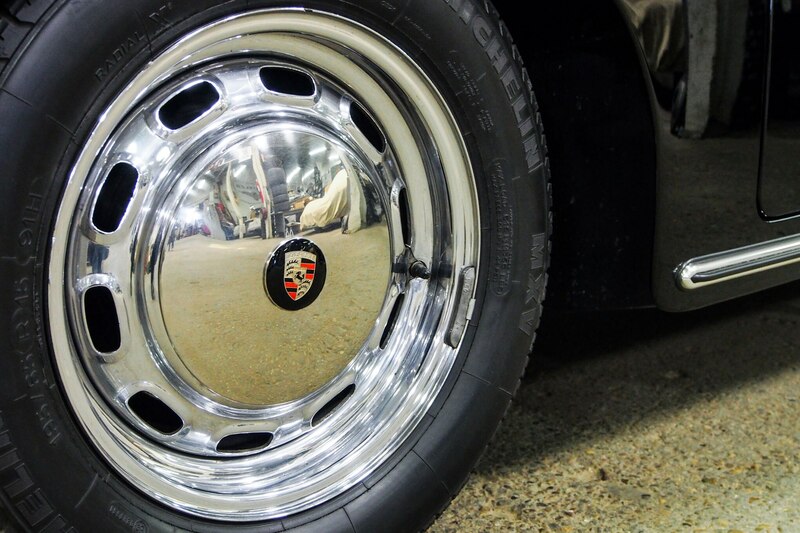 The phrase we’re repeating aloud at this moment happens to be, “don’t lift.” The Porsche’s skinny radials hold on and its flat-four clatters up to 5000 rpm as we accelerate out of the turn. 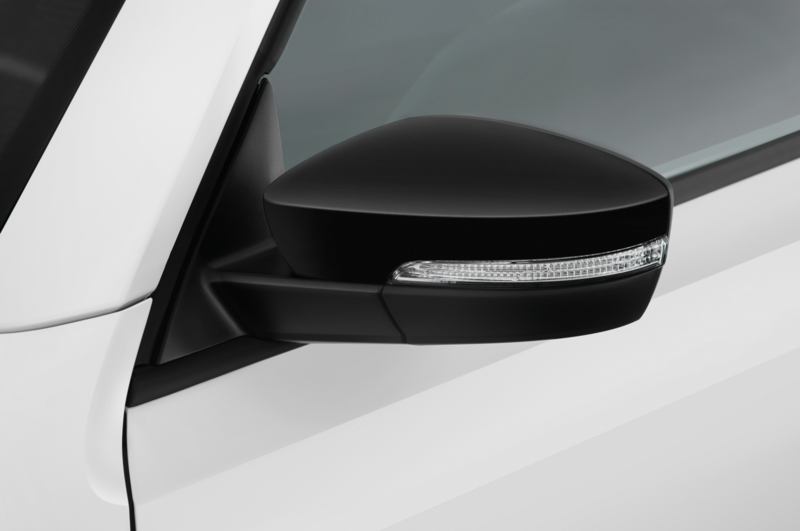 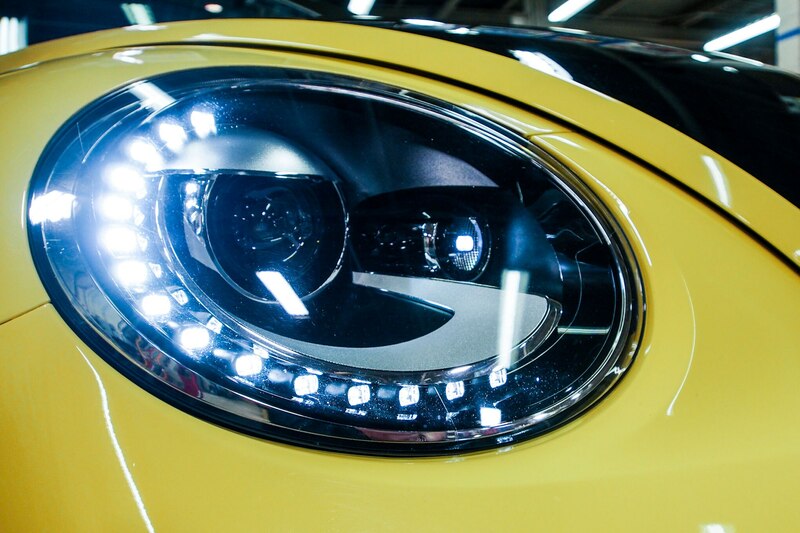 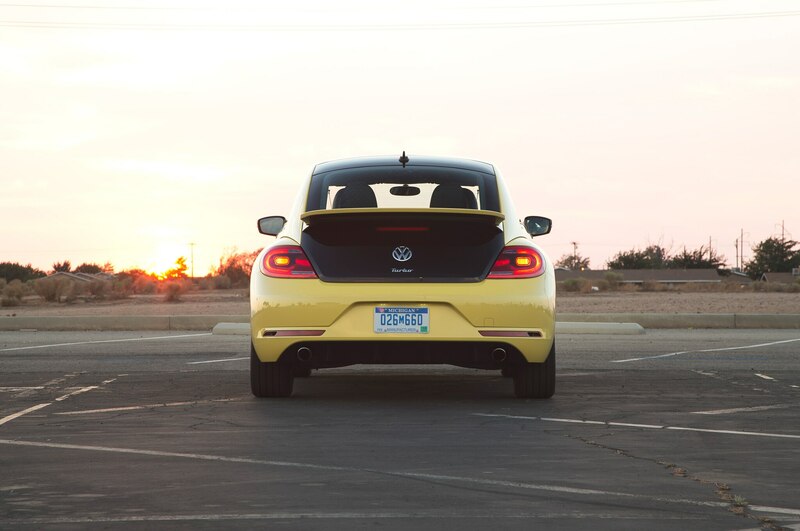 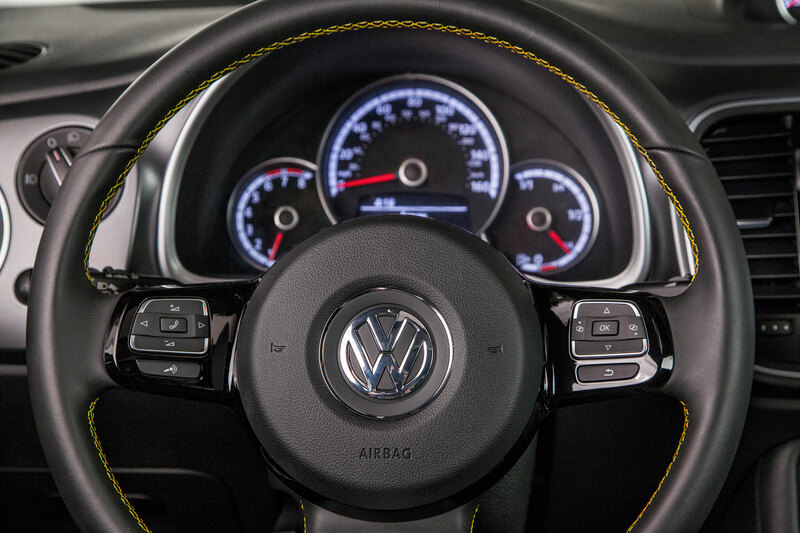 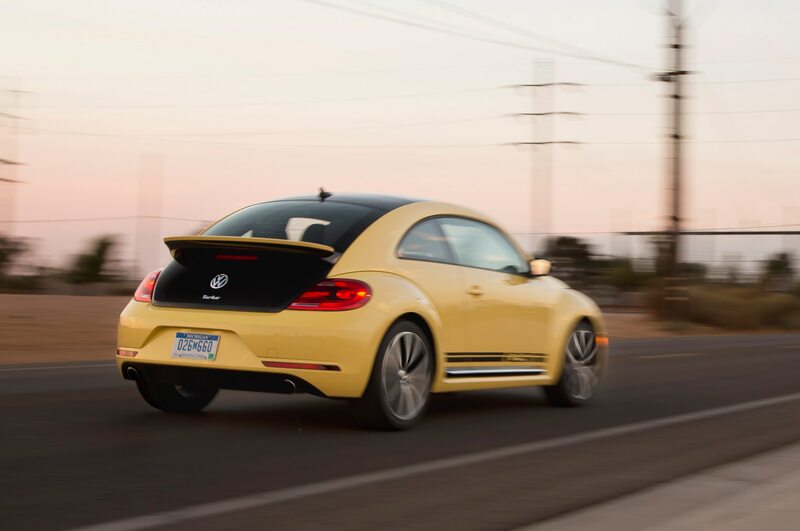 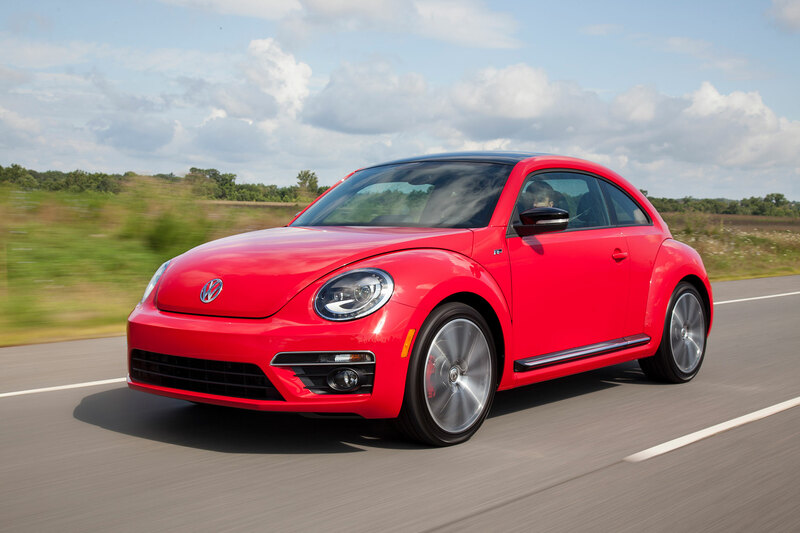 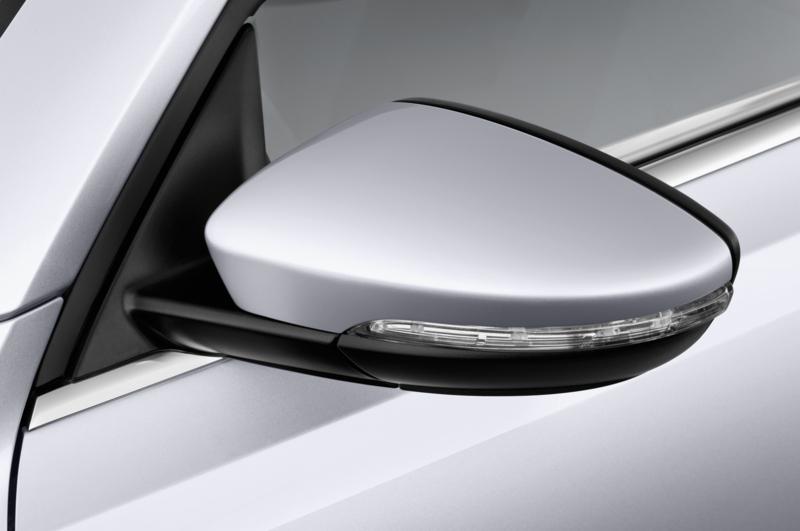 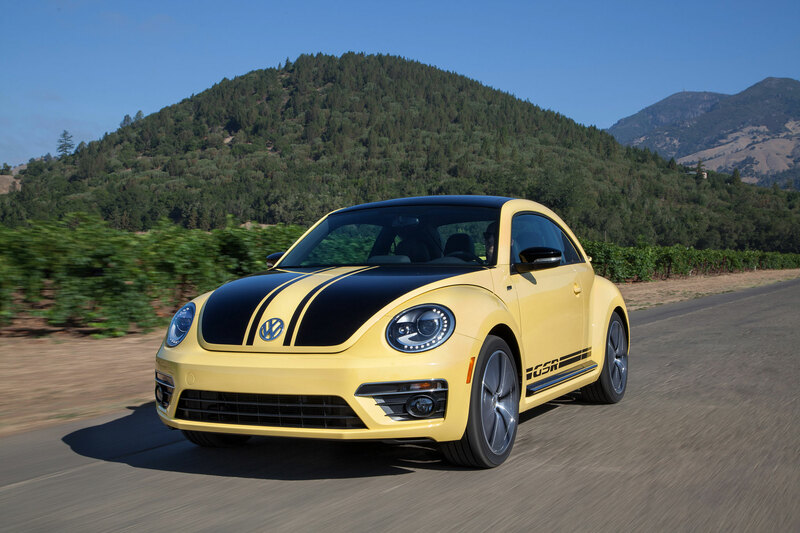 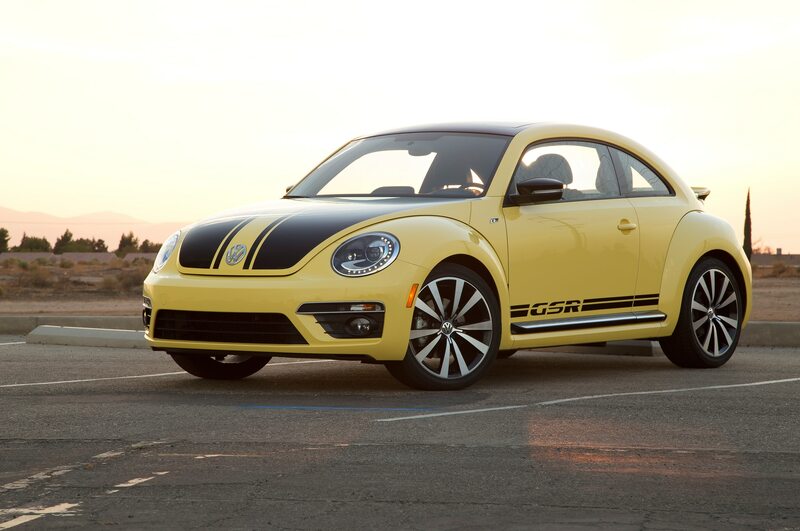 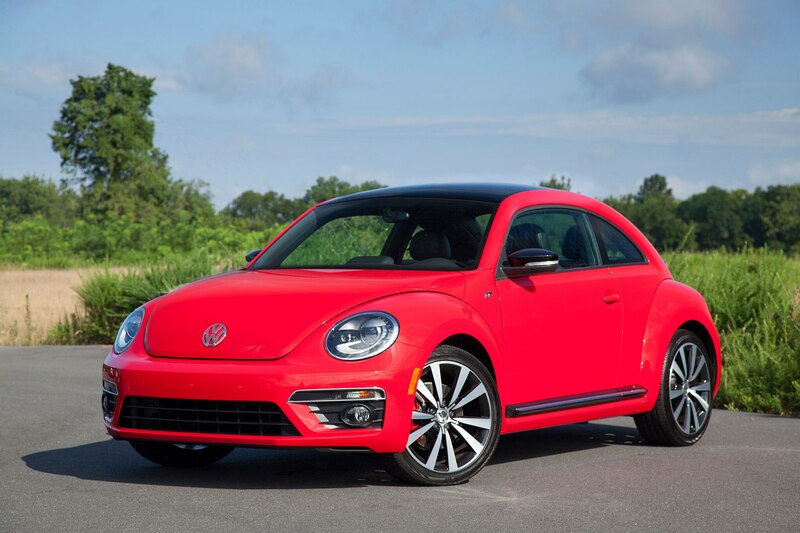 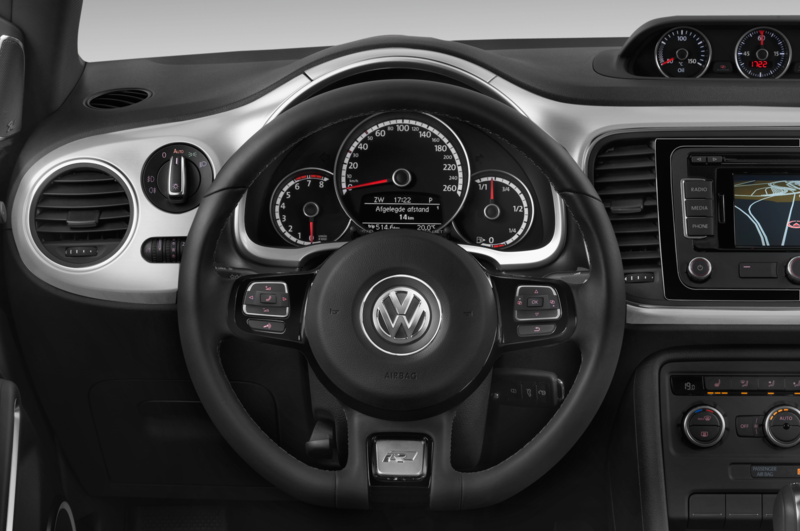 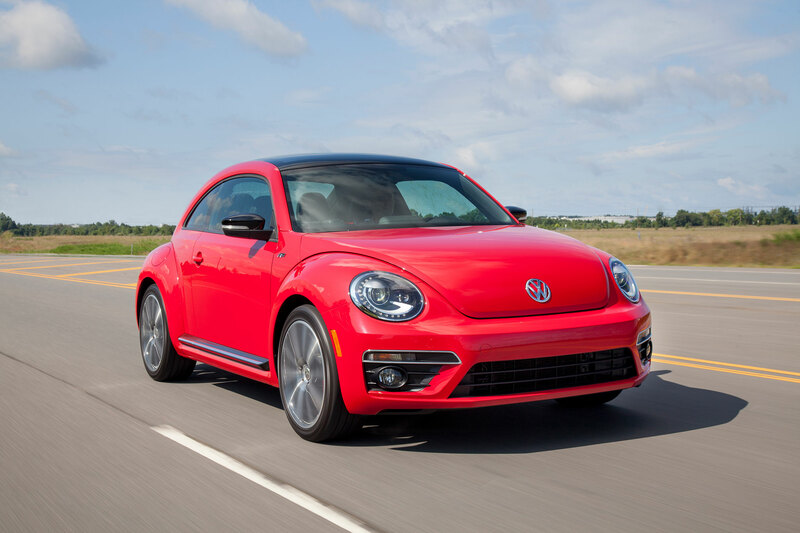 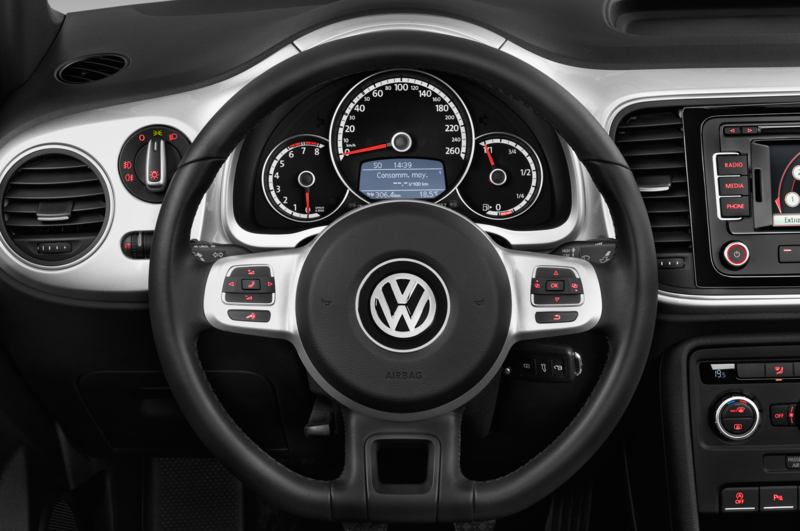 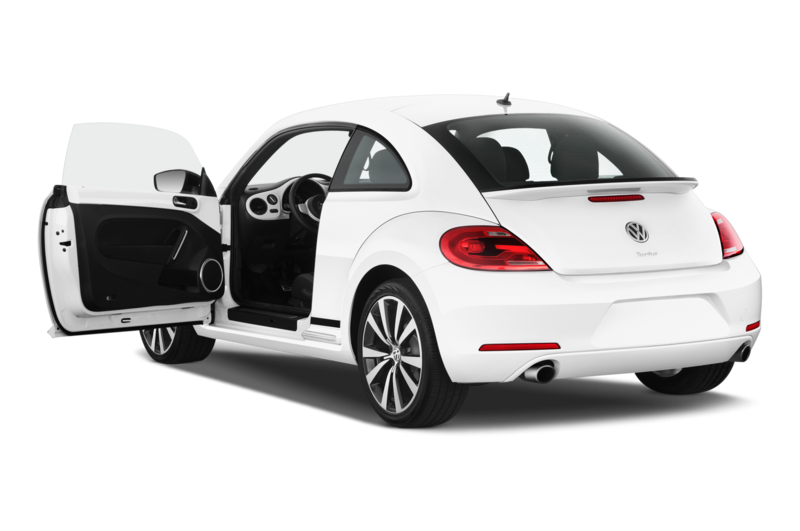 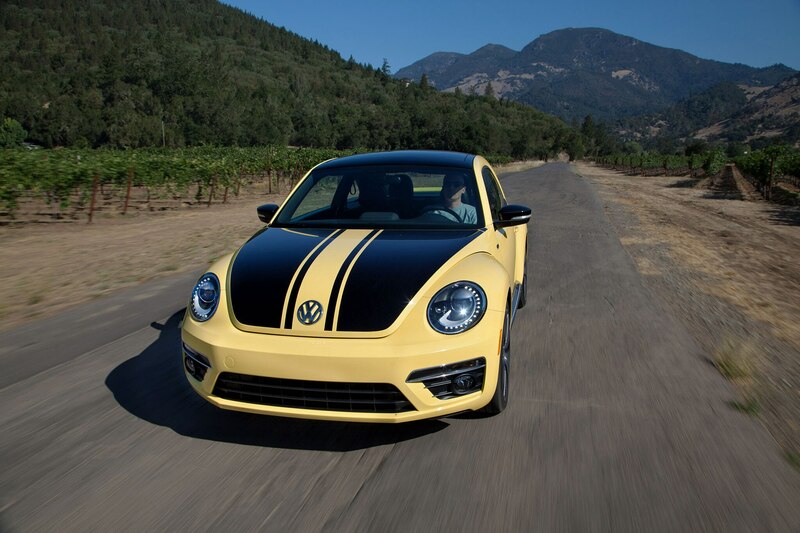 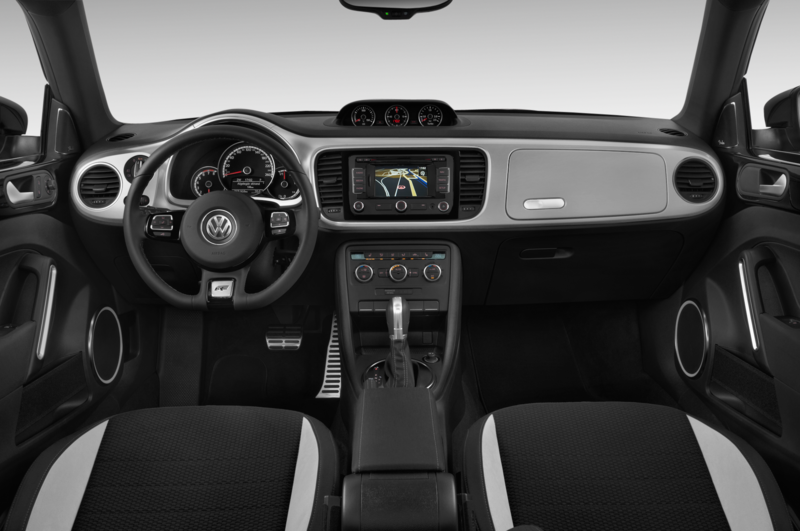 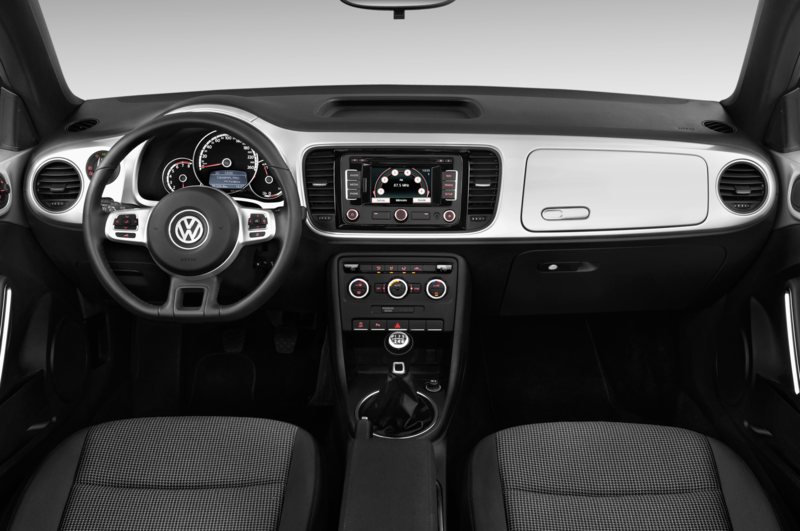 Filling our rear-view mirror and taking the corner with far less effort is the latest Bug with an attitude, the 2014 Volkswagen Beetle GSR. 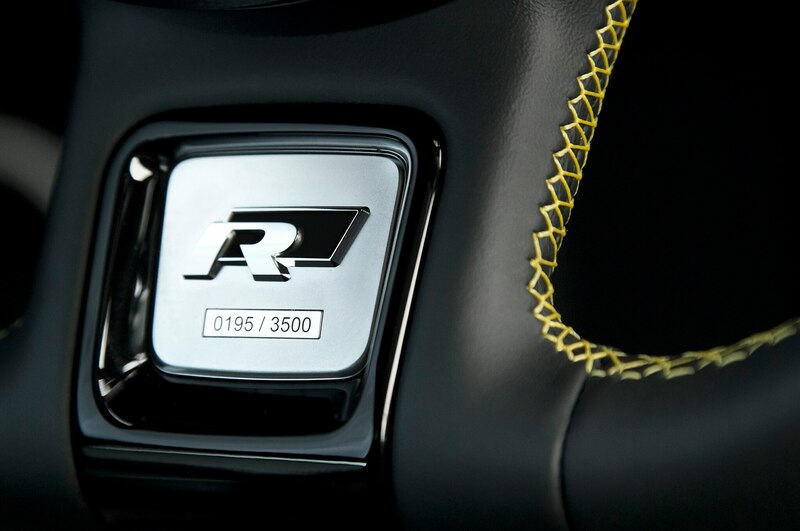 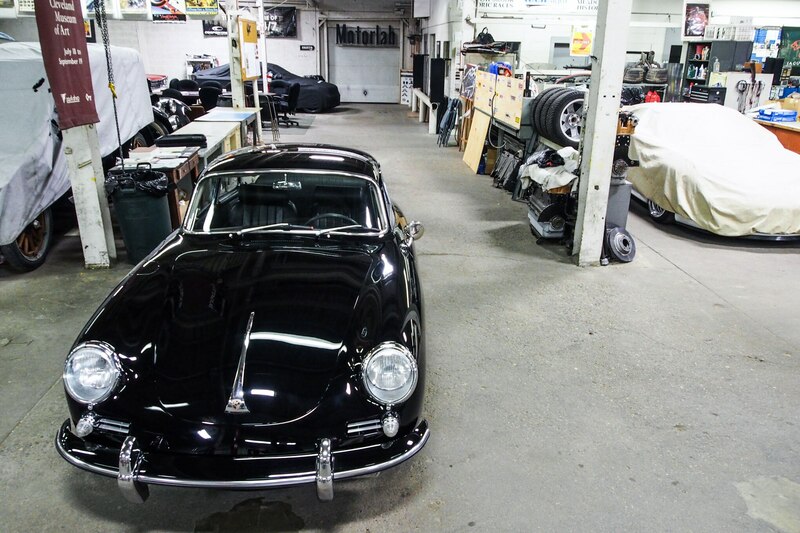 It is, of course, a very different car; front-engine, front-wheel drive, and fifty years younger. 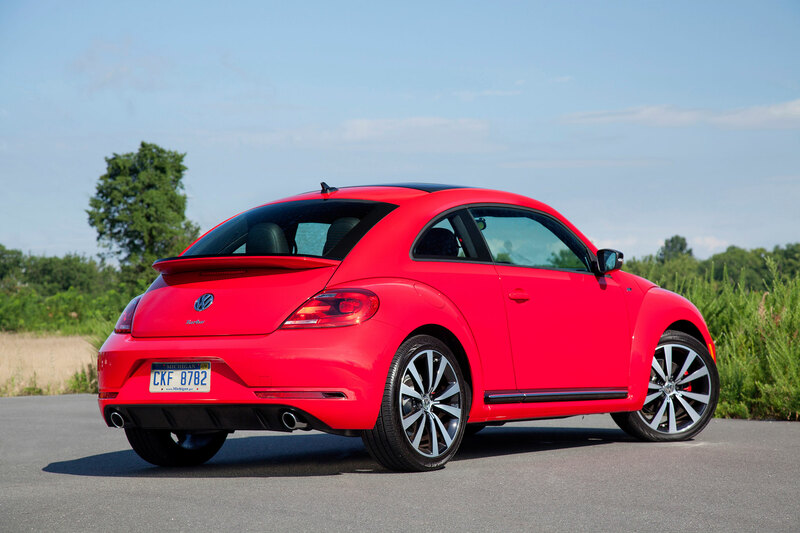 Yet its basic purpose is the same: turn the lovable, functional Beetle into something much spicier. 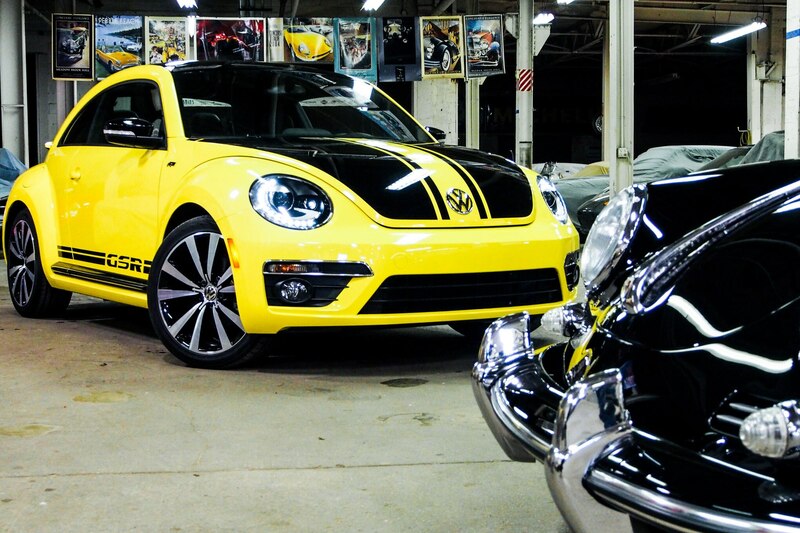 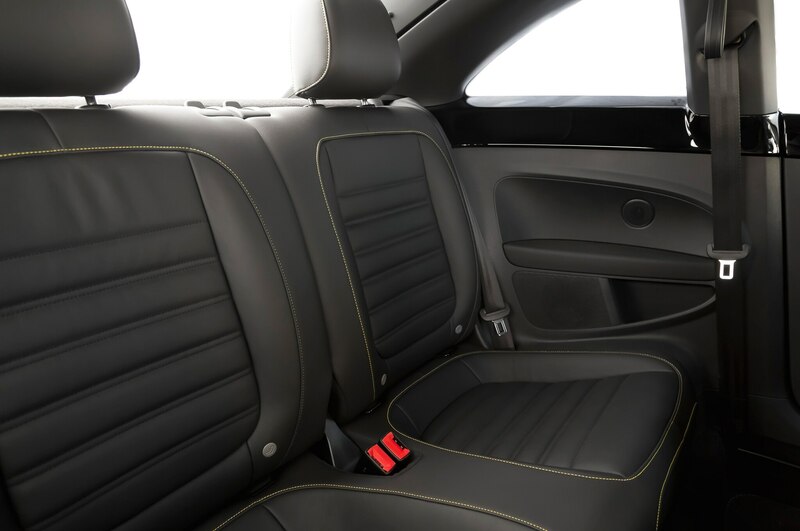 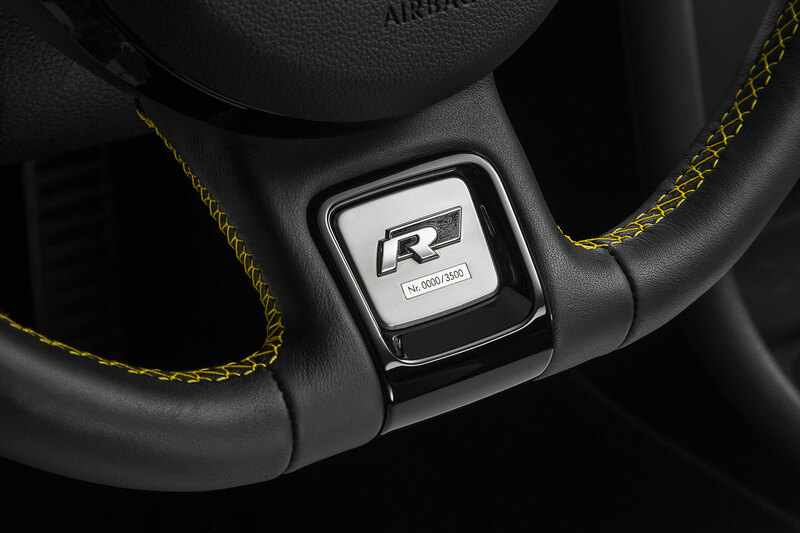 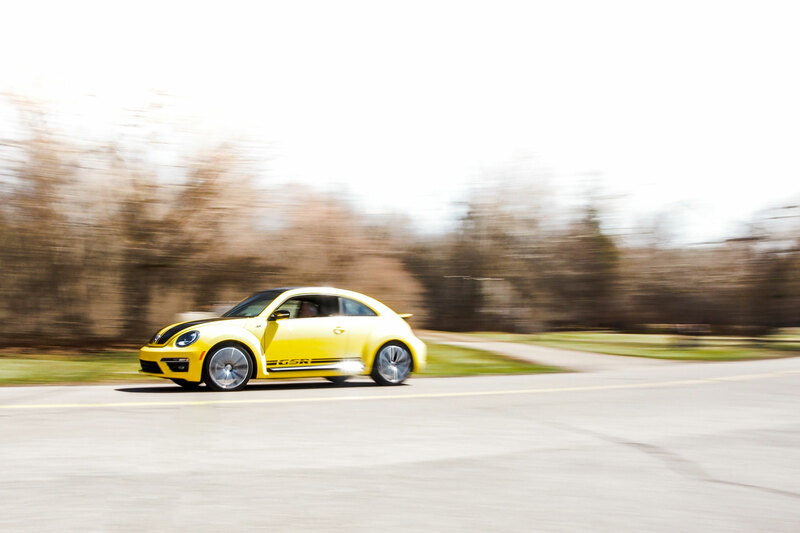 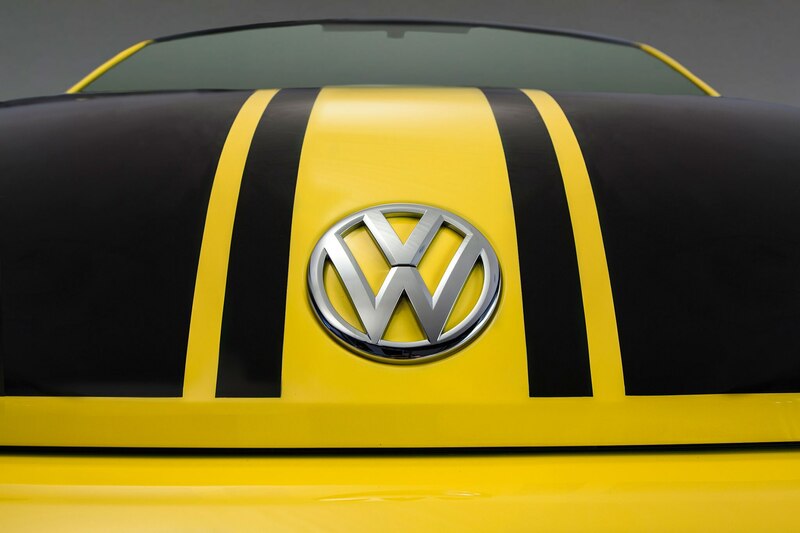 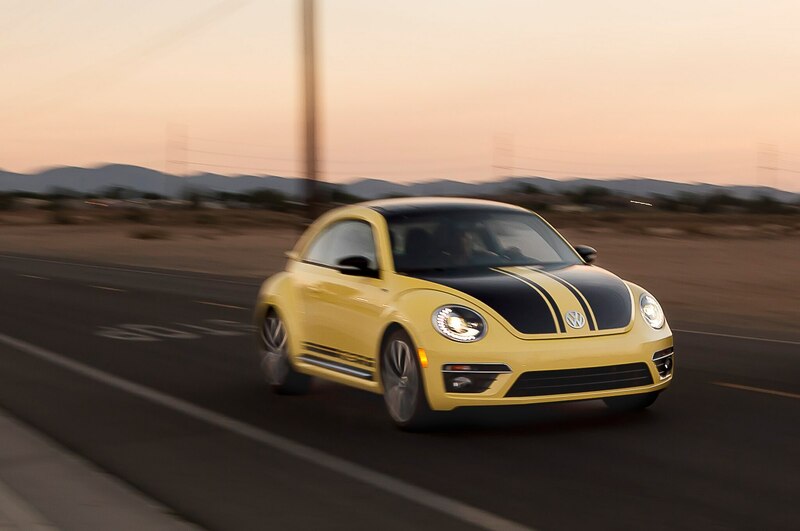 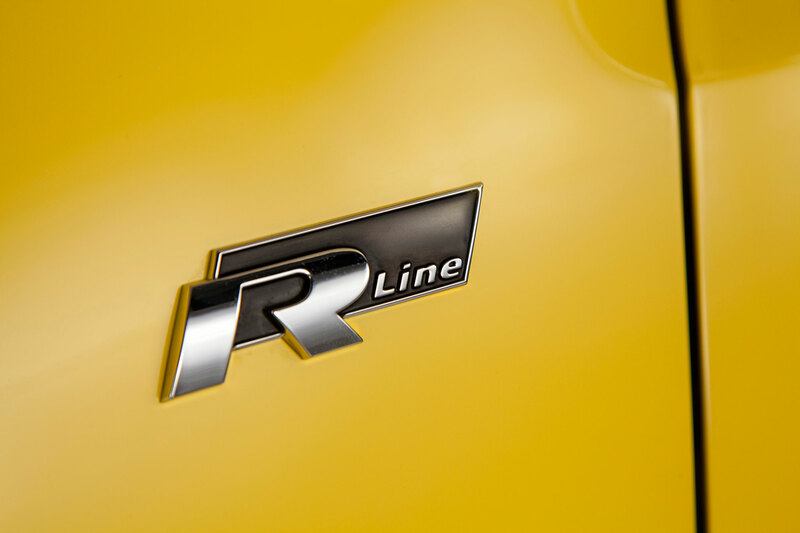 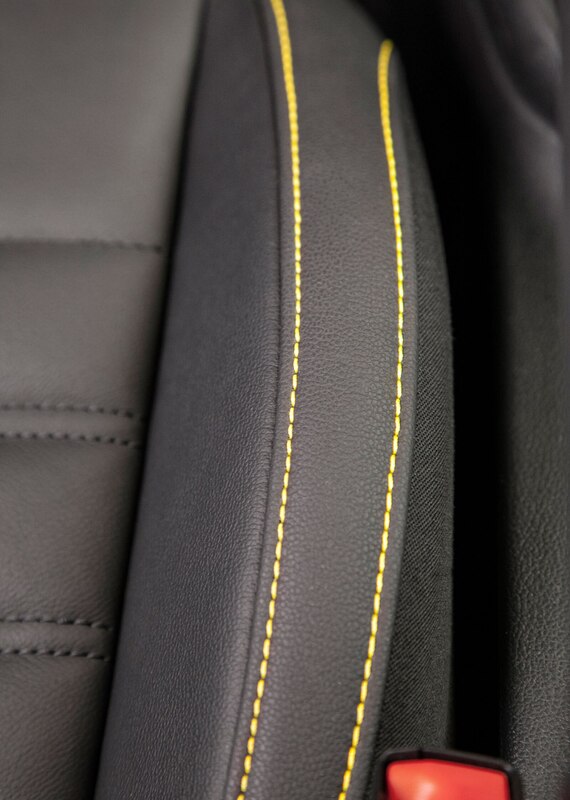 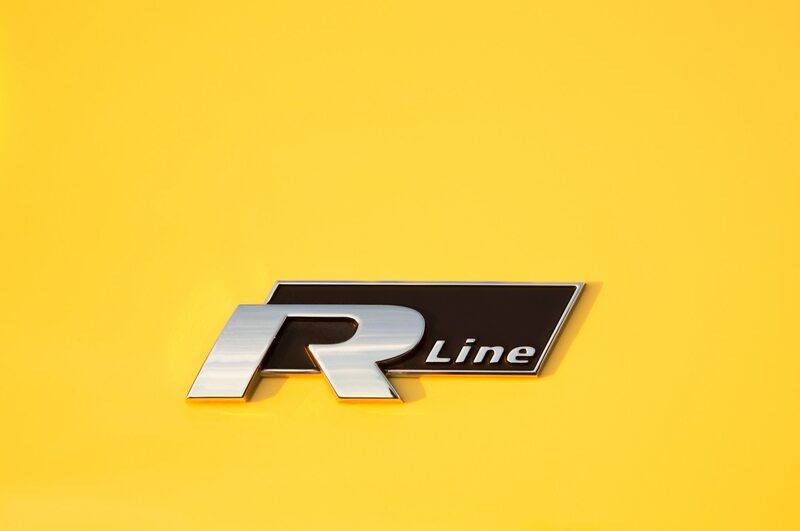 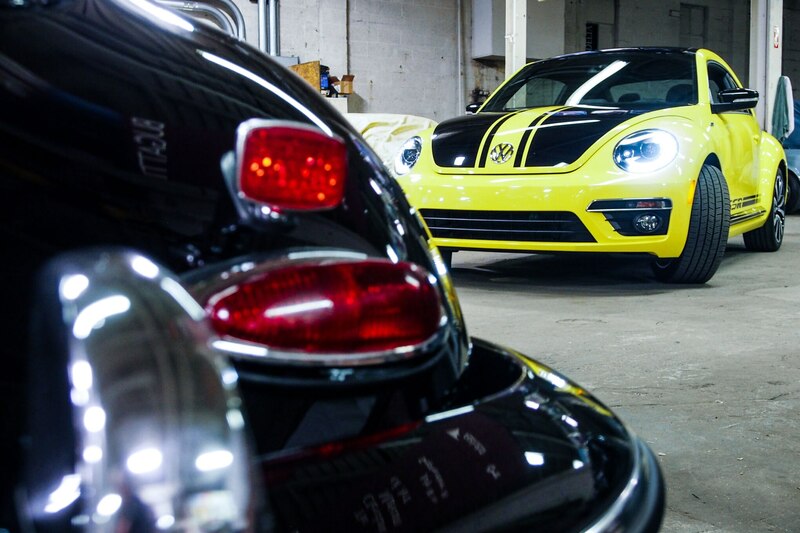 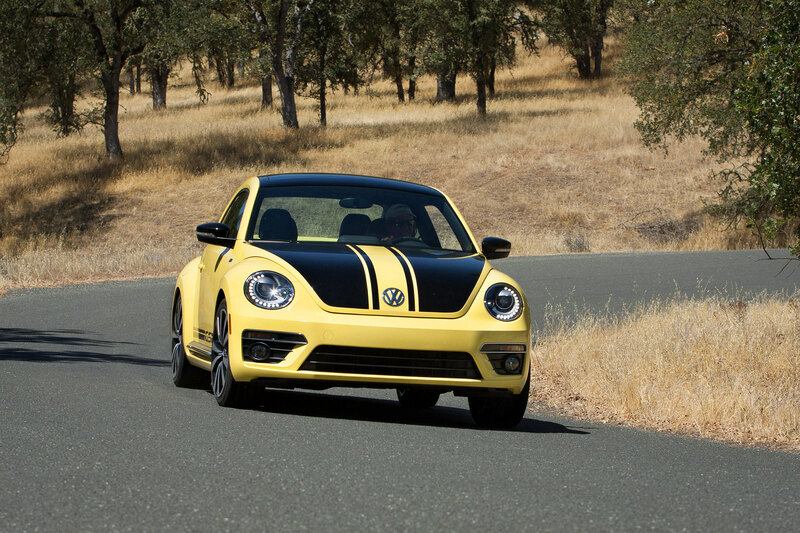 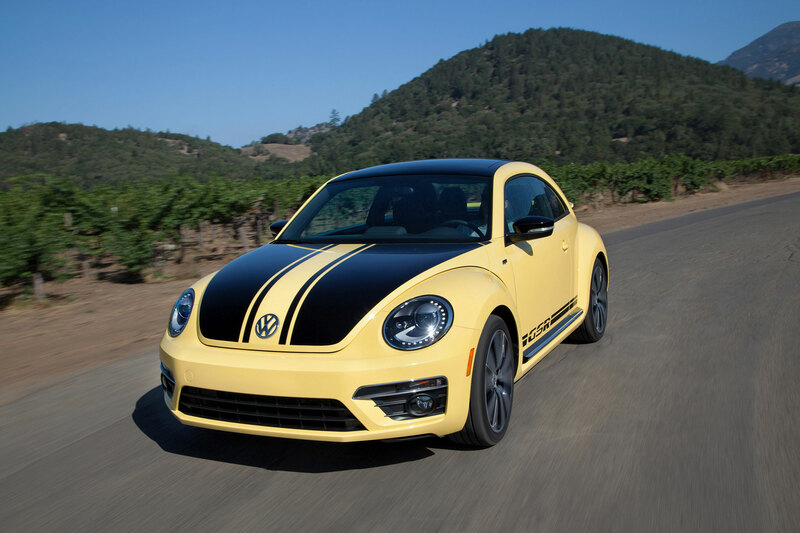 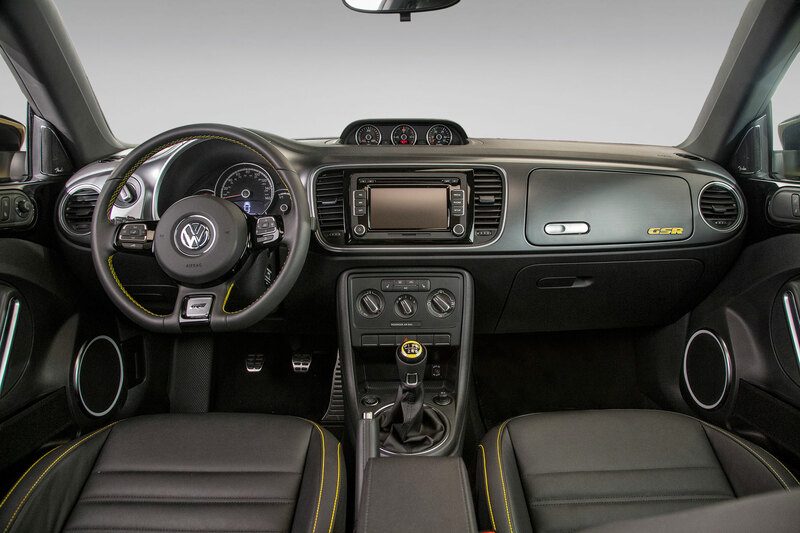 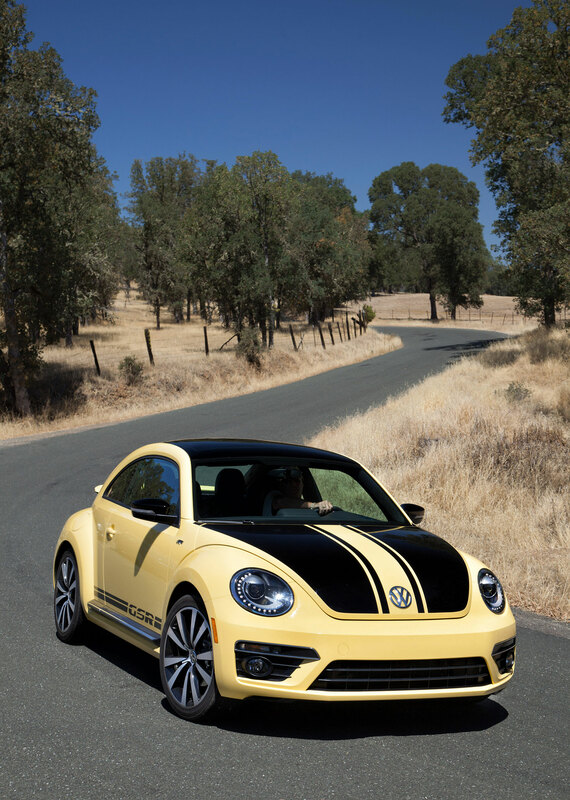 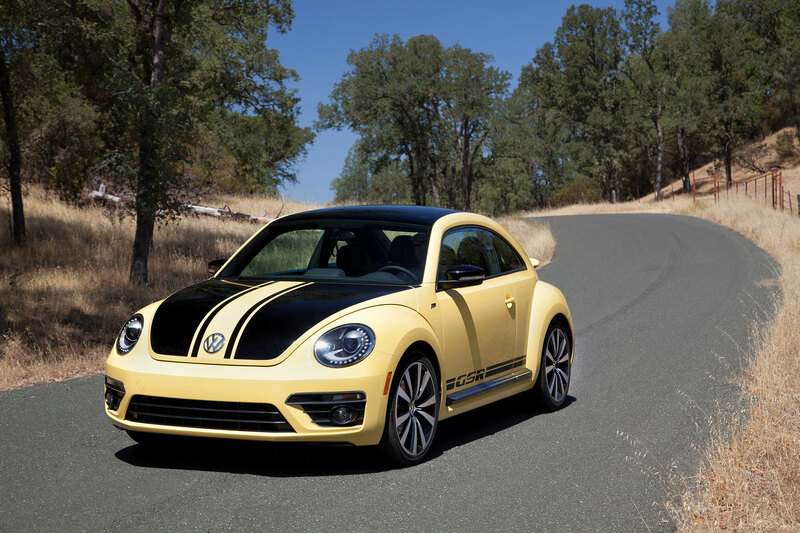 The Beetle GSR officially pays homage to the 1973 Gelb Schwarzer Renner (Yellow Black Racer), but the crazy notion of making a sports car out of the Beetle can be traced back to an old sawmill in Gmünd, Austria. 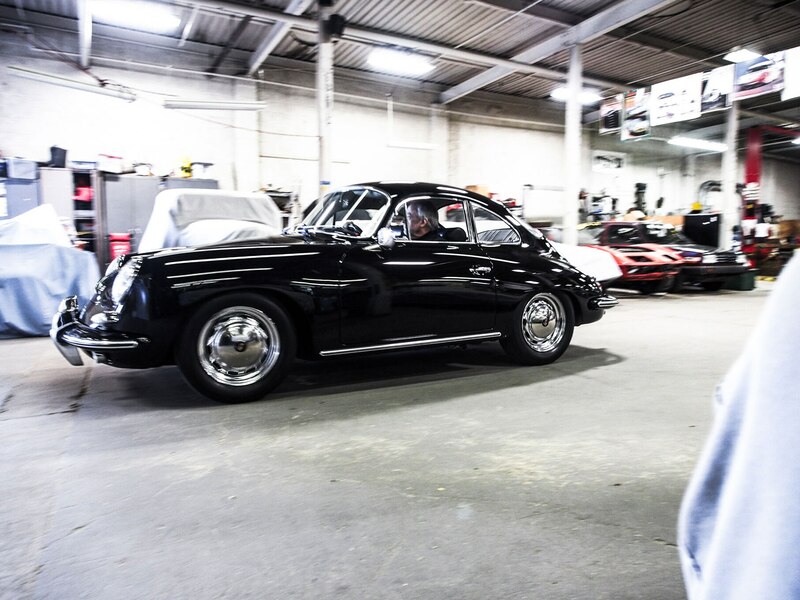 That’s where Ferry Porsche found himself at the end of World War II. 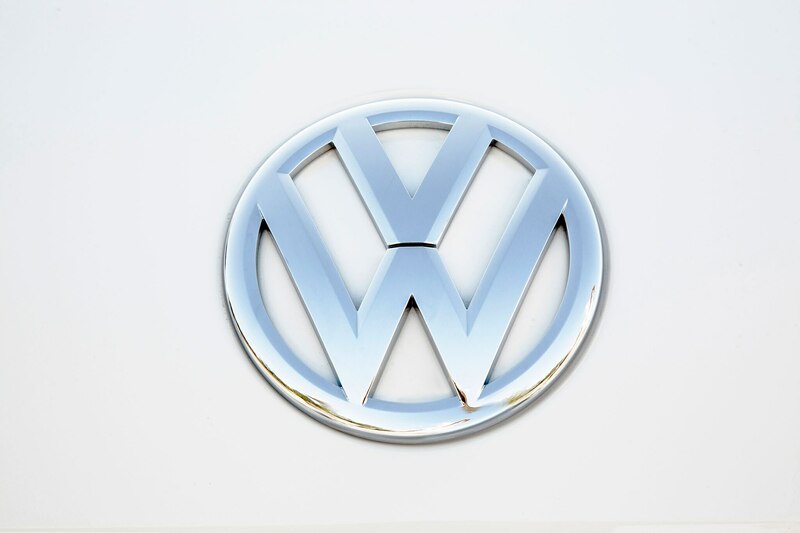 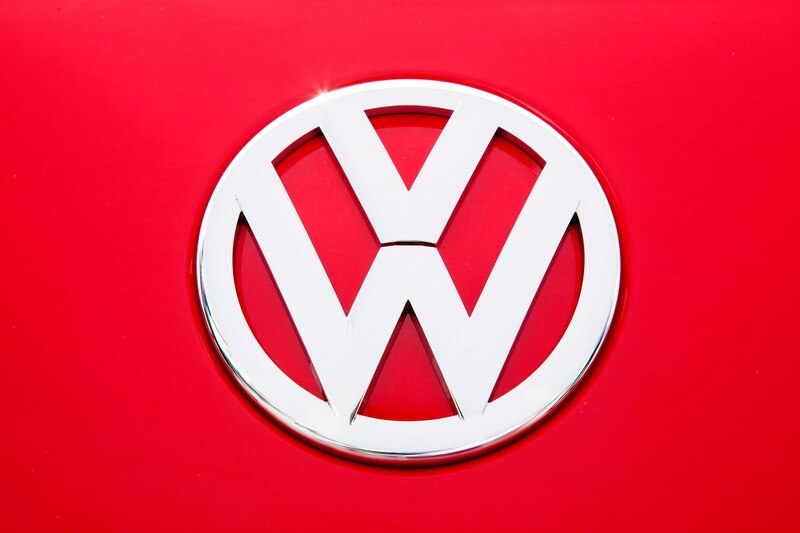 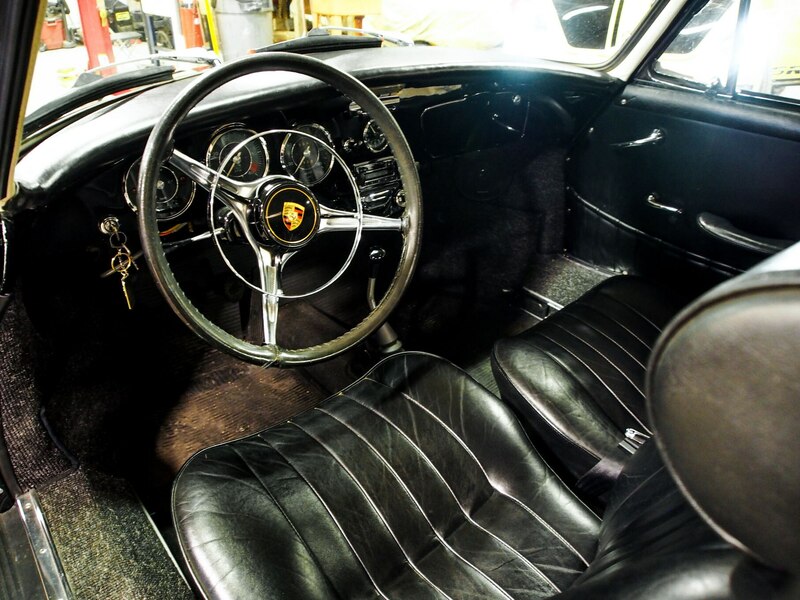 Porsche chose the Volkswagen as a starting point not because it was fast or even because it was charming—the innovative advertising and the hippies would come along much later—but because it was cheap and reliable. 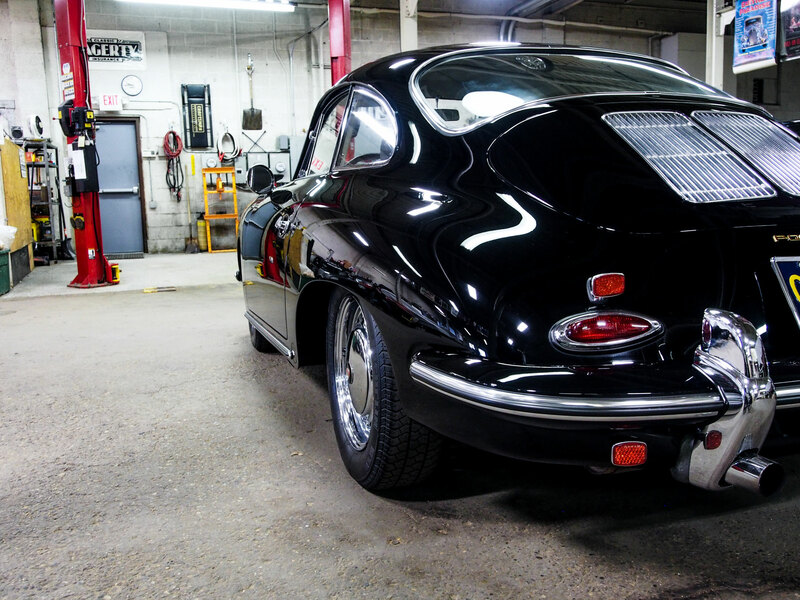 Porsche’s engineers cut nearly a foot out of the wheelbase and heavily modified the flat-four engine. 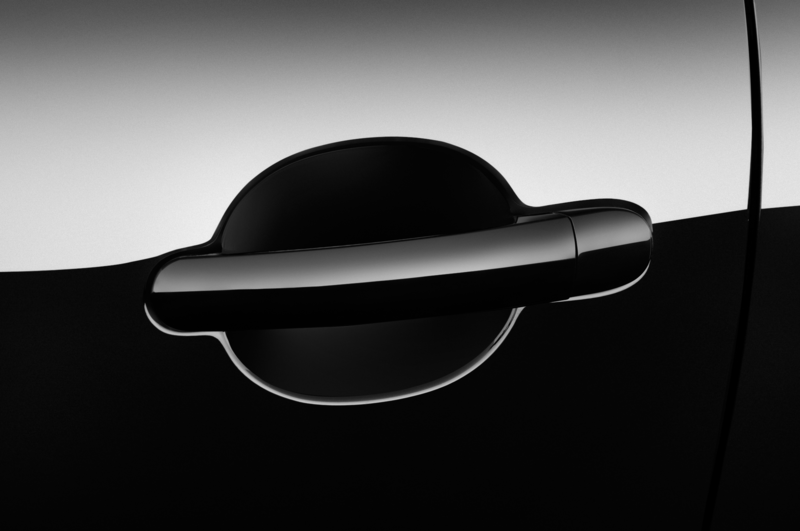 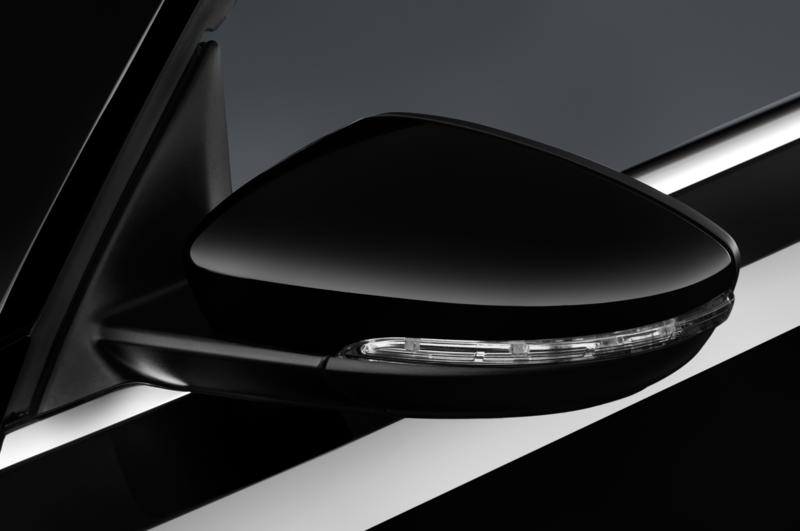 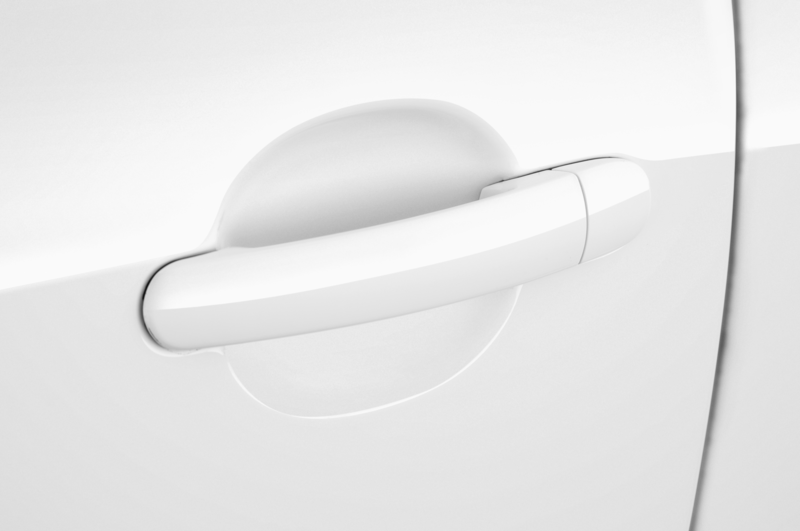 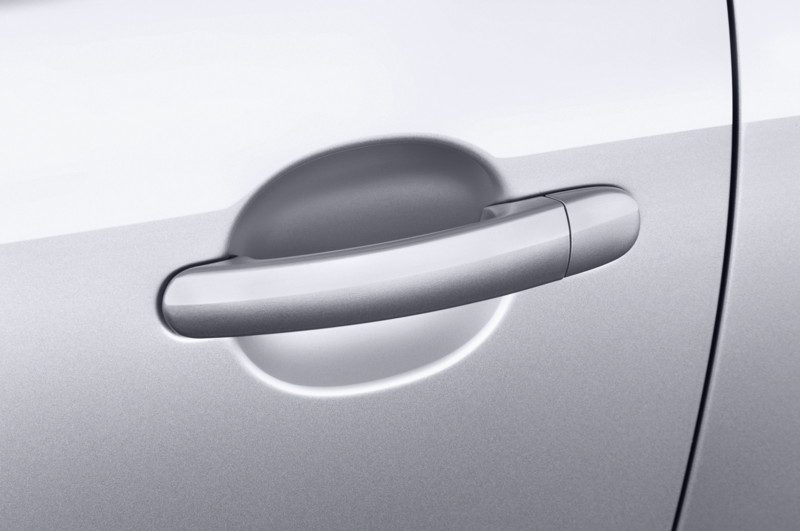 Designer Erwin Komenda penned a sultry new body. 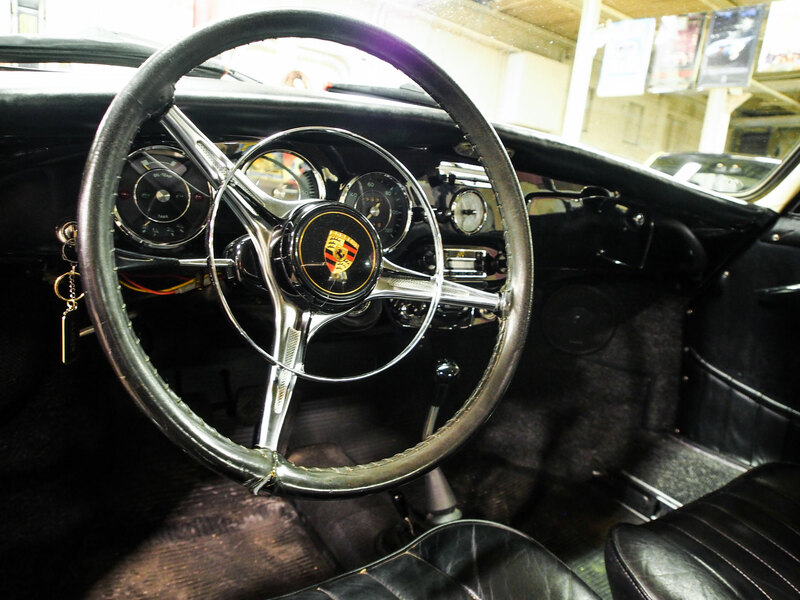 The result, the 356, was a world-class sports car that continued to get better throughout its long life. 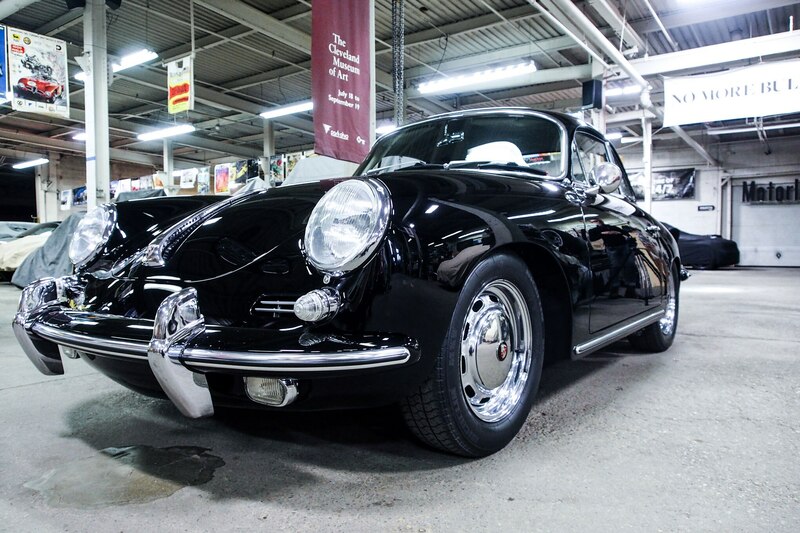 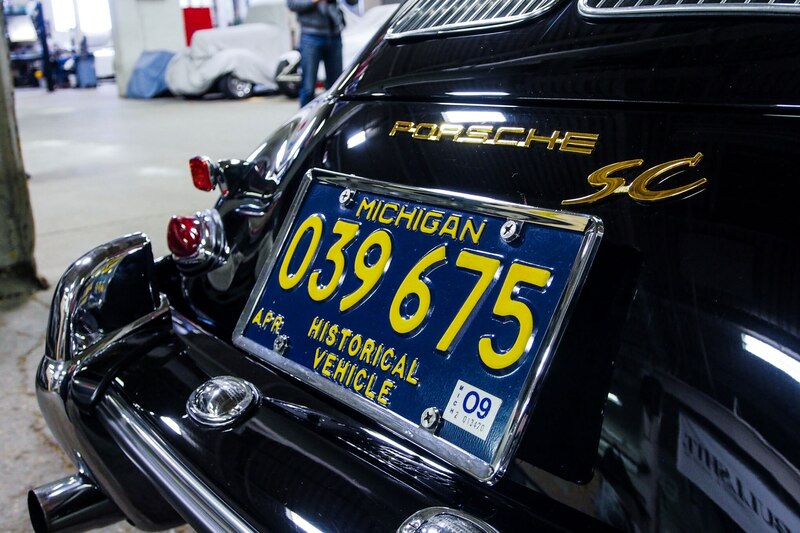 It developed a cult following that included Bill Kinley, who bought his first 356 in the 1960s, when he came to Ann Arbor for college, and who owns the ’64 356SC pictured here. 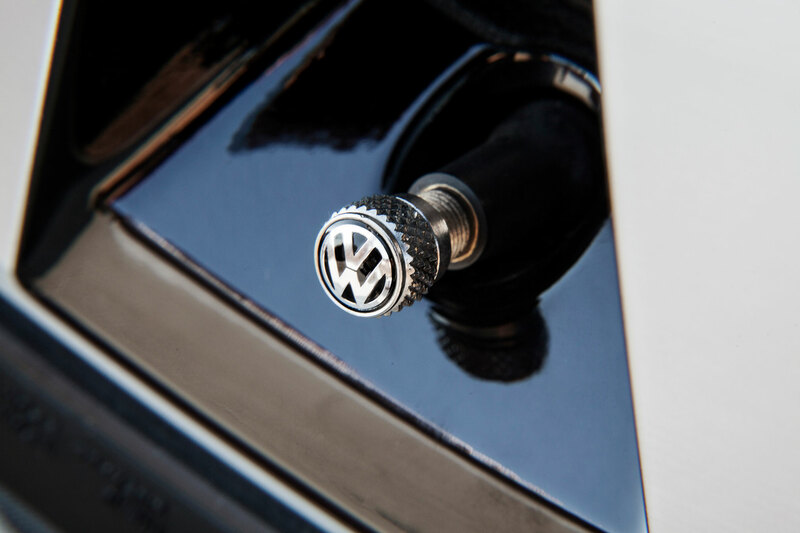 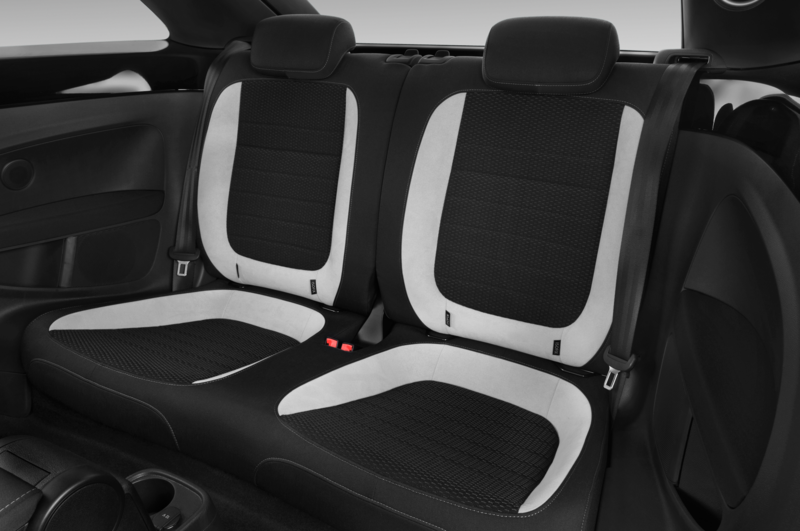 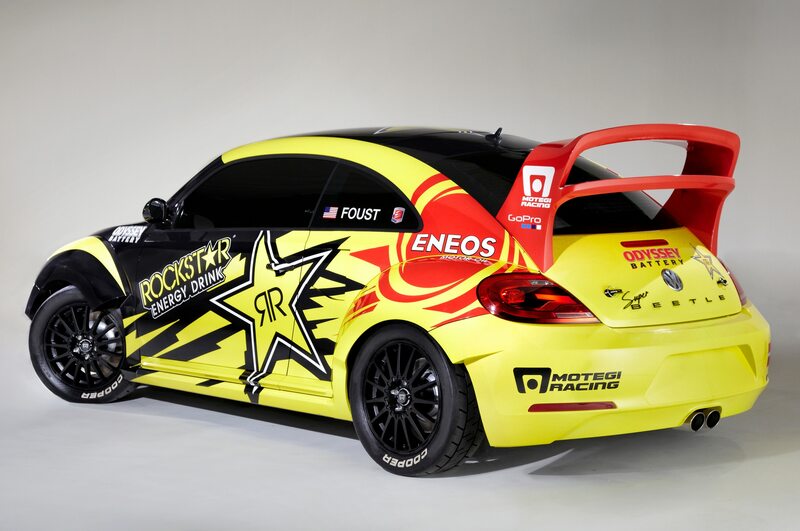 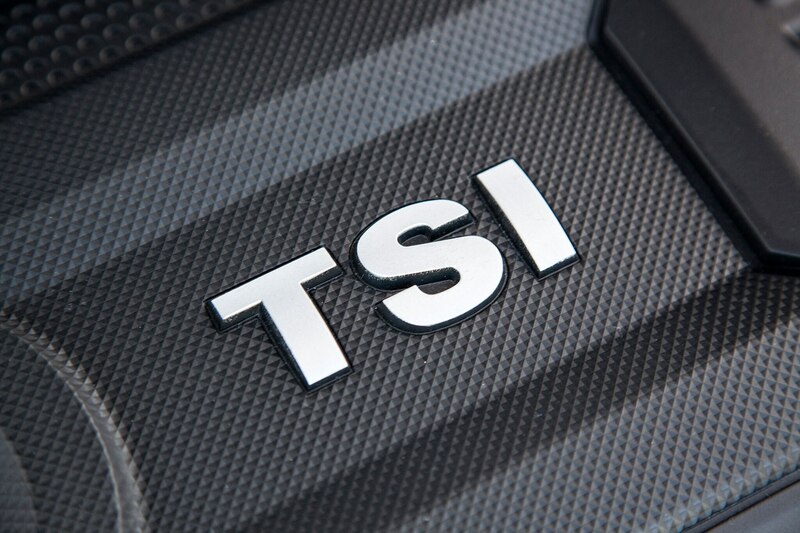 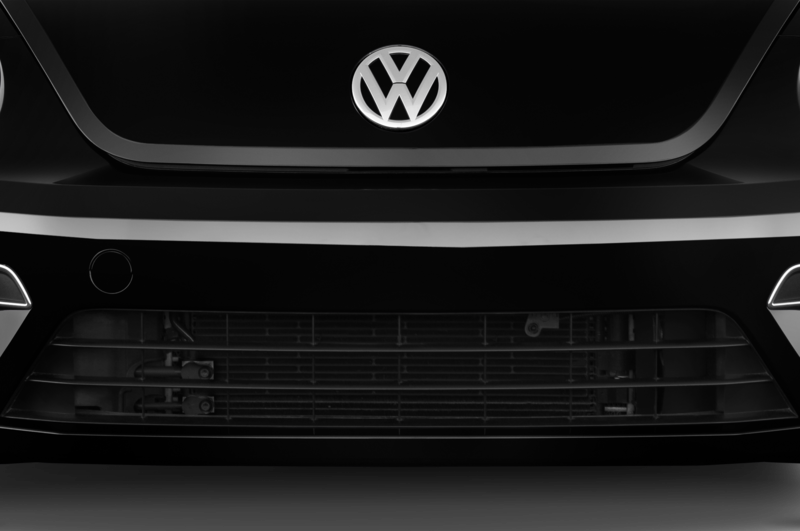 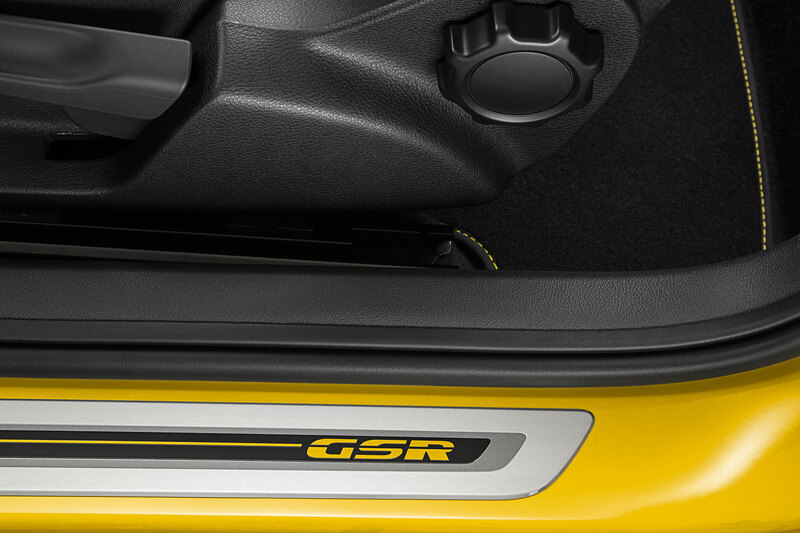 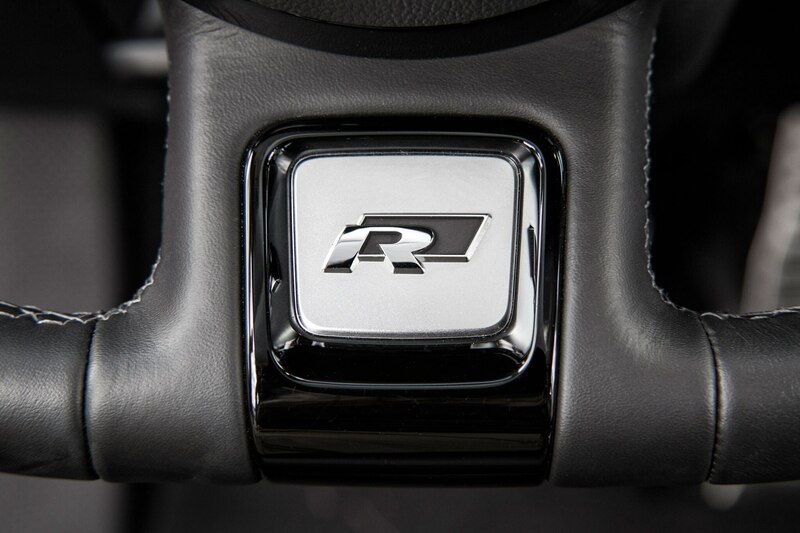 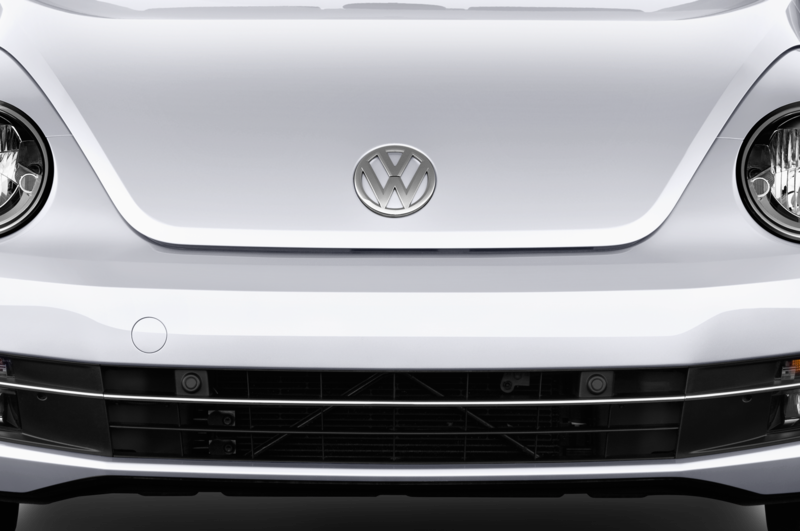 Volkswagen hopes to cultivate its own set of discerning enthusiasts with the GSR. 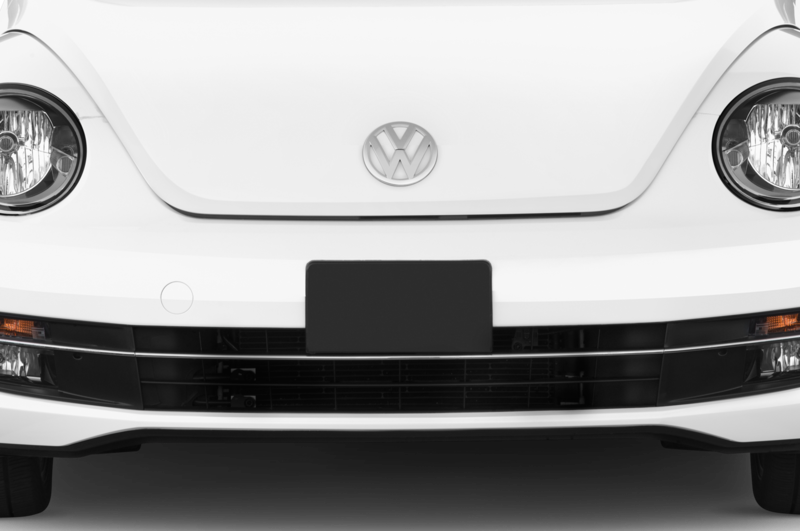 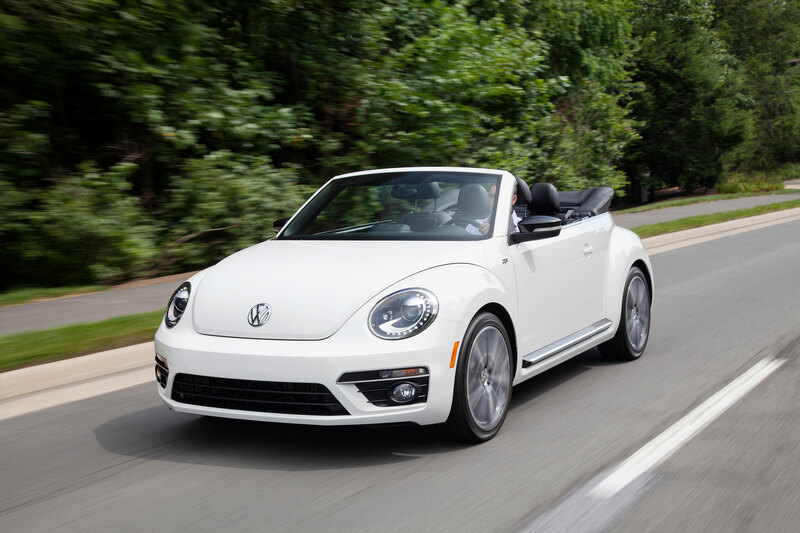 The hoards who bought New Beetles as fashion accessories have long since moved on, so the latest iteration has become faster, meaner-looking, and more sophisticated. 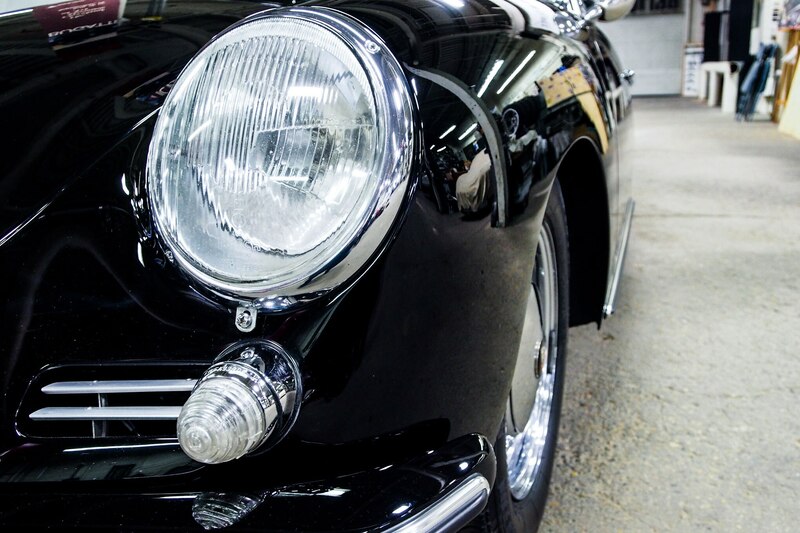 The roof is chopped and the headlights slant back, just as they do on the 356. 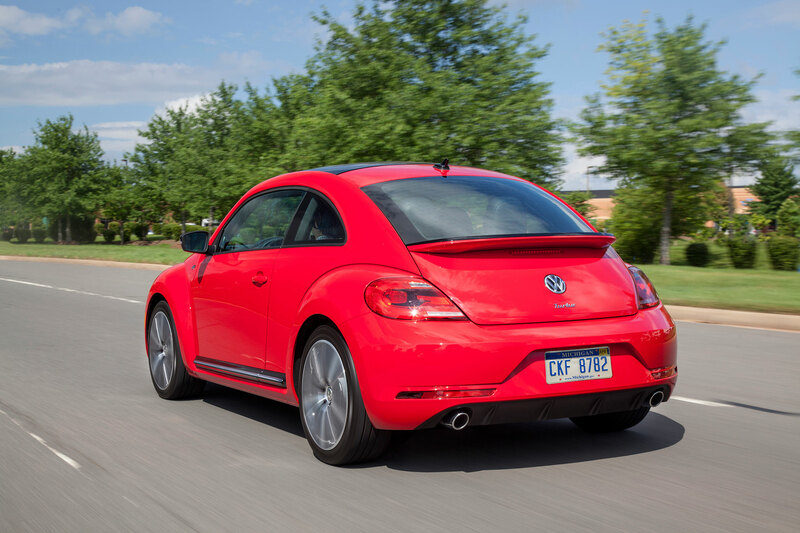 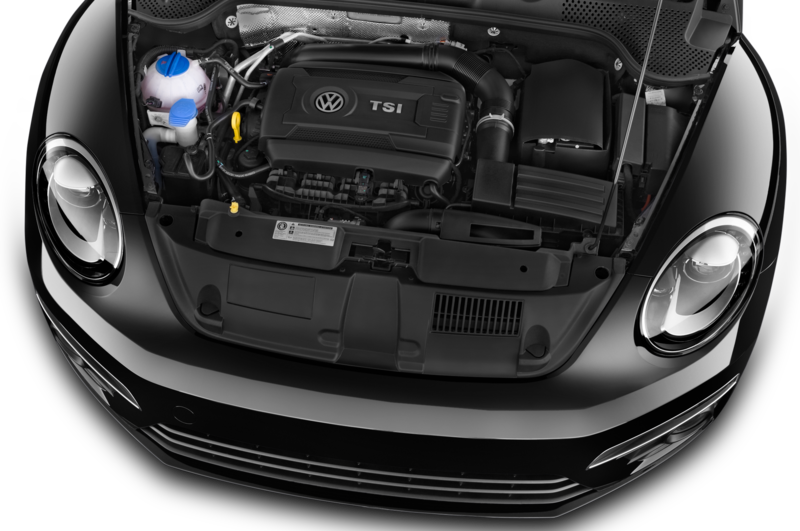 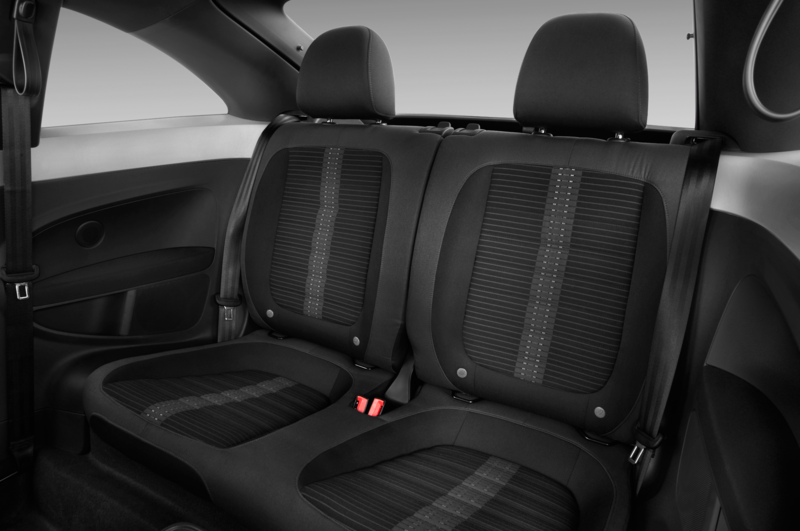 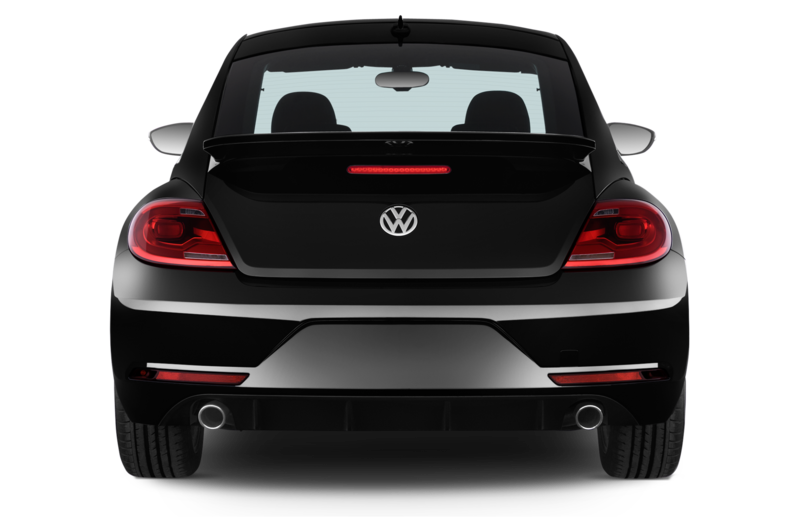 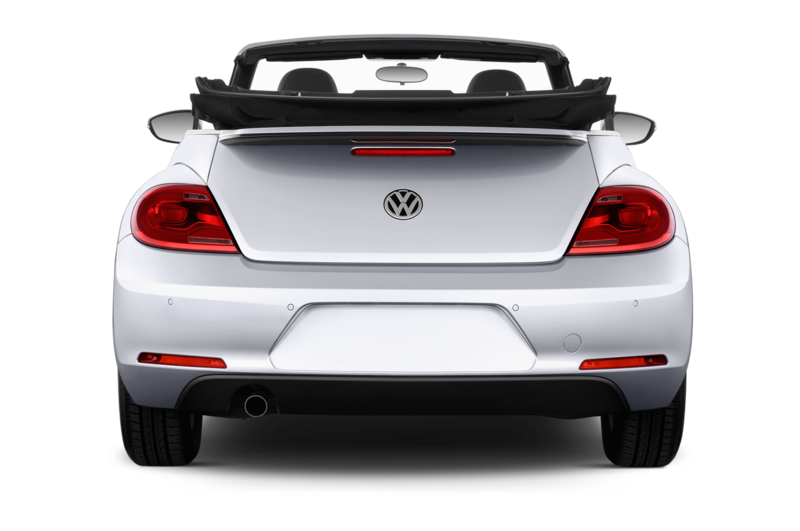 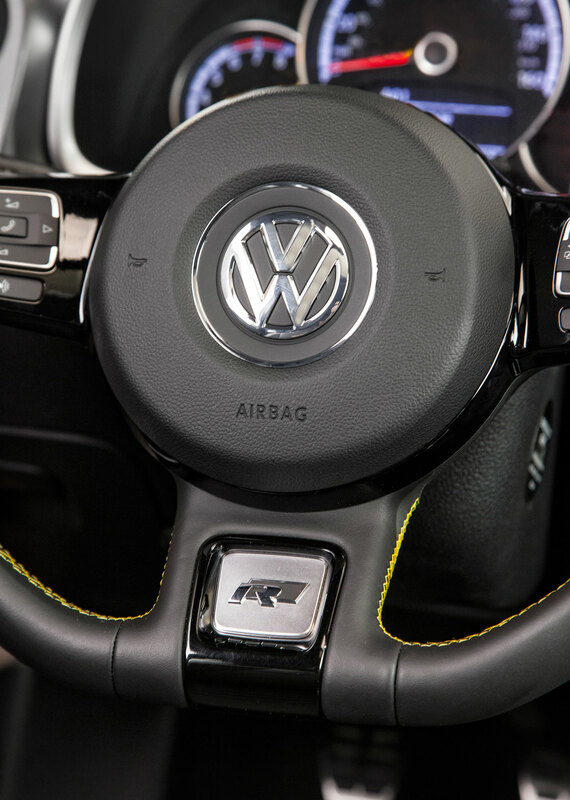 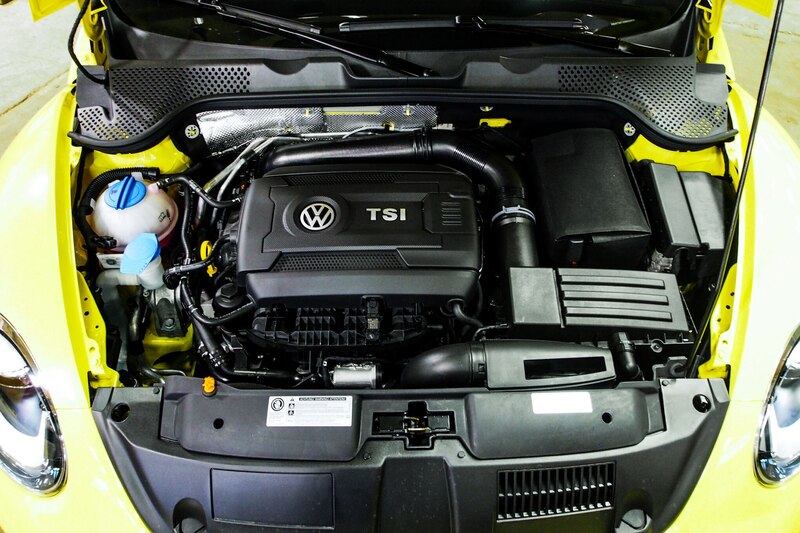 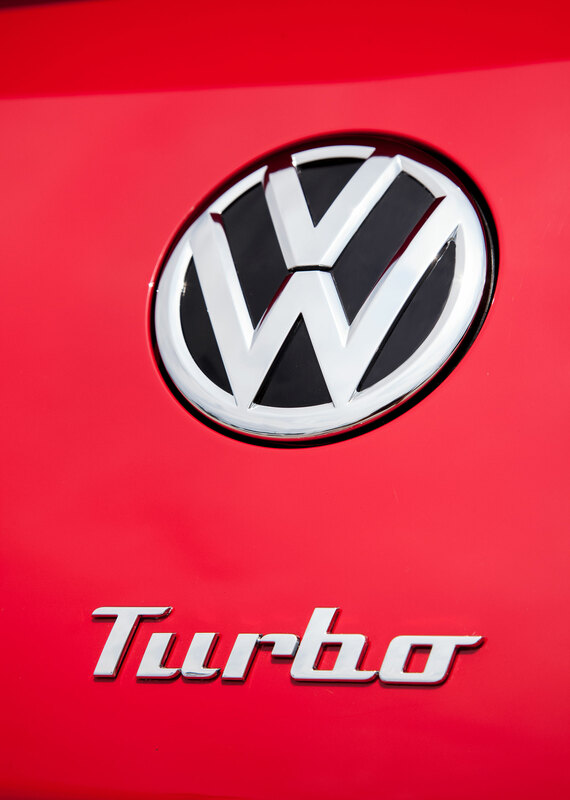 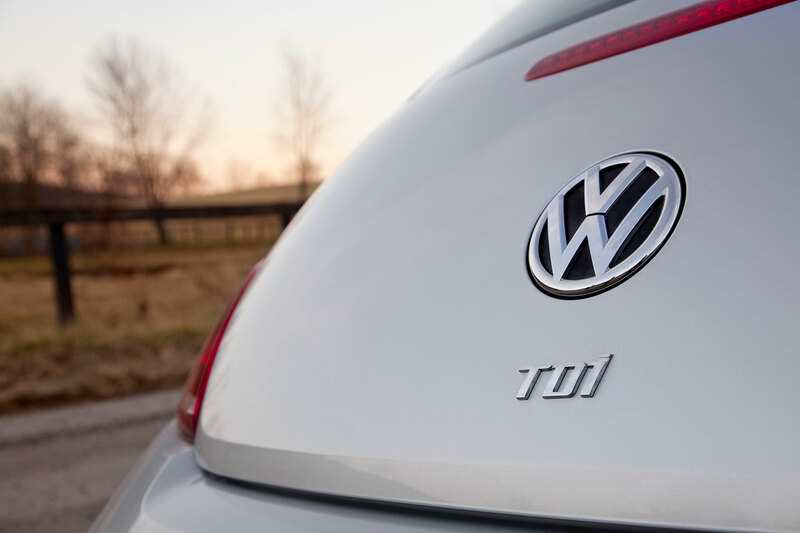 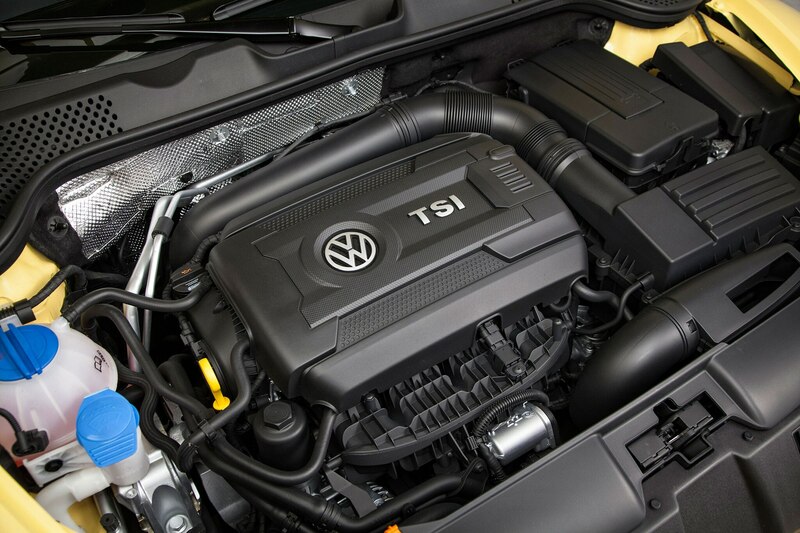 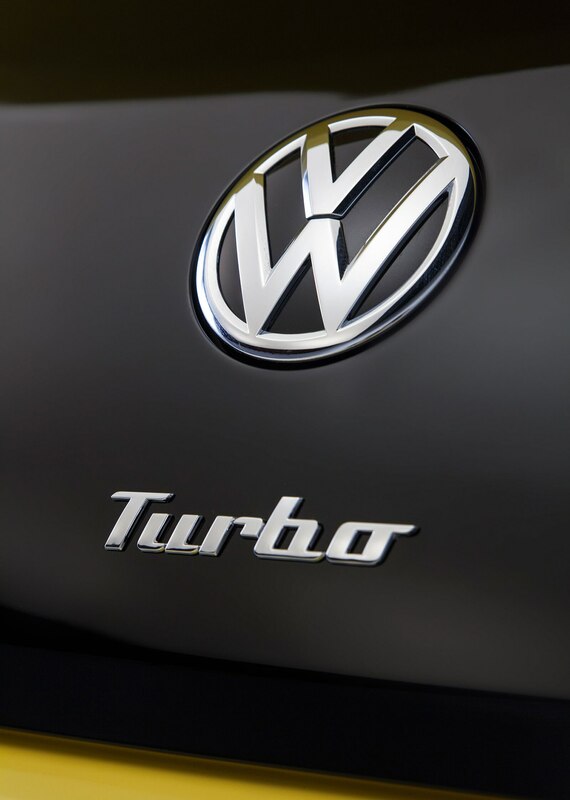 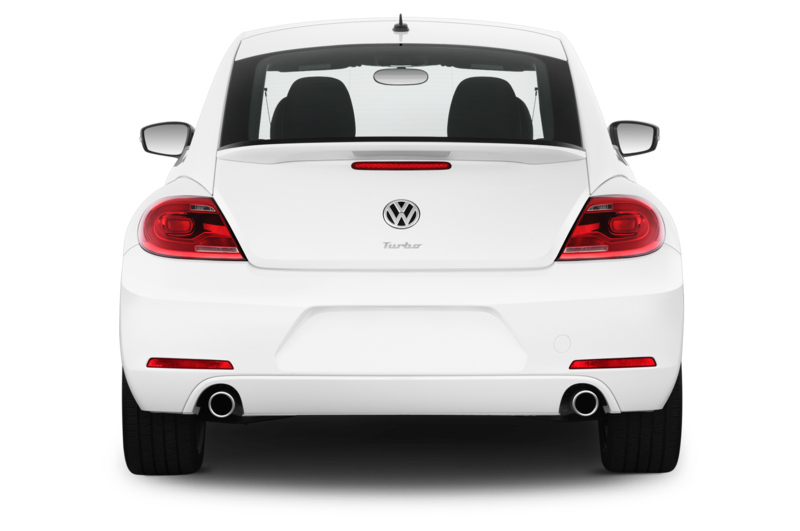 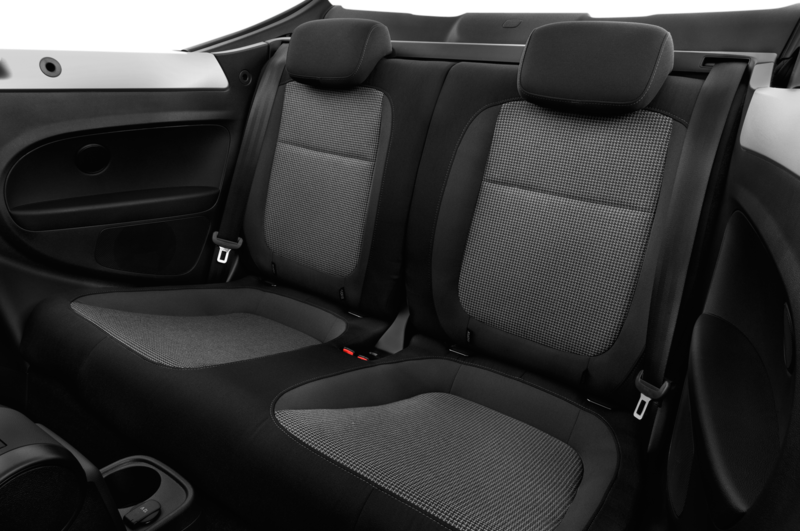 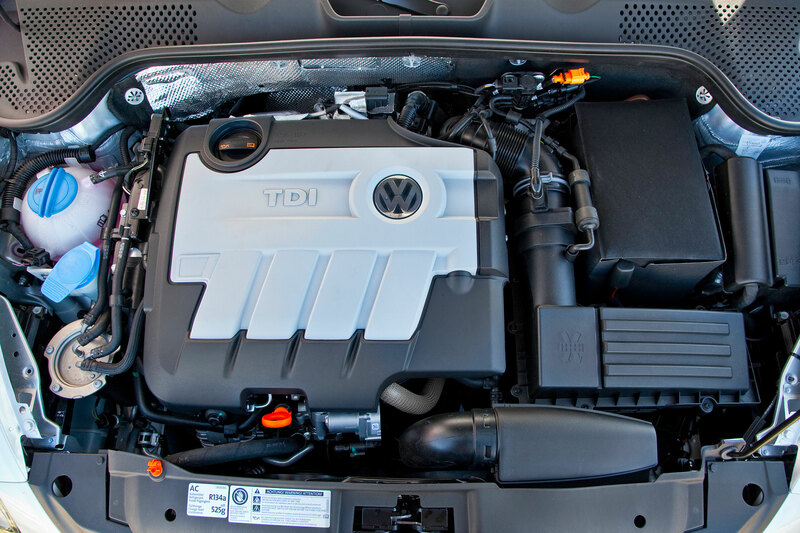 Underneath, the Beetle now shares an independent rear suspension with the Golf and in Turbo iterations employs a 210-hp four-cylinder similar to that in the GTI. 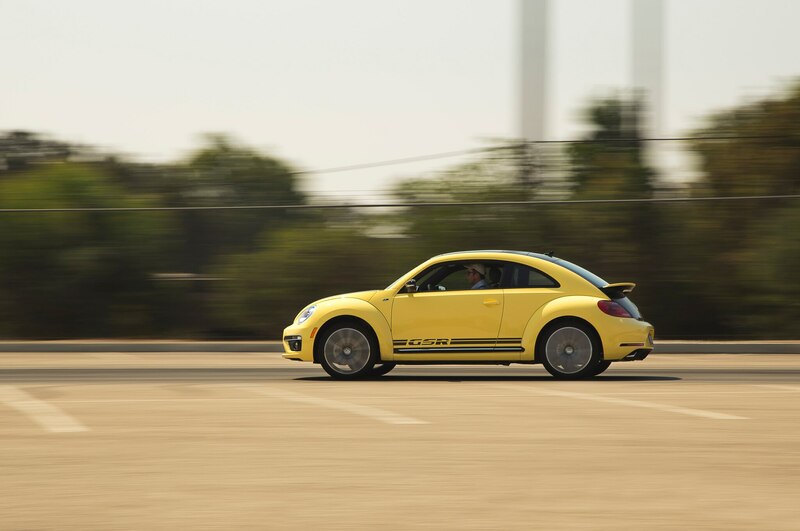 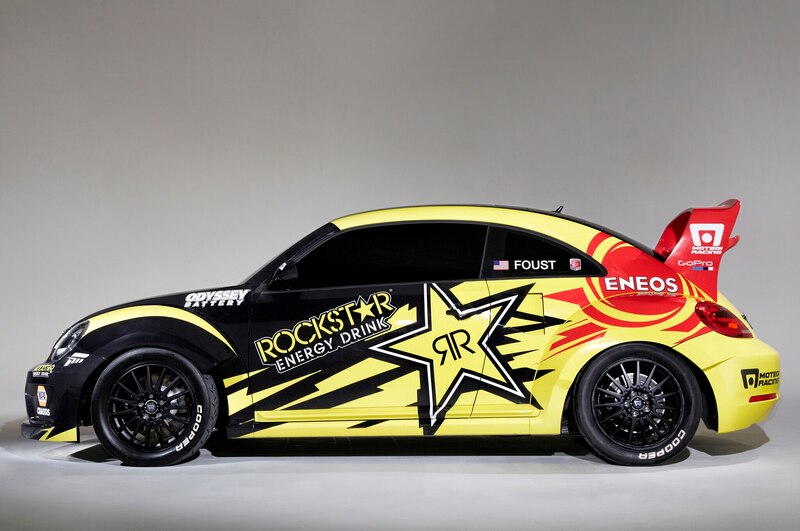 No surprise, today’s Beetle feels like a rocket ship compared with yesterday’s Porsche. 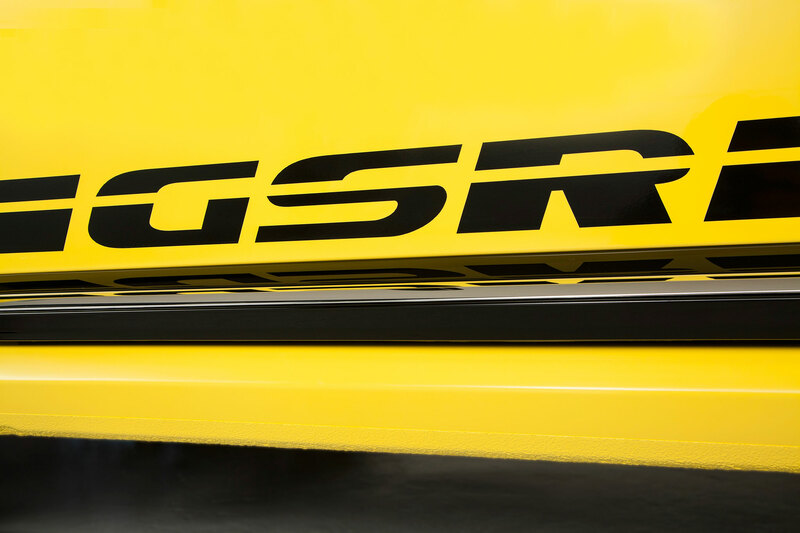 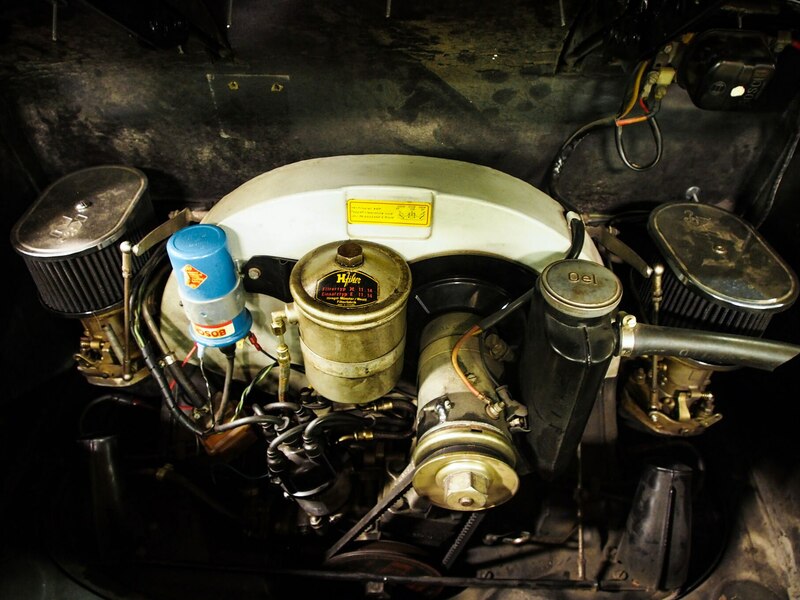 The GSR’s 2.0-liter inline-four makes more than twice the power of the 356SC’s 1.6-liter air-cooled flat-four, even though the latter was tuned within an inch of its life by future Porsche motorsports legend Hans Metzger. 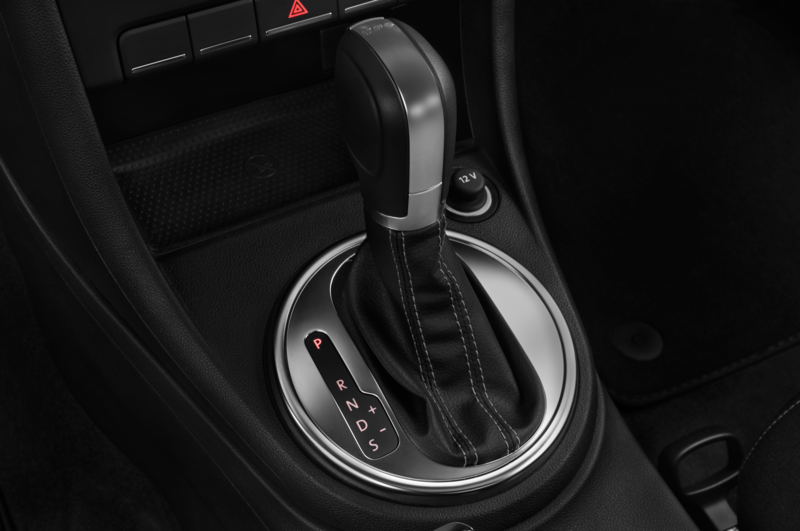 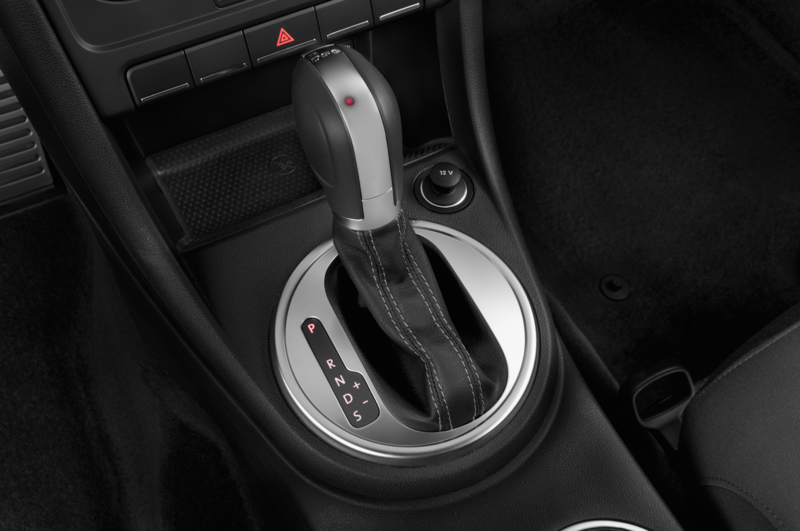 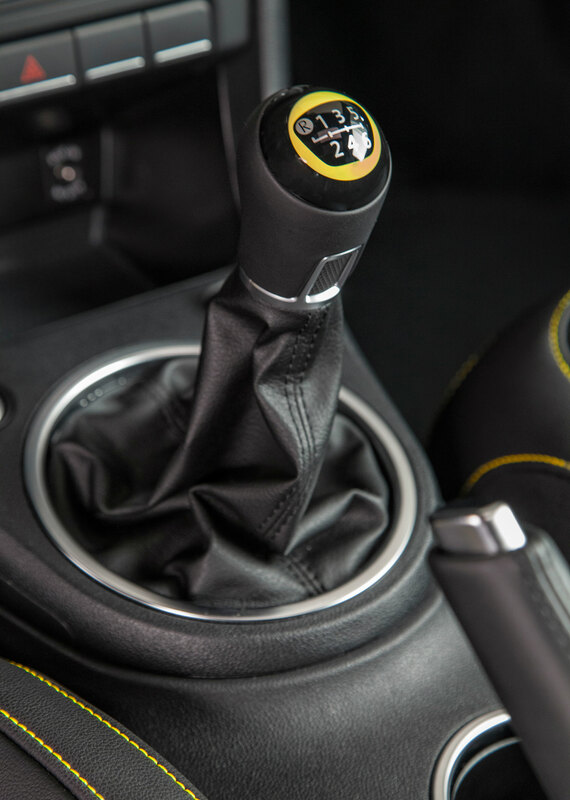 It also benefits from a much more precise manual transmission, more grip, and more predictable handling (Kinley nonchalantly recalls rolling his Porsche back in the ‘60s). 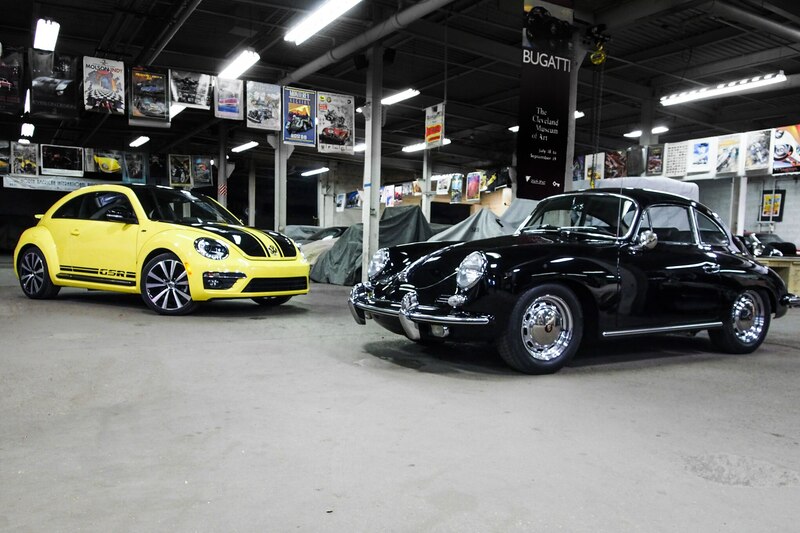 The 356 still can teach Volkswagen a few things, though. 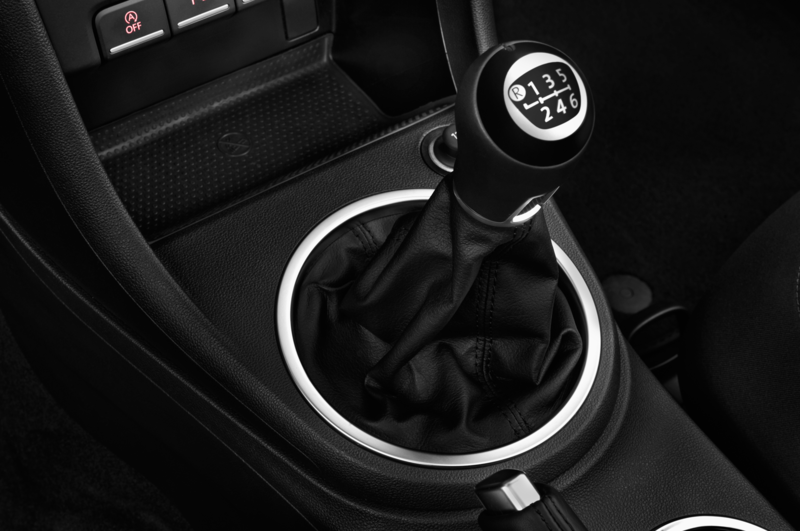 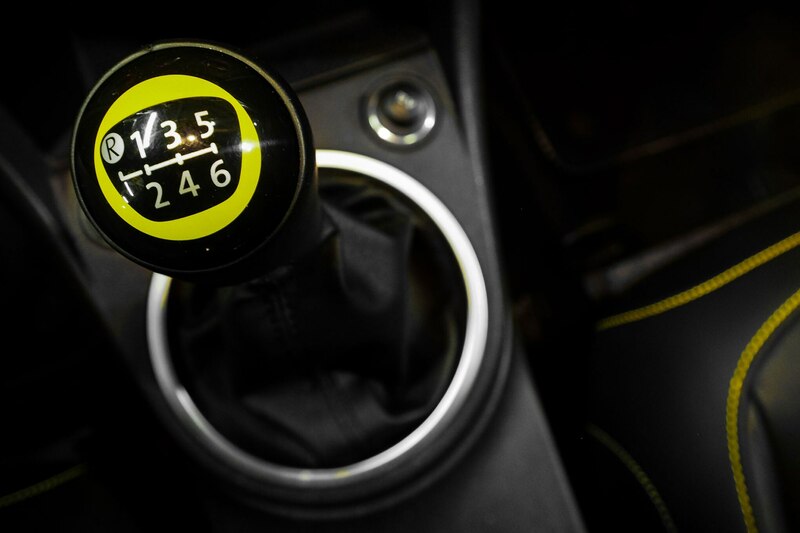 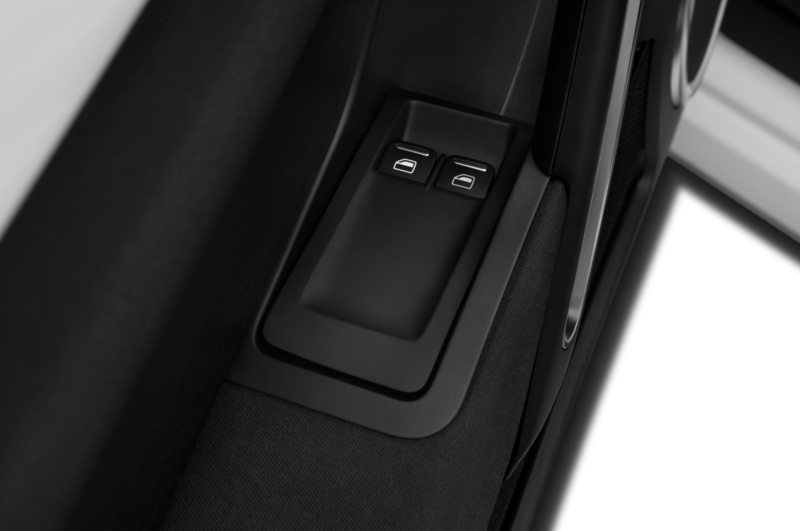 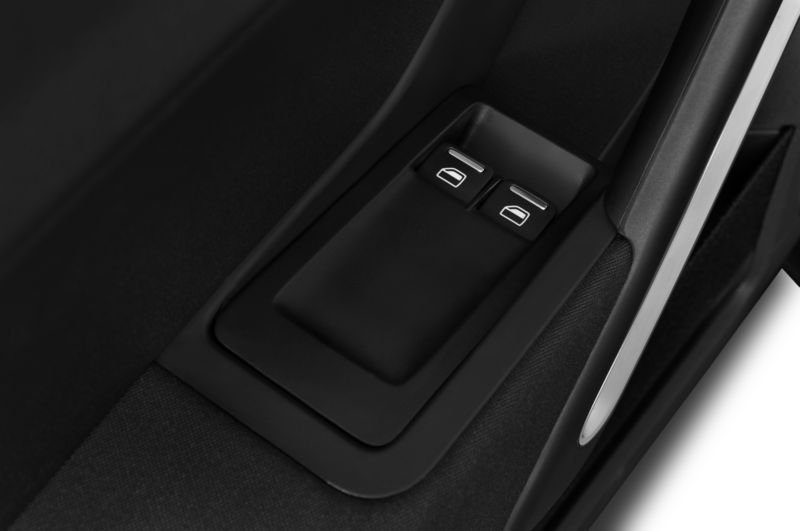 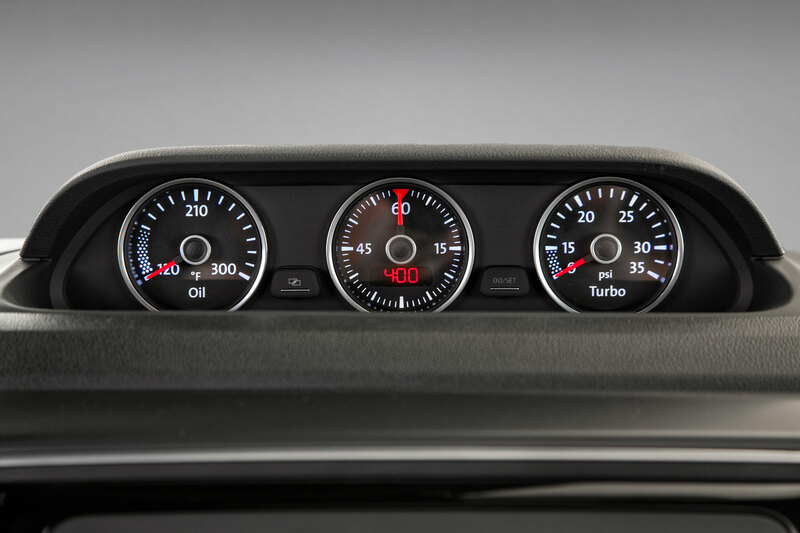 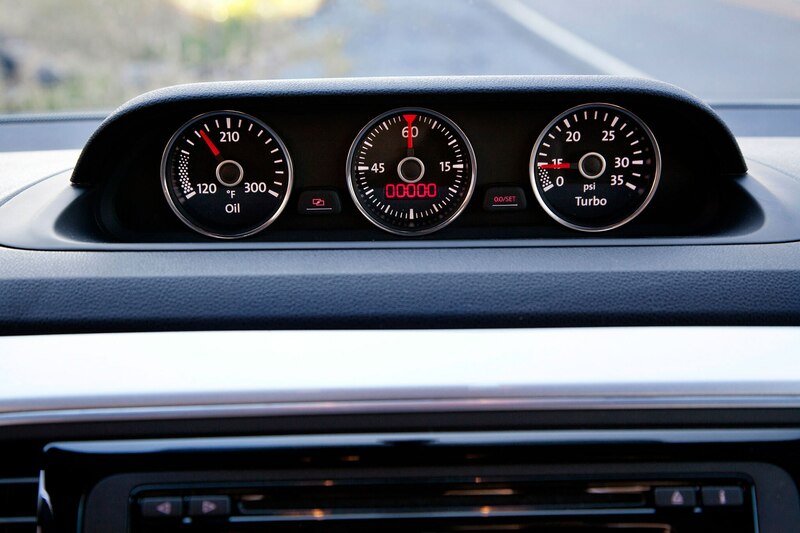 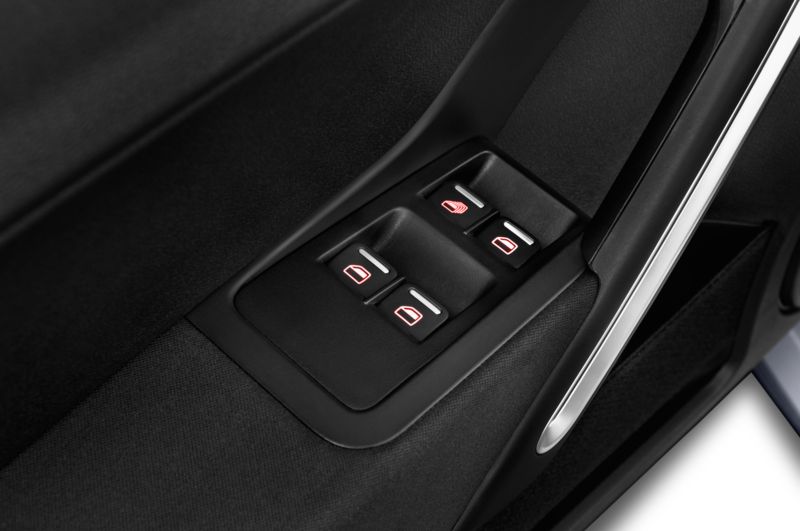 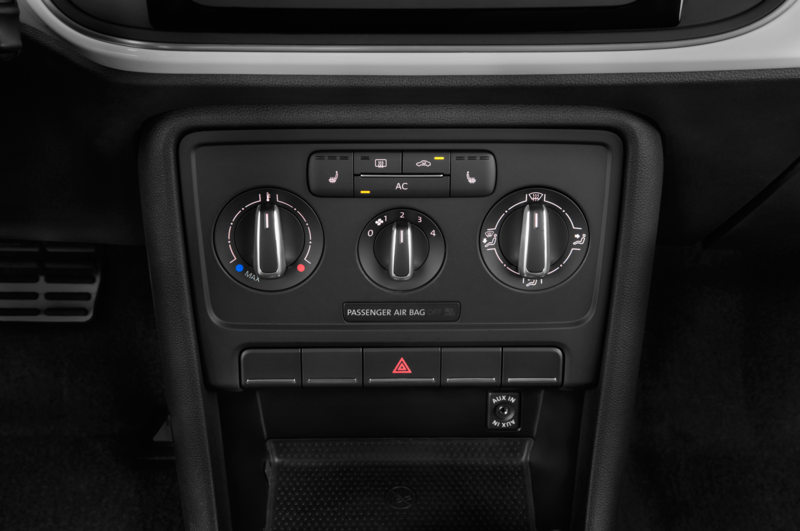 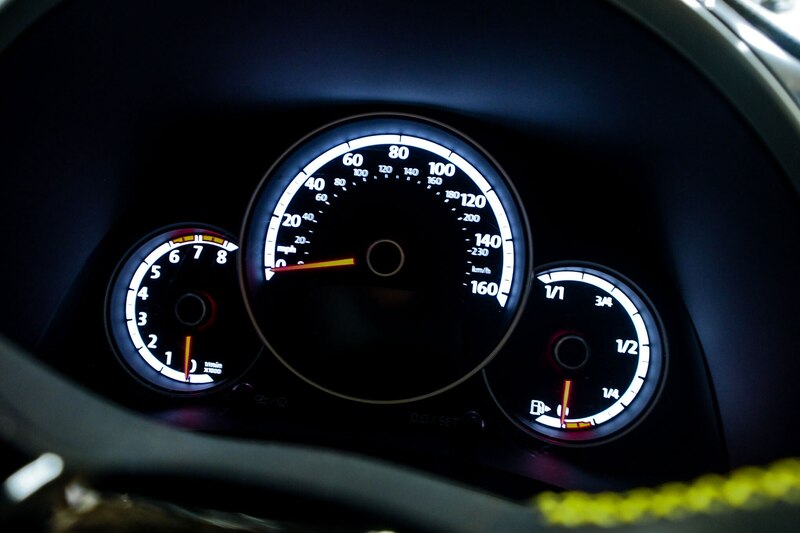 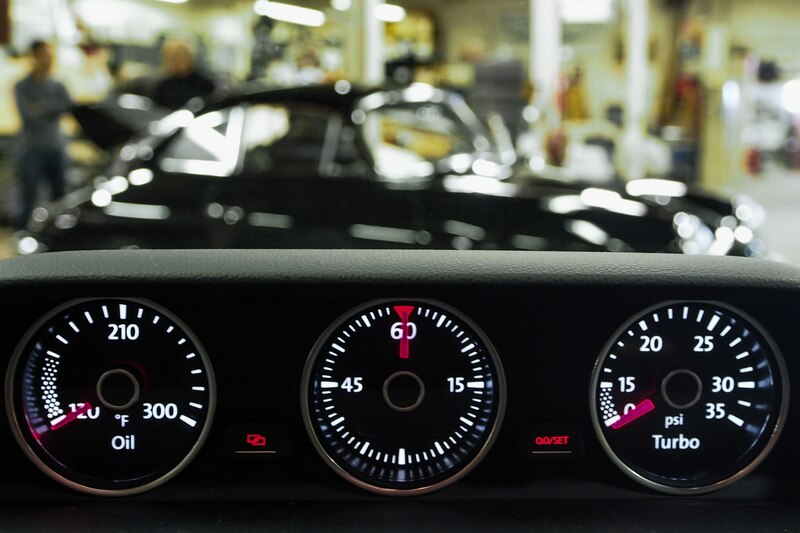 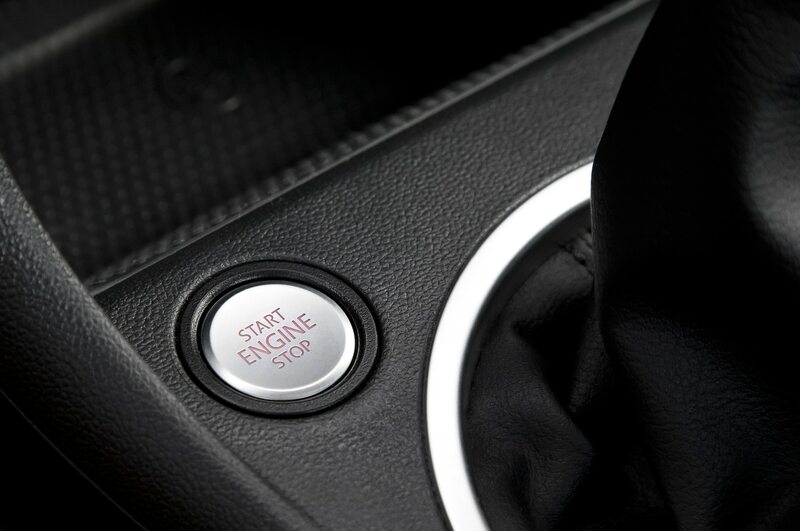 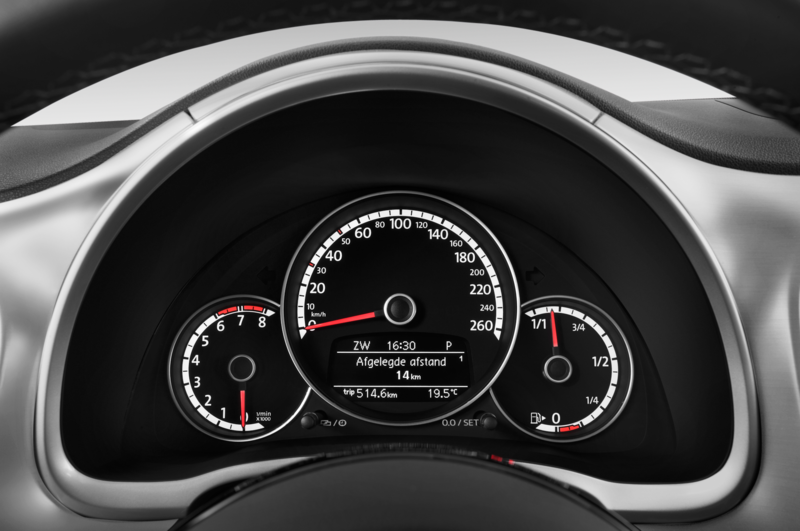 The unassisted steering has some slop on center, but dials in with quartz watch precision and transmits information from the road that never makes it to the GSR driver. 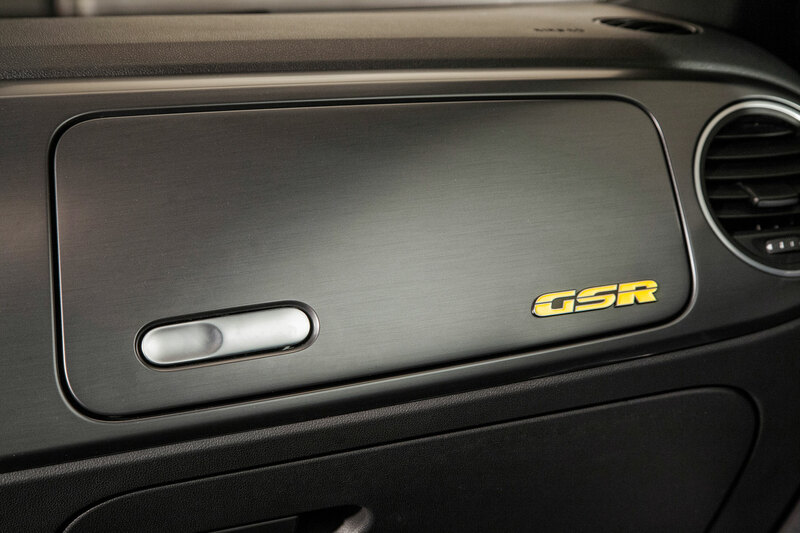 The throttle responds on a hair trigger, whereas in the GSR there’s a noticeable lag. 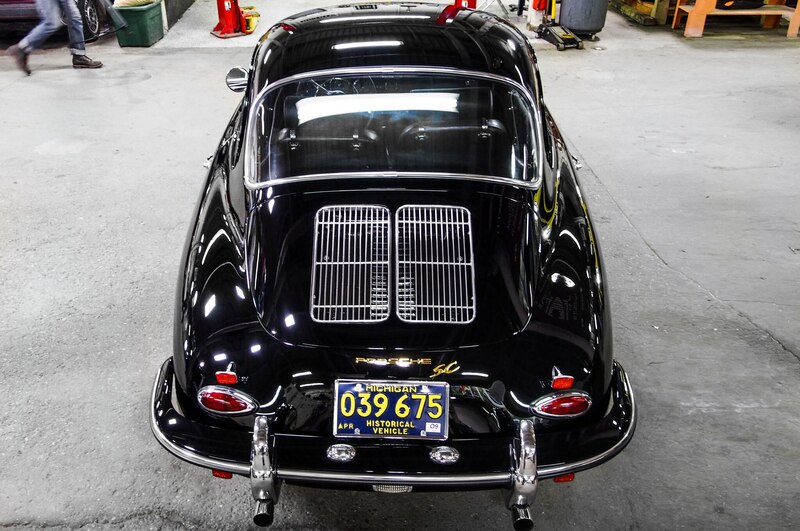 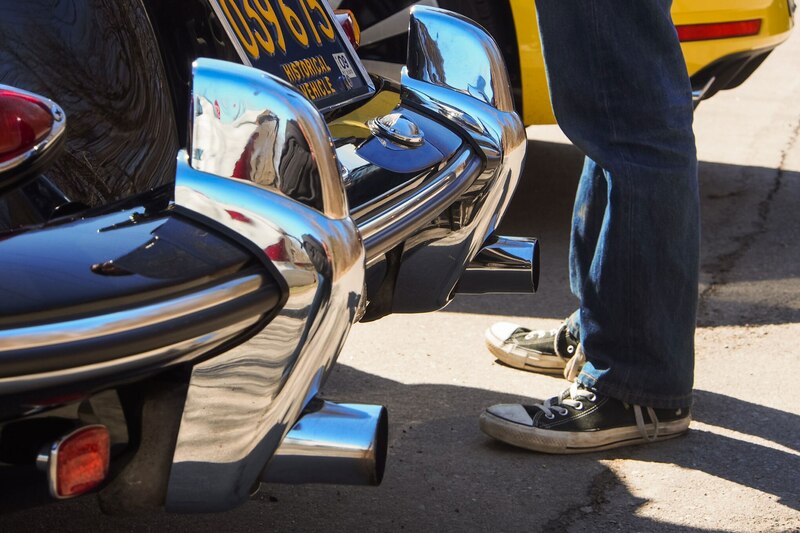 Kinley credits the excellent bodywork on his car to a local restoration shop, but notes that the cars came out of the factory with tight panel fits. 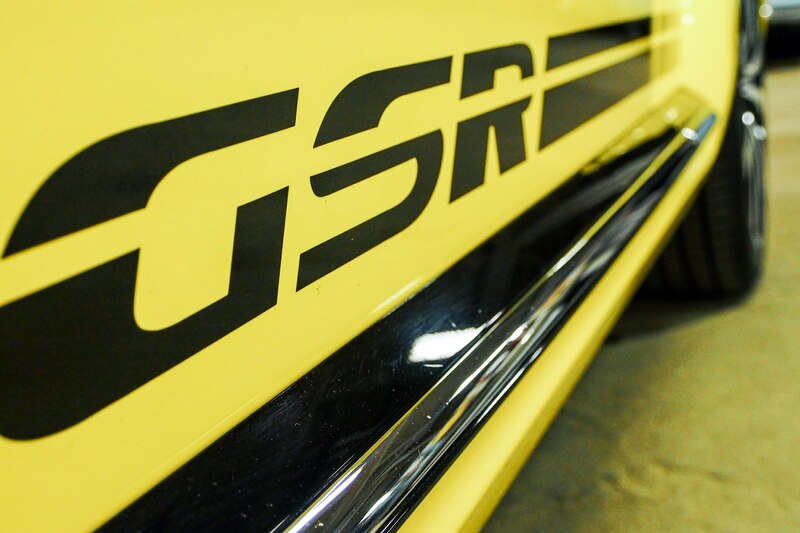 He can barely conceal his disdain for the stripes, big wheels, and duckbill spoiler that make up the GSR package, although he quite likes the tasteful black interior. 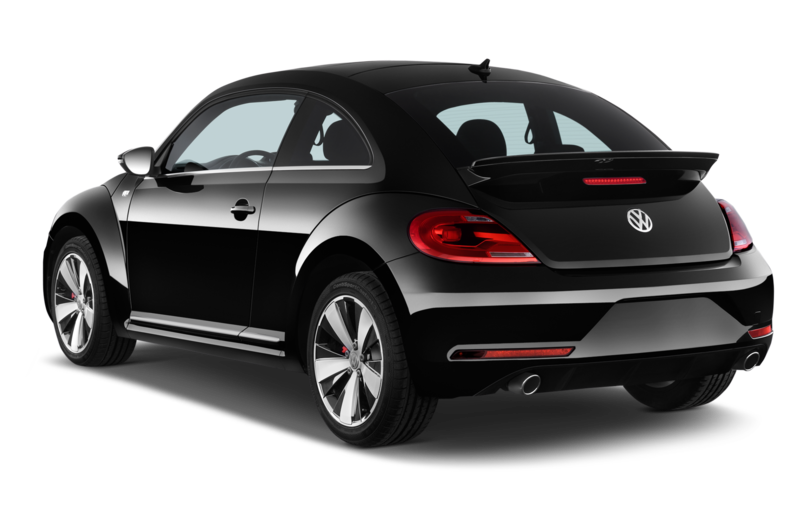 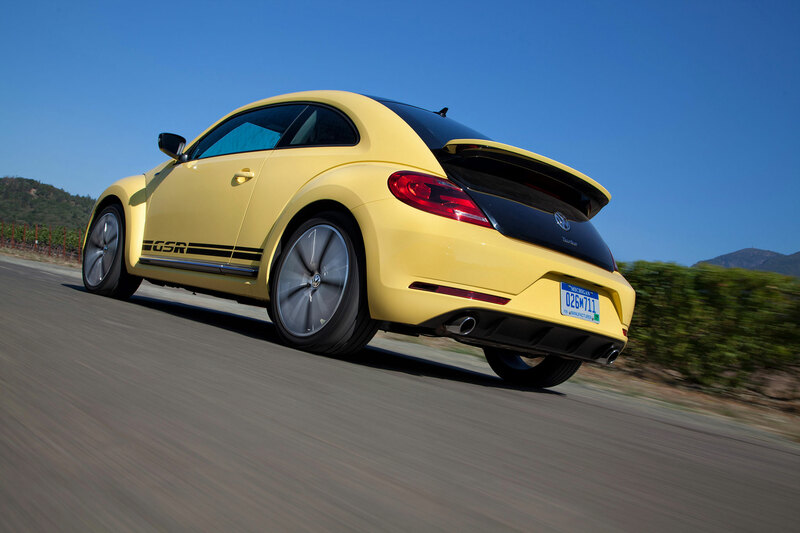 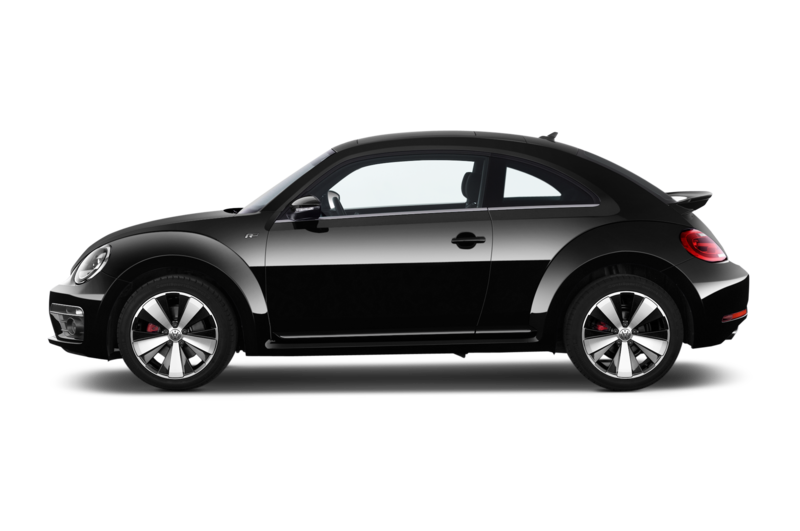 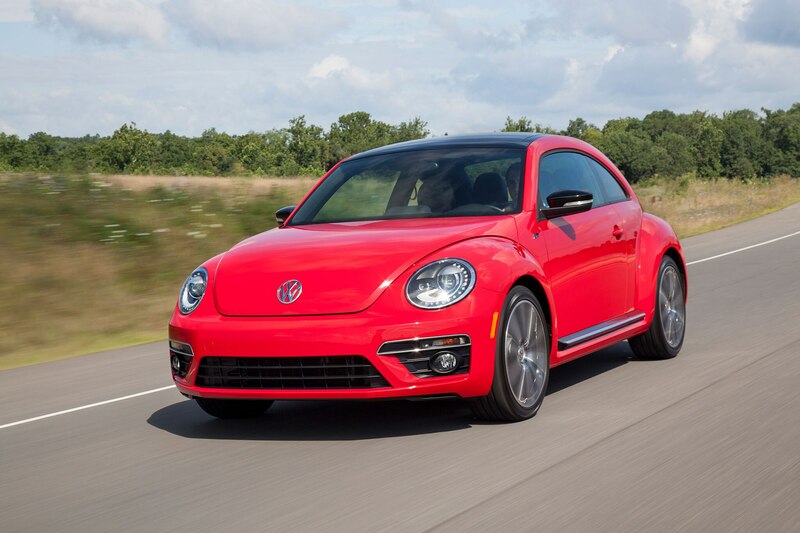 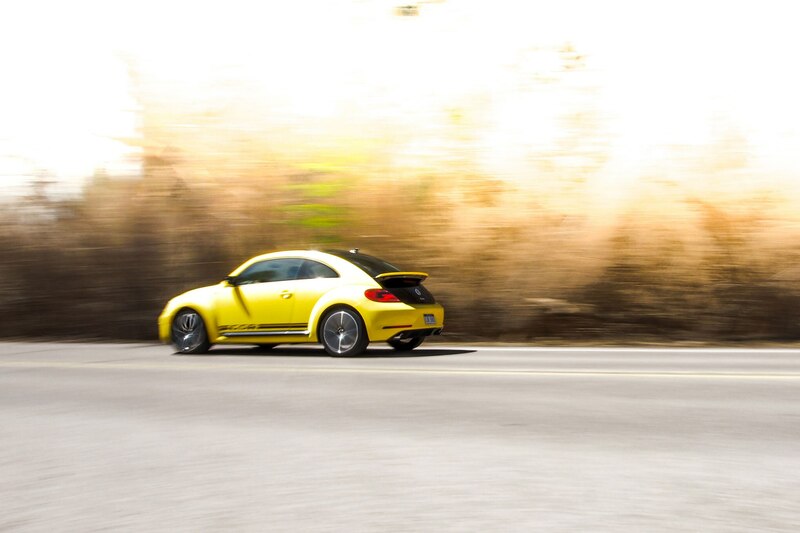 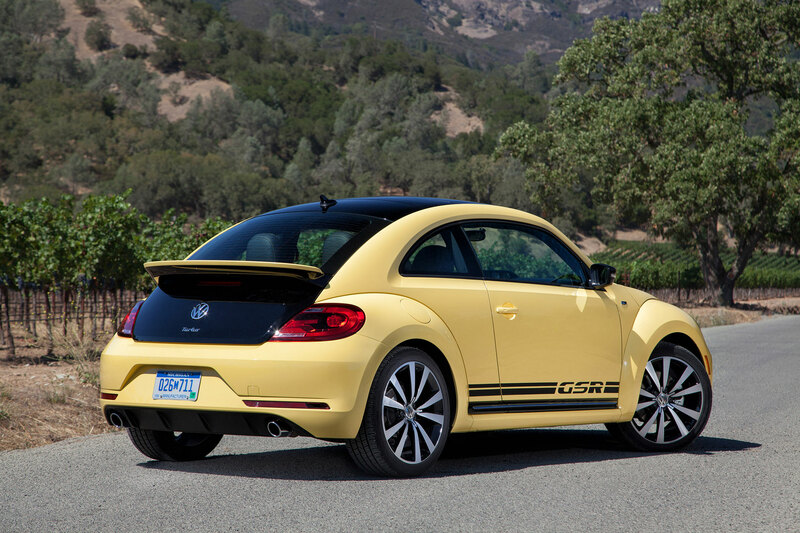 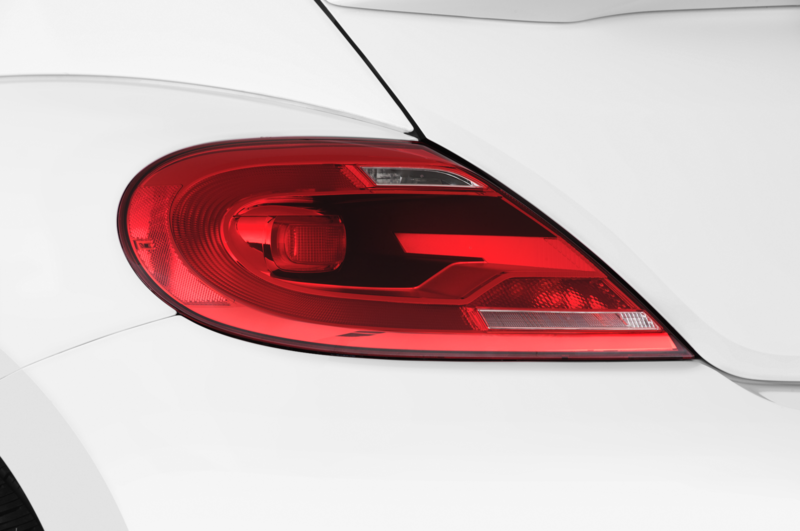 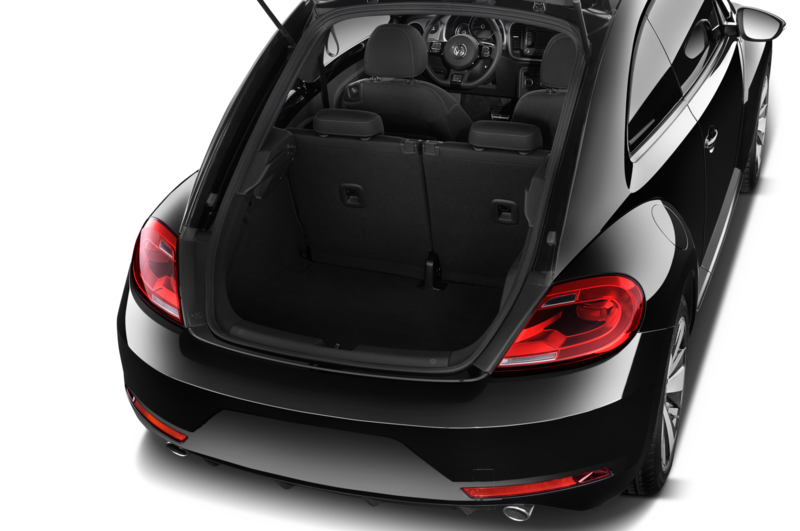 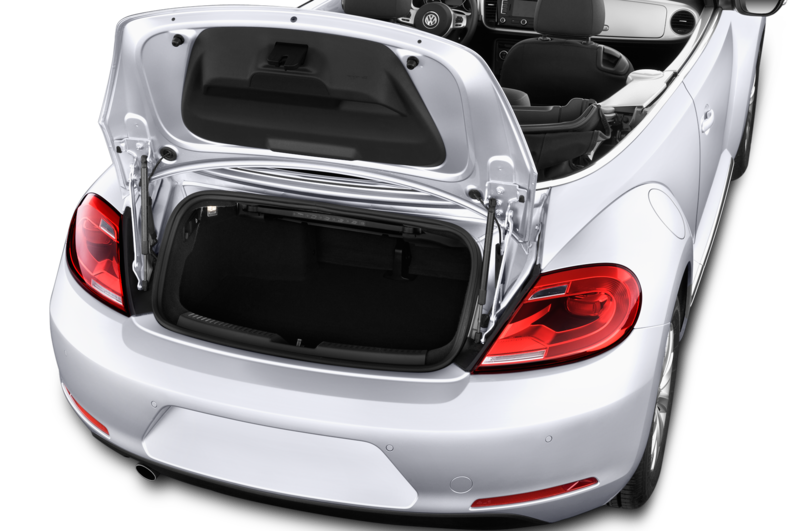 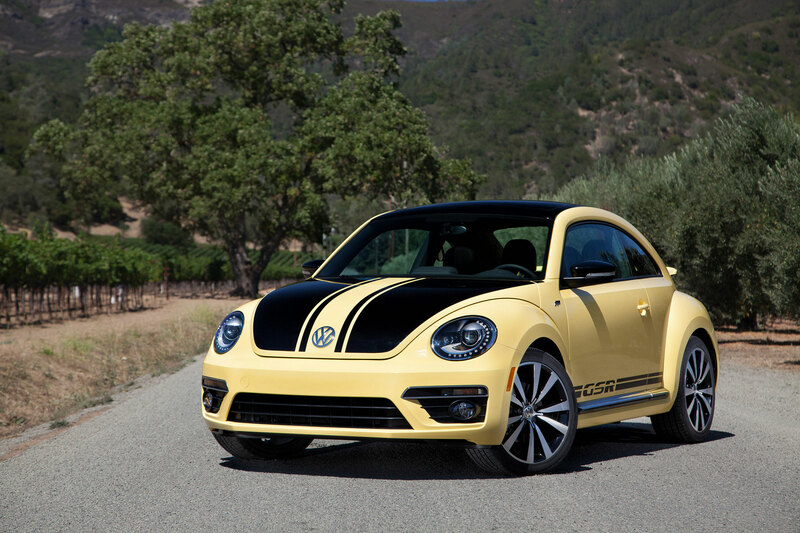 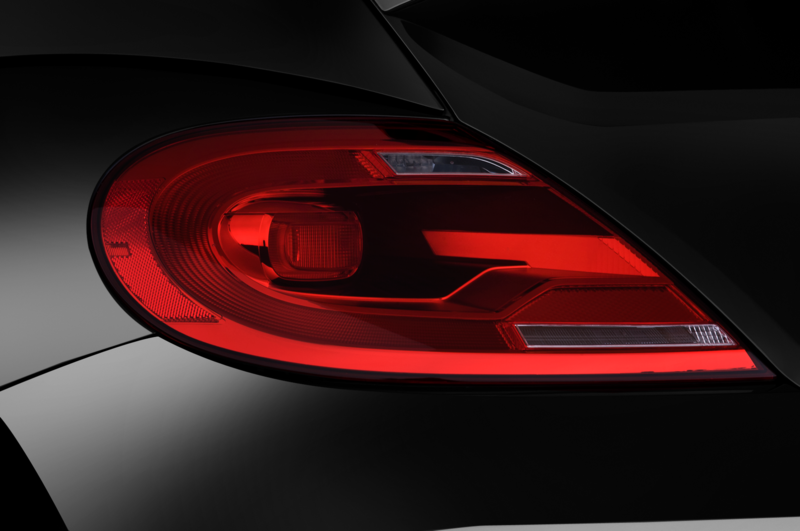 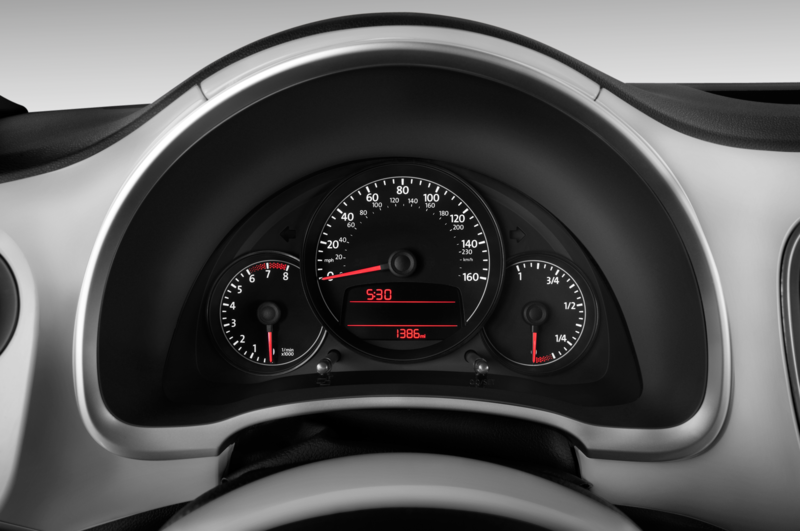 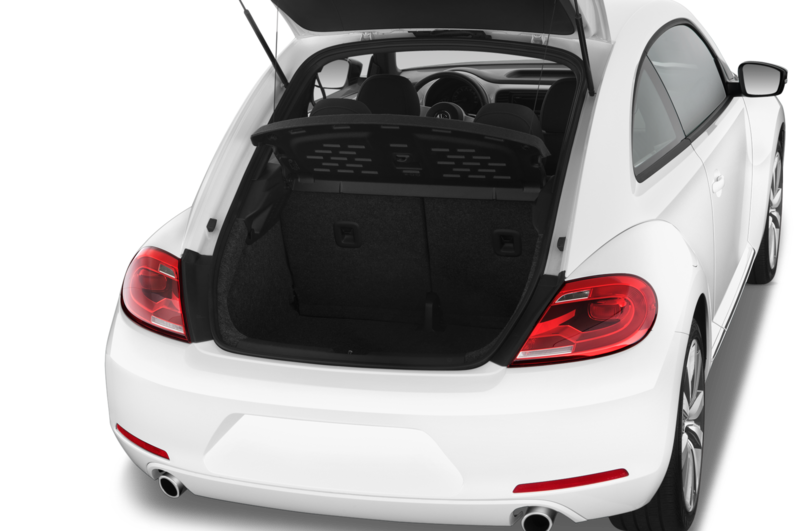 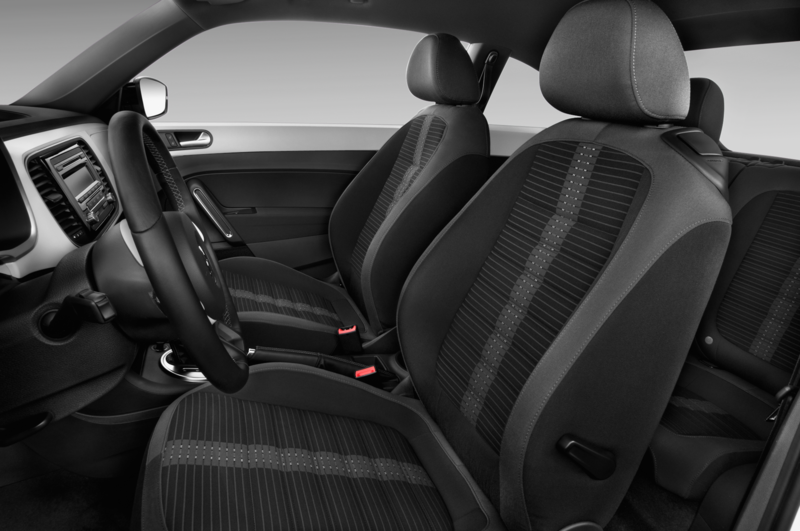 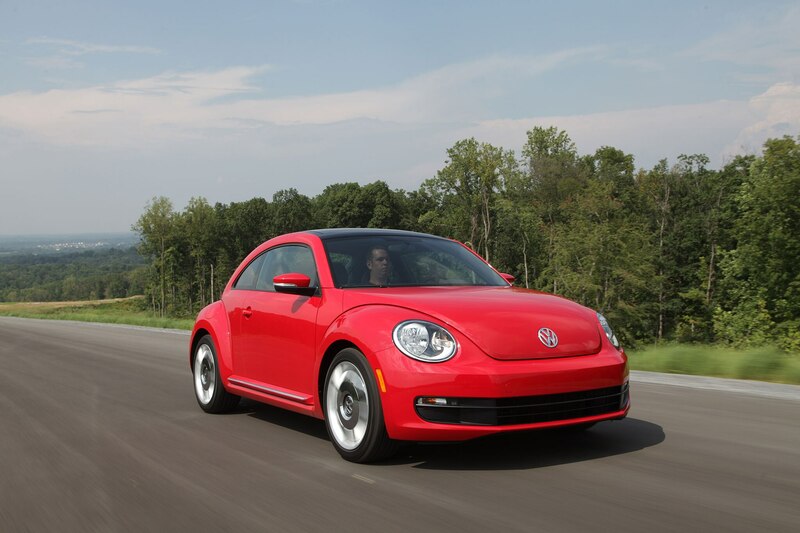 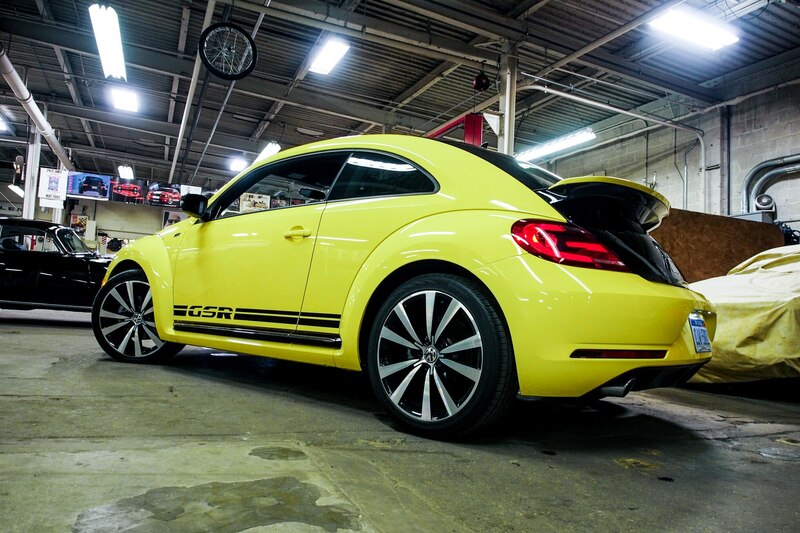 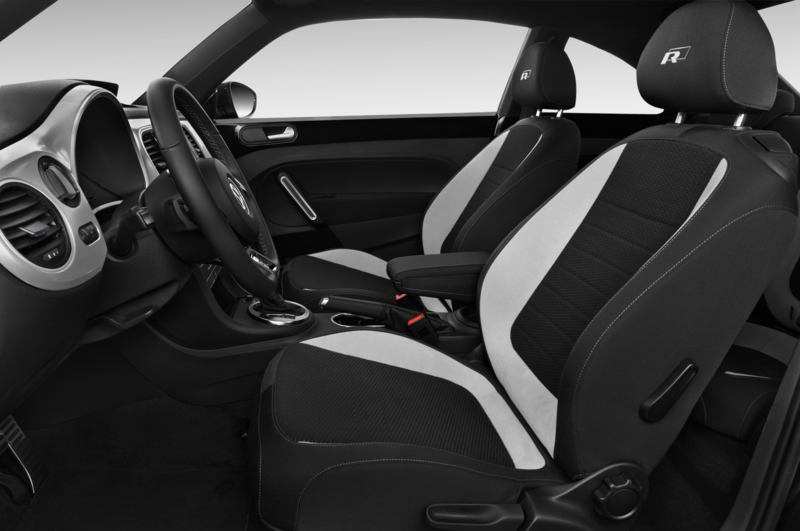 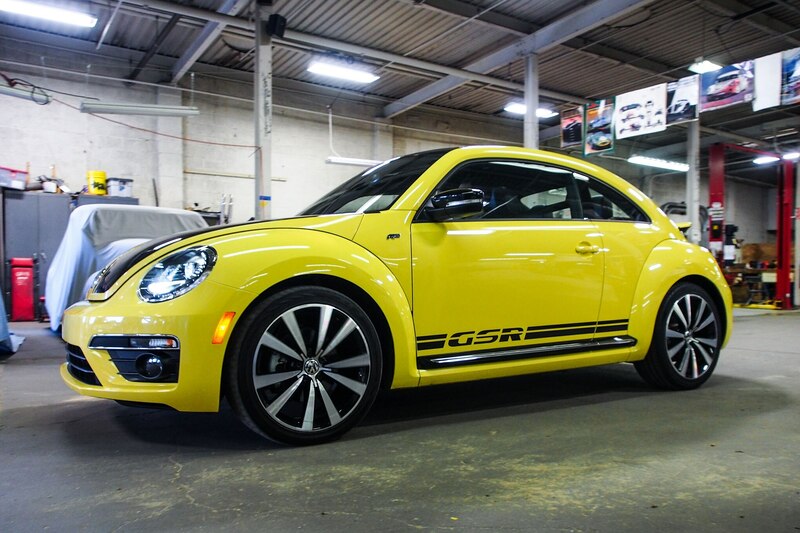 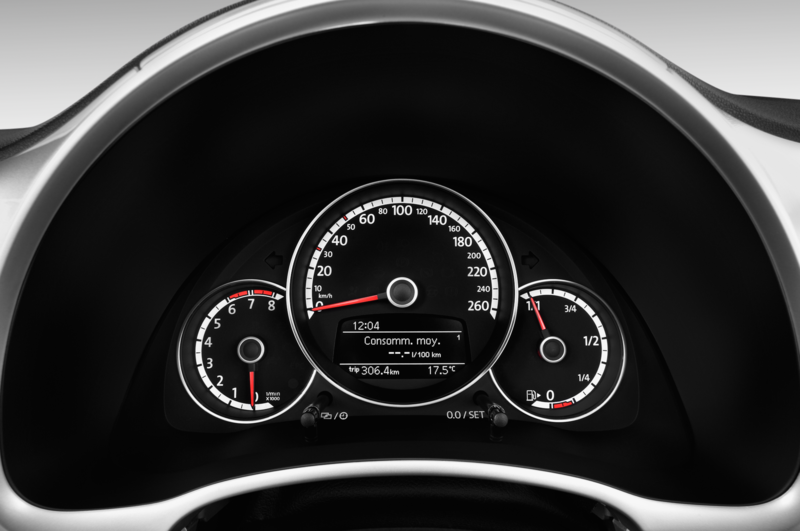 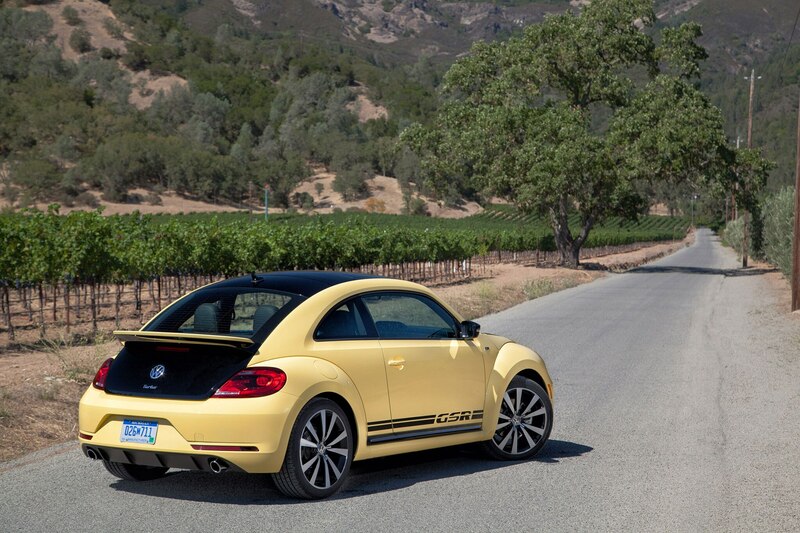 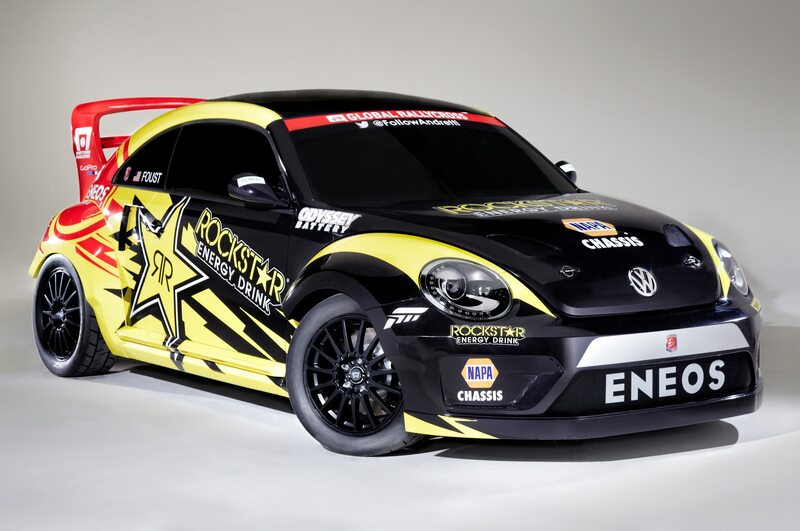 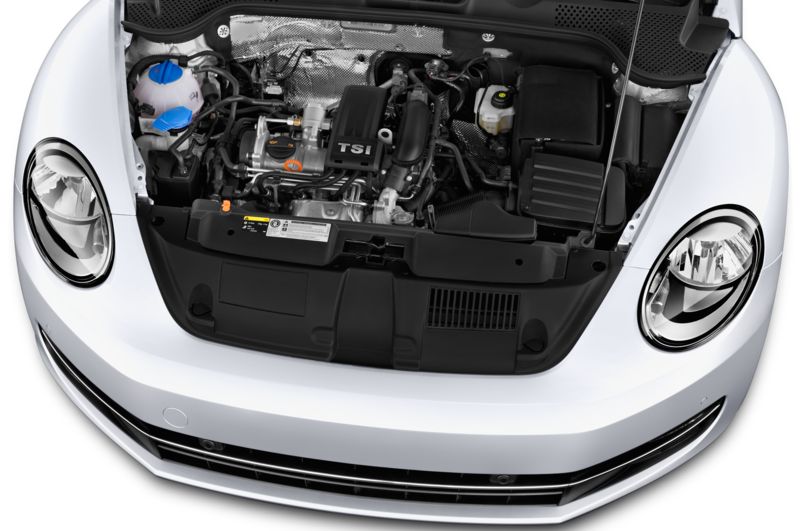 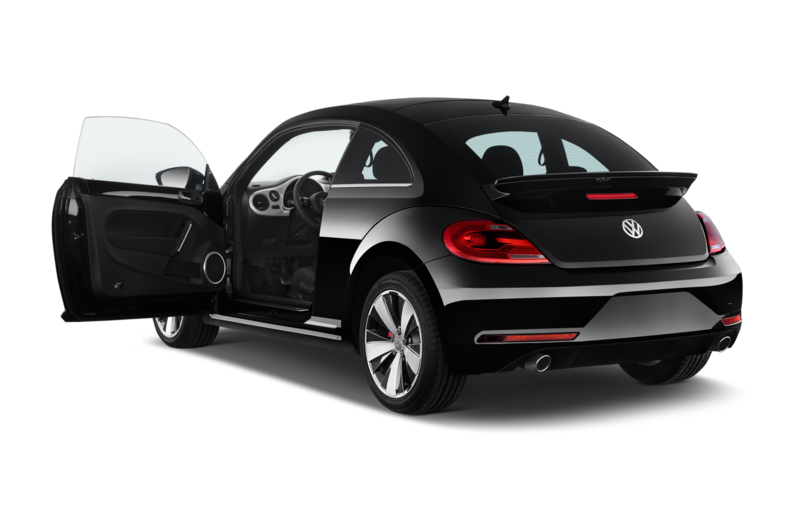 Of course, the 2014 Volkswagen Beetle GSR isn’t supposed to appeal in a literal sense to those who crave a Porsche 356. 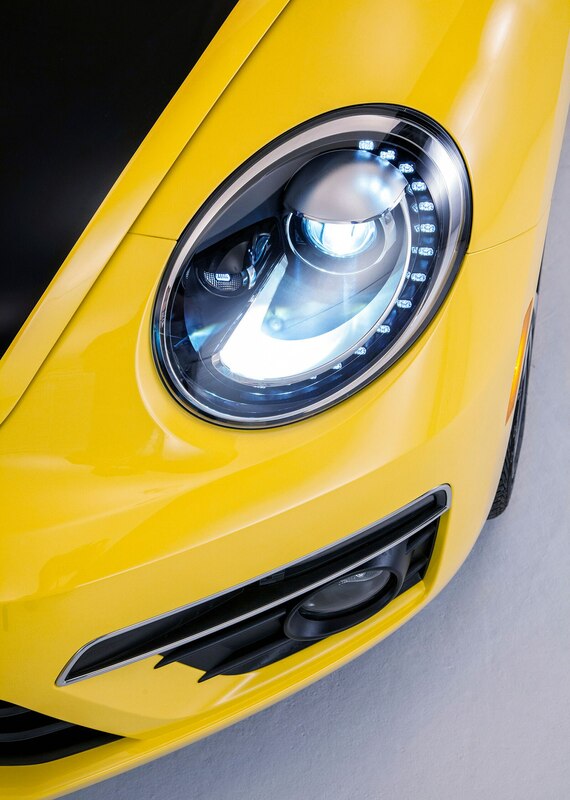 Really, how could it? 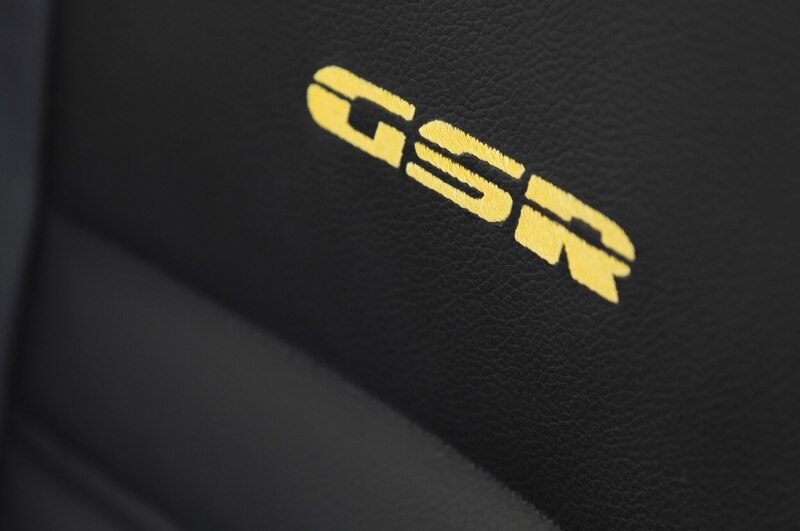 The approving nods the GSR gets from young toughs as we drive around town indicate it’s connecting with a new audience, which is precisely the point. 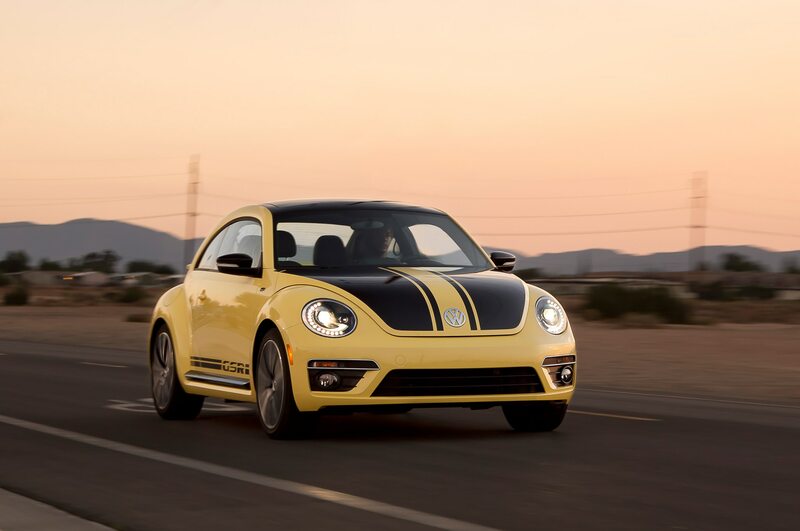 Nearly seventy years after those guys in Gmünd started hacking away at the Volkswagen, there are still those who want a Beetle with a mean streak. 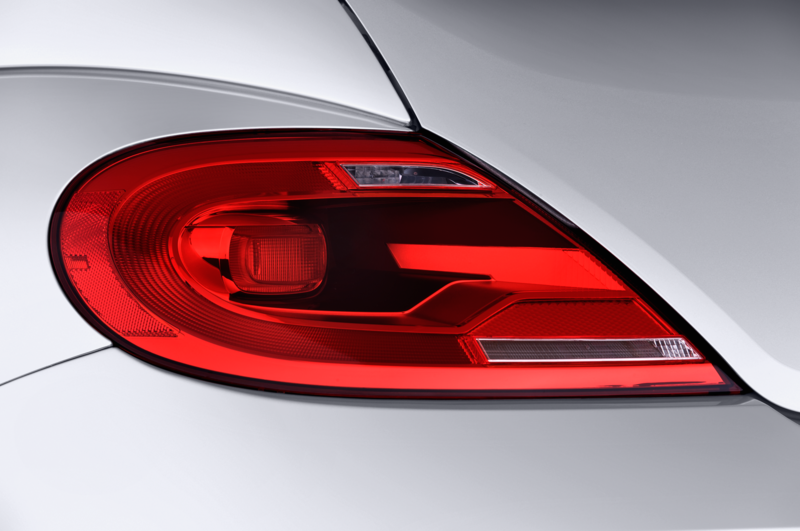 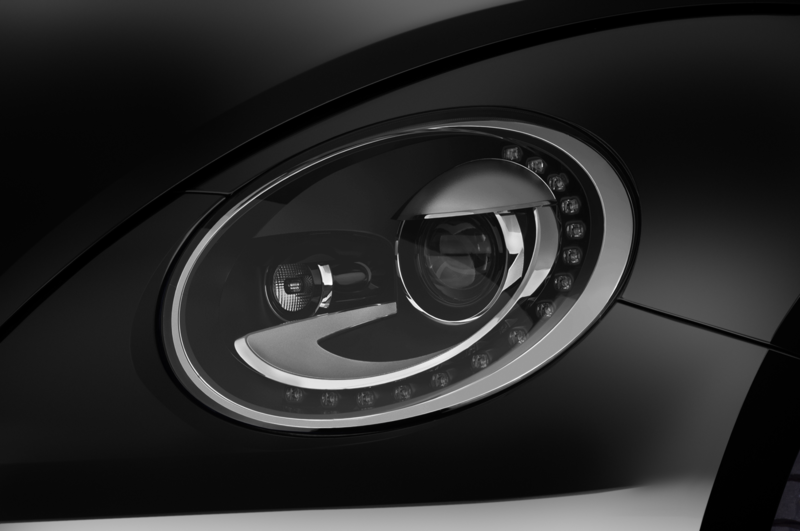 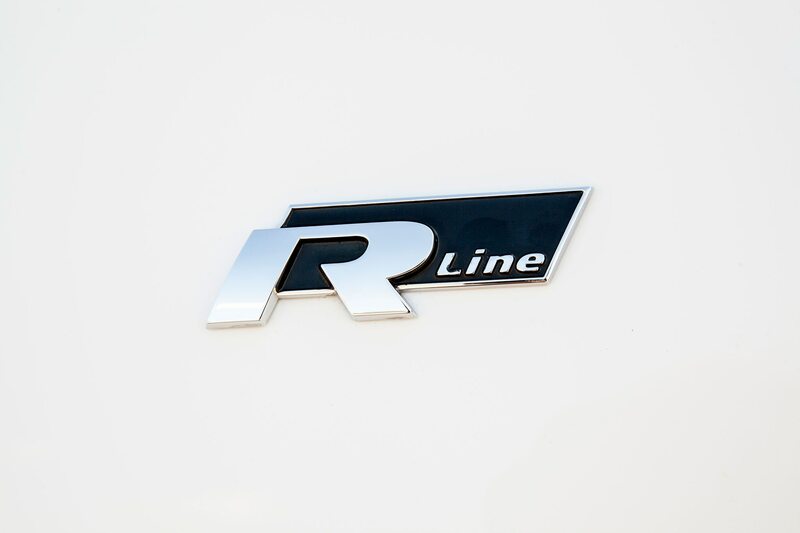 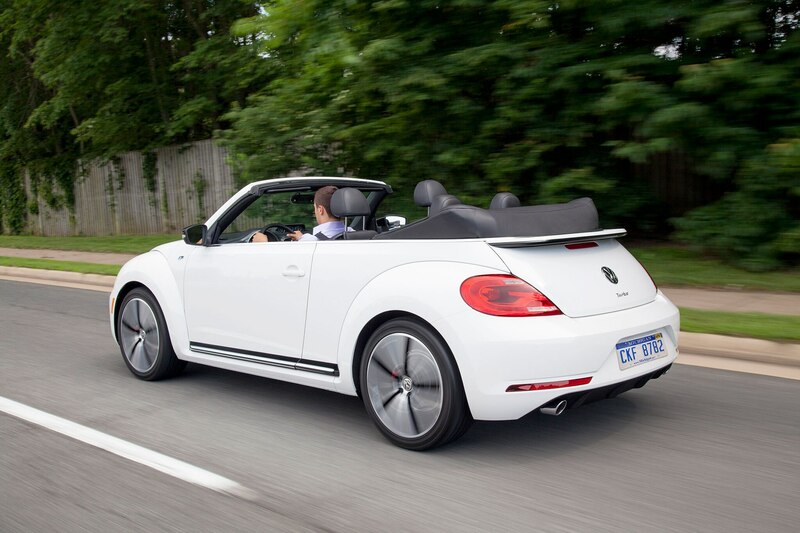 1.6L H-4, 107 hp, 88 lb-ft.
2.0L turbocharged I-4, 210 hp, 207 lb-ft.
Hardtop and convertible due by 2016. 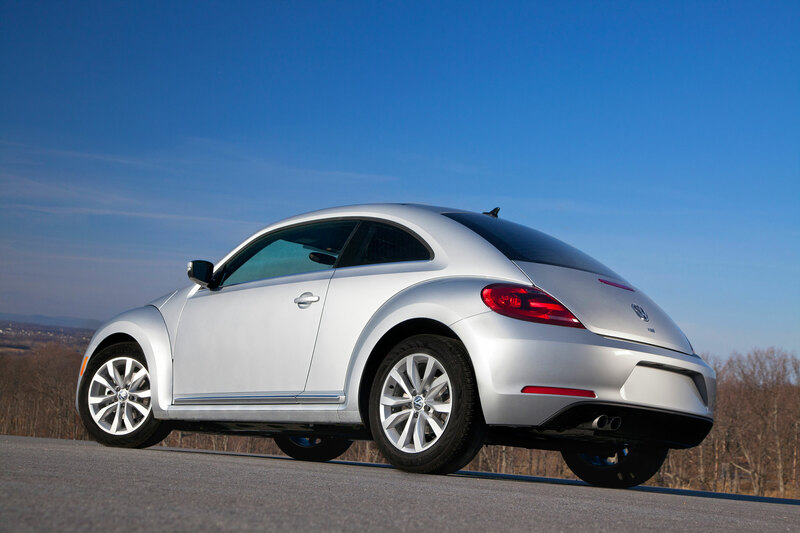 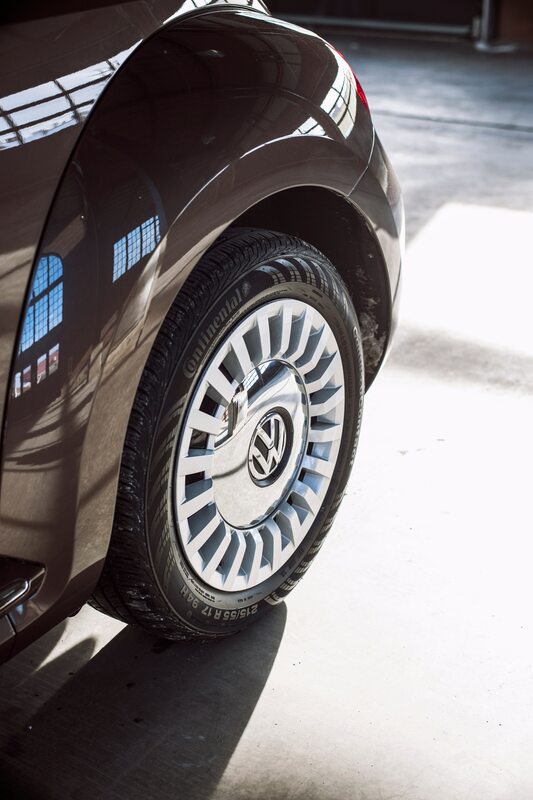 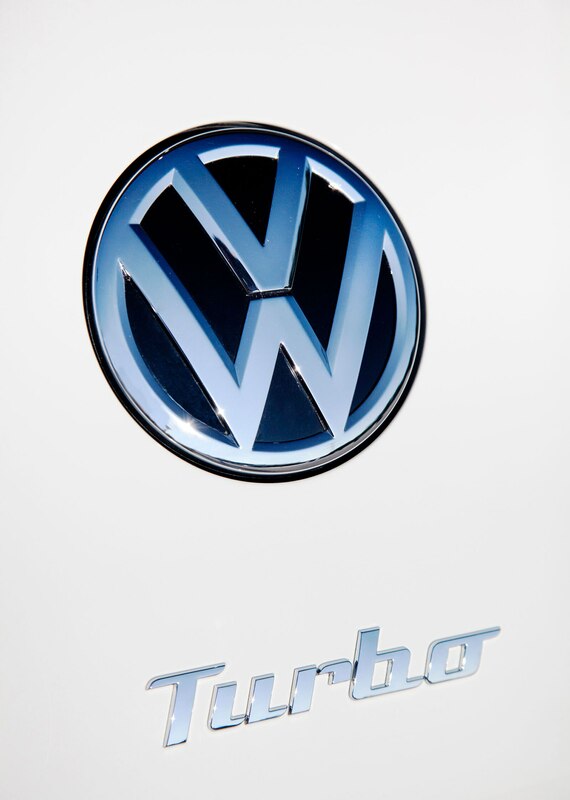 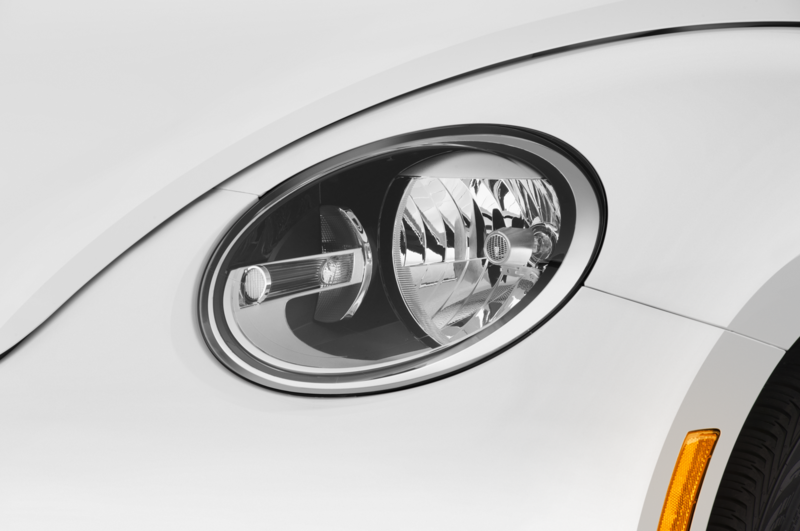 The Volkswagen Beetle Dune may wind up in production one day.